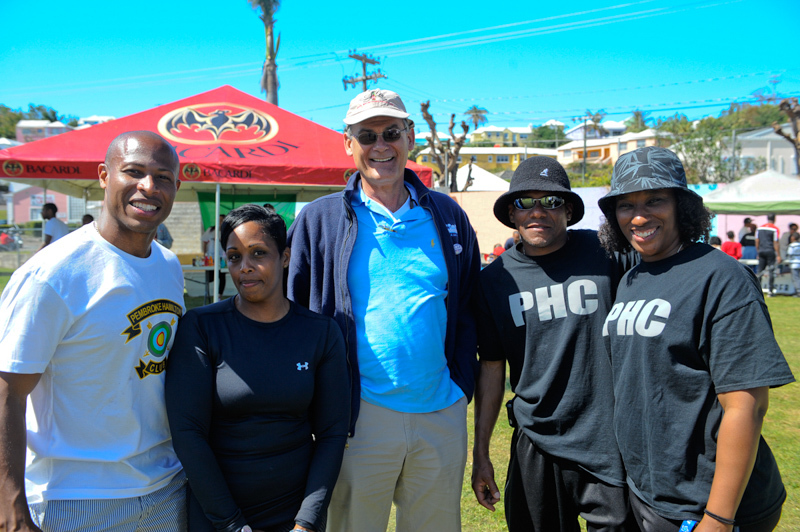 PHC hosted their Good Friday event on April 3rd, with a 1.2 mile walk/run followed by a fun day involving a mechanical bull ride, fun castles, kite flying, a demonstration by the Bermuda Sanshou Association, as well as performances by the PHC Majorette & Drum Corps, Mount Zion liturgical youth dancers, Shine Hayward, Live Wire and Slanger. 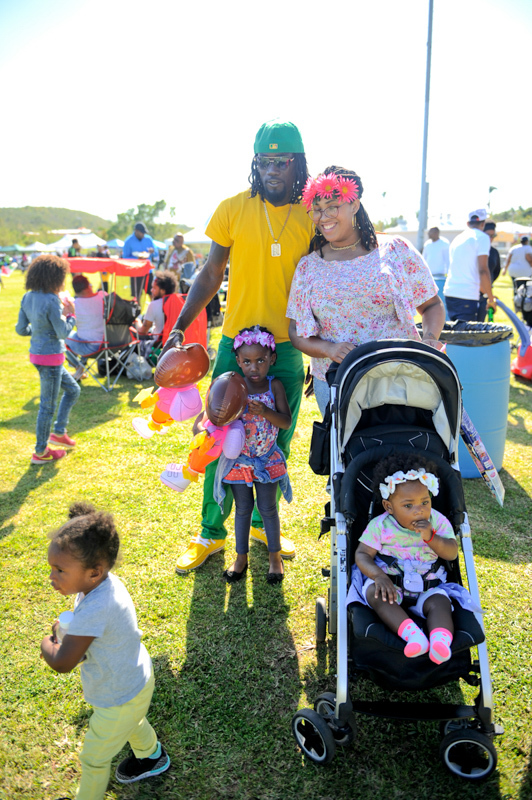 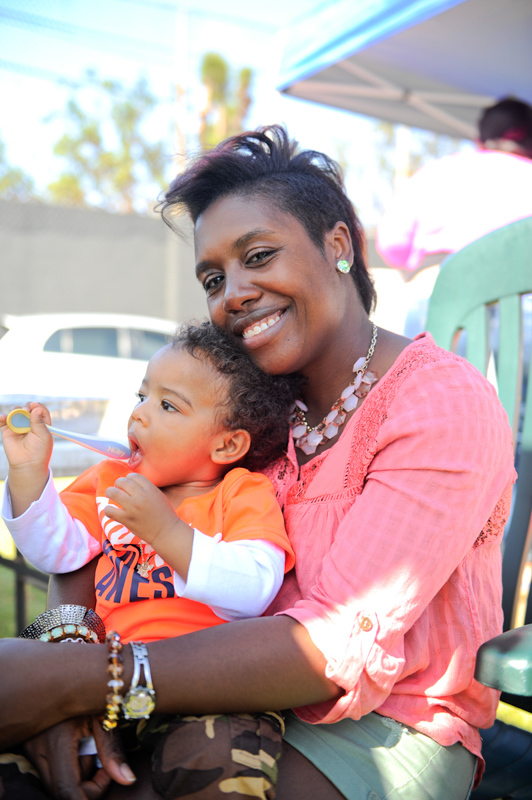 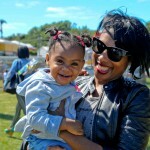 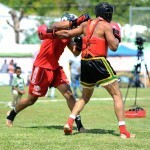 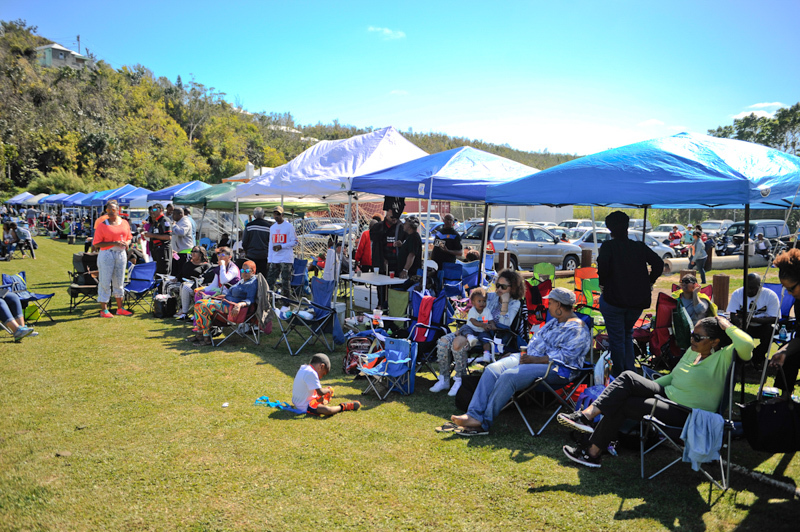 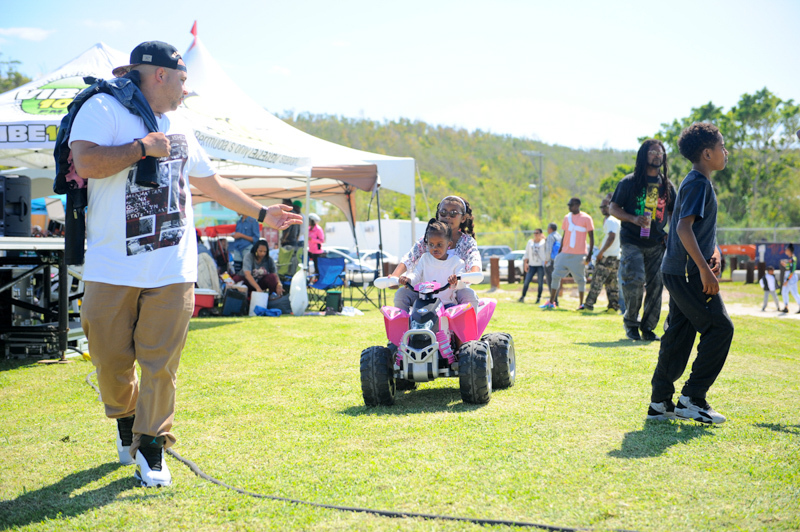 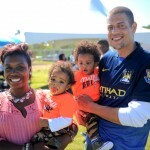 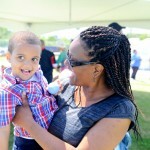 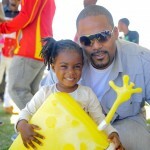 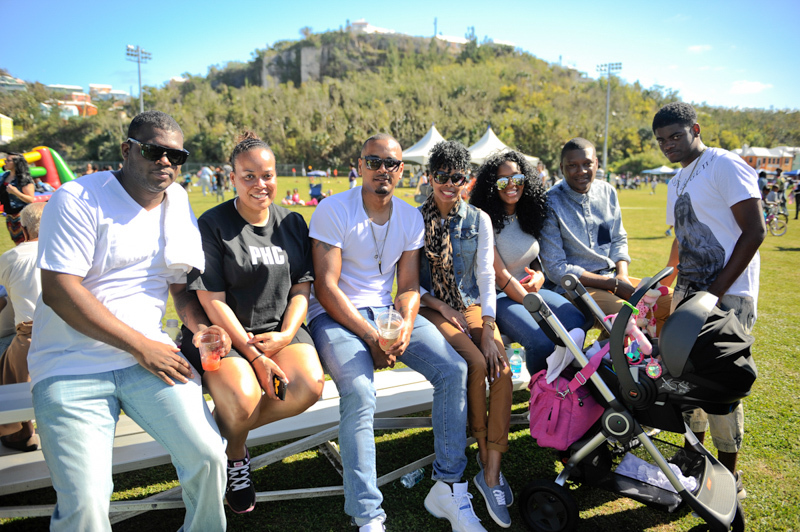 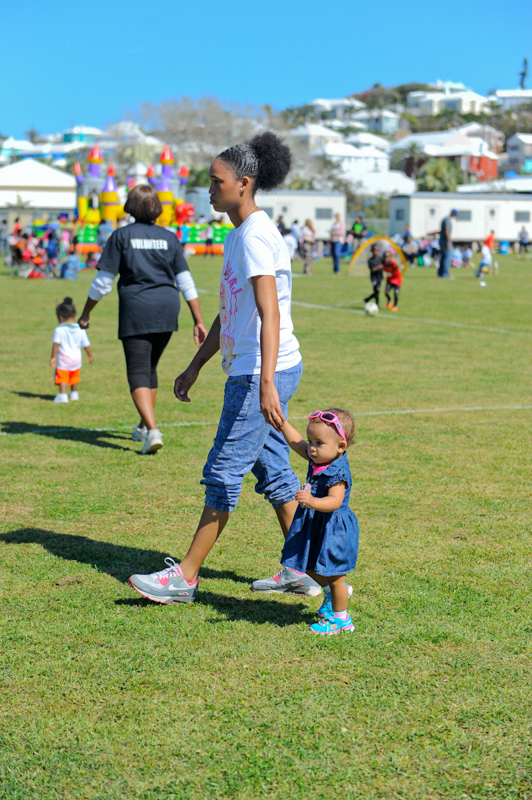 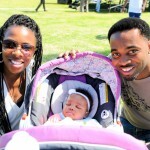 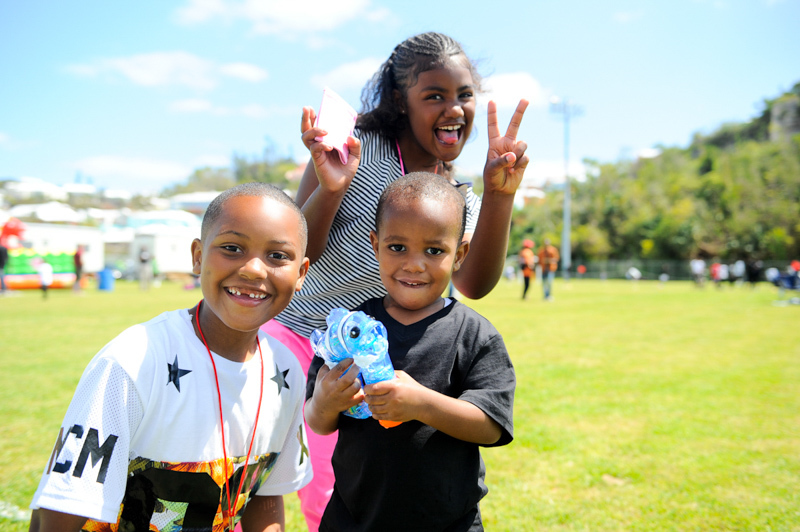 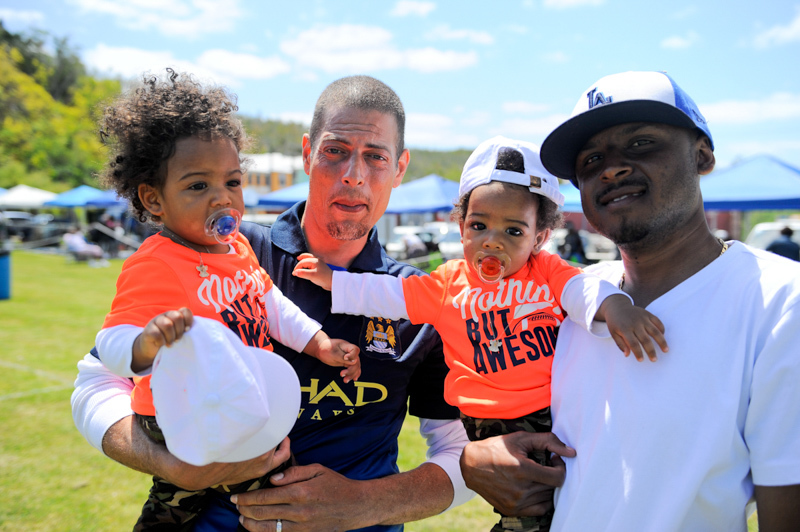 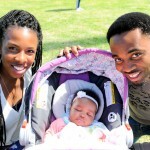 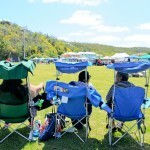 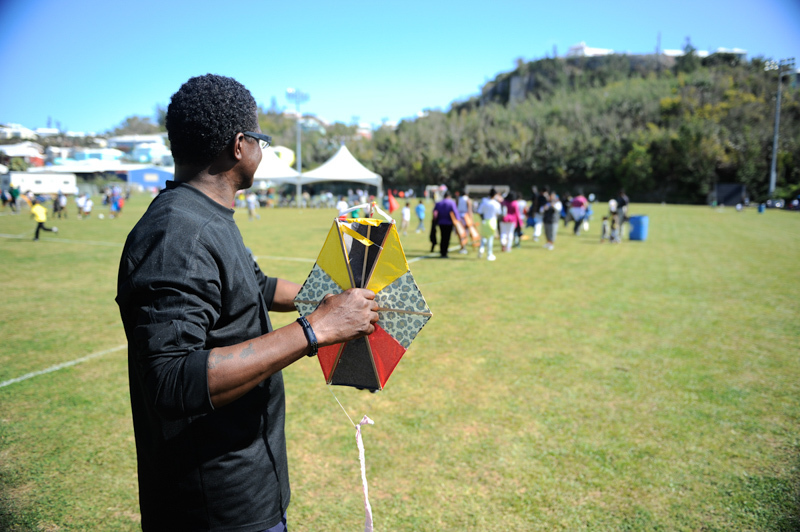 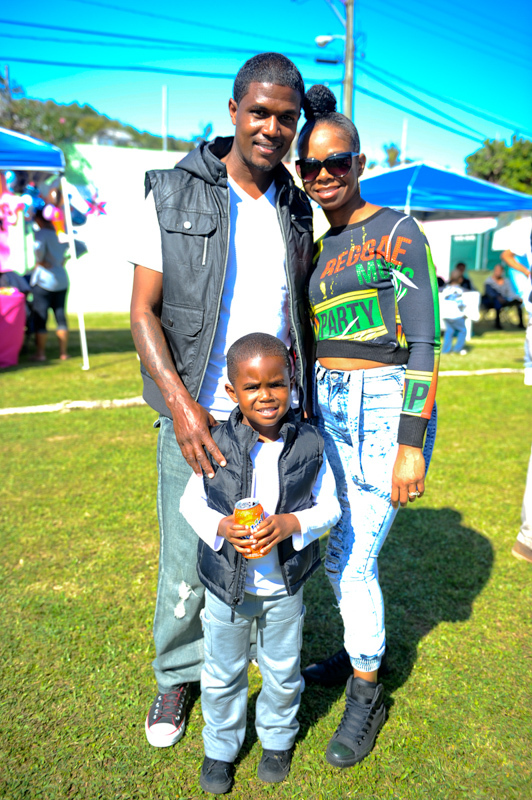 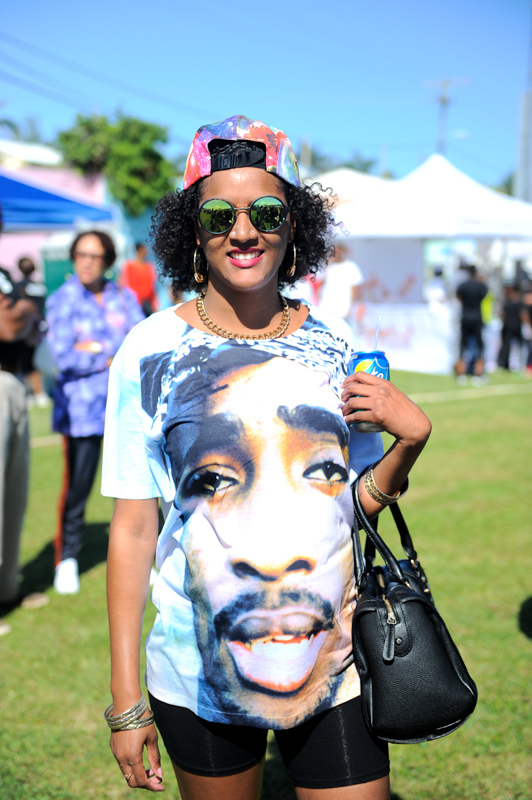 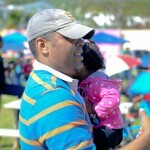 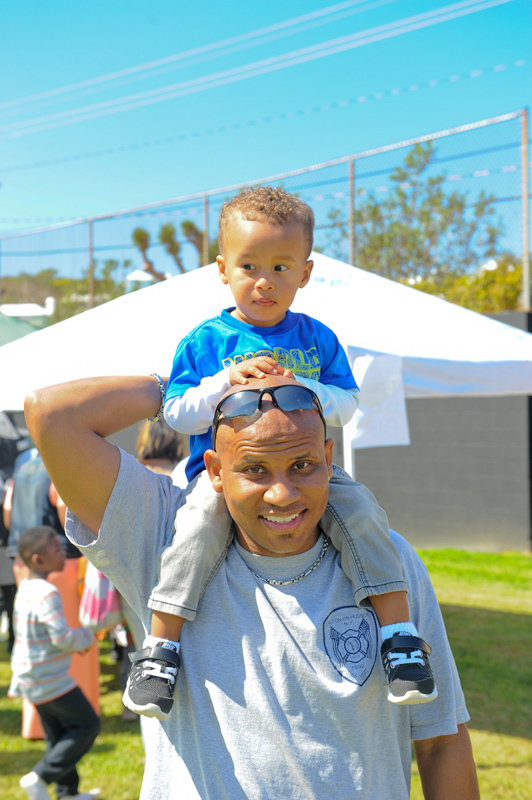 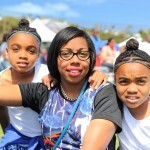 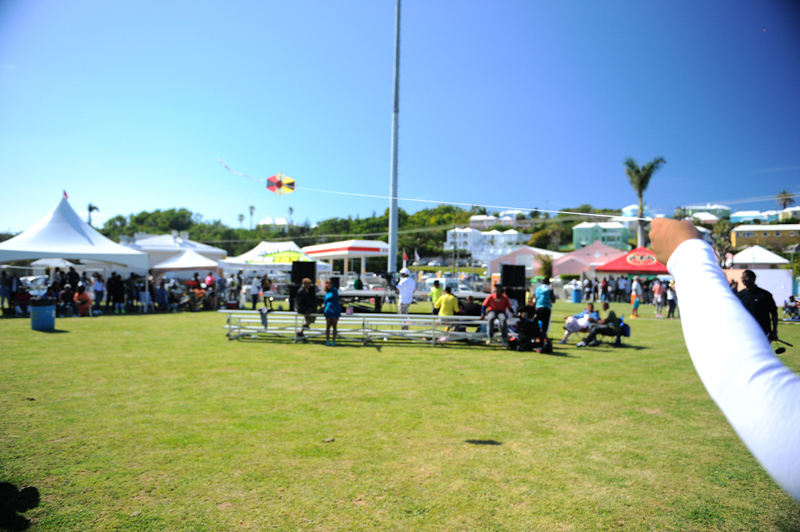 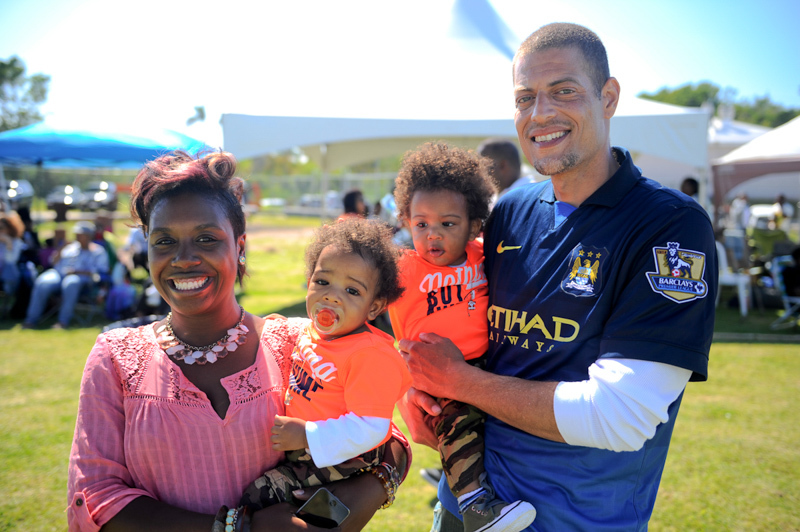 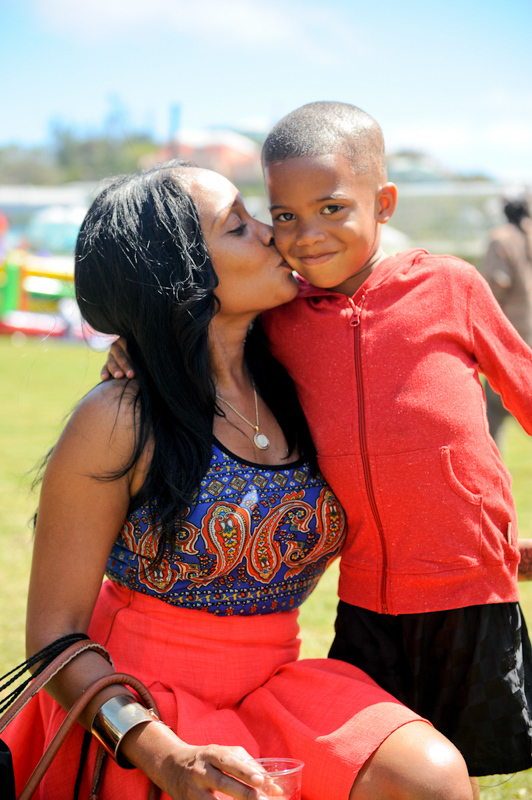 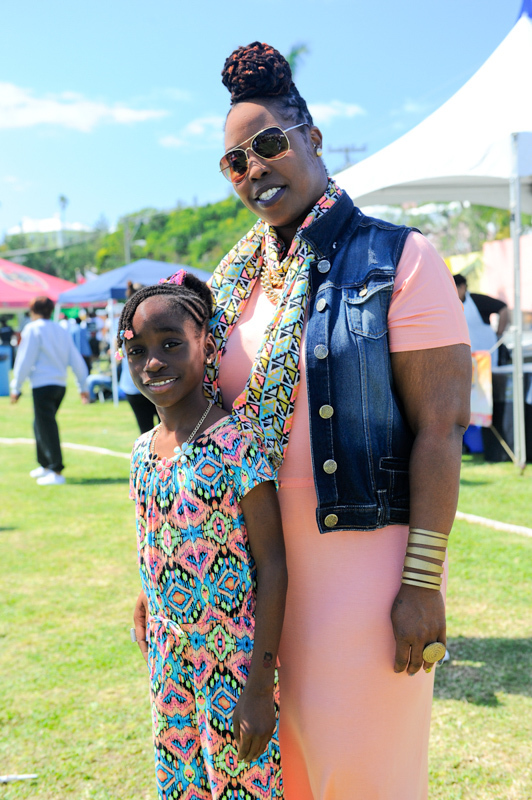 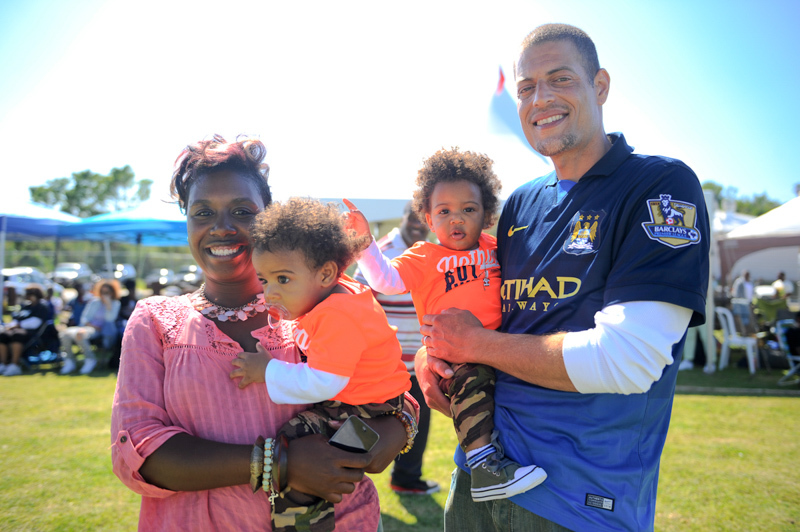 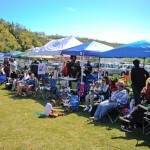 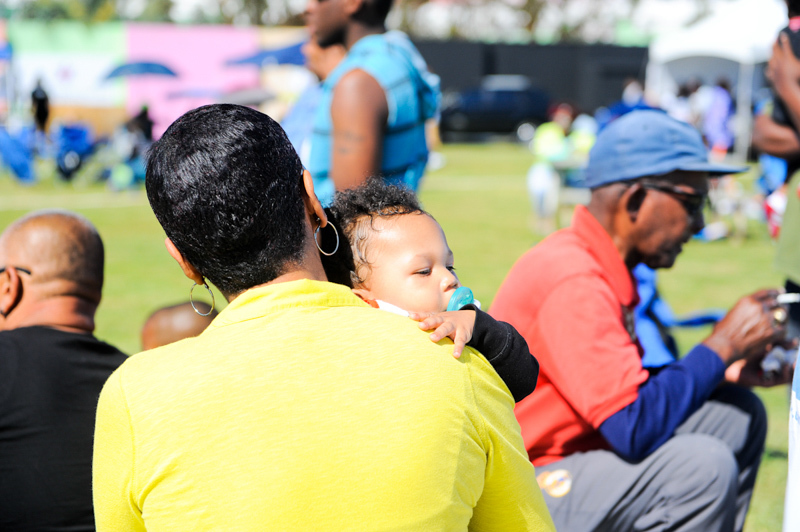 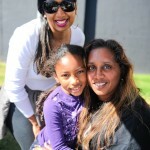 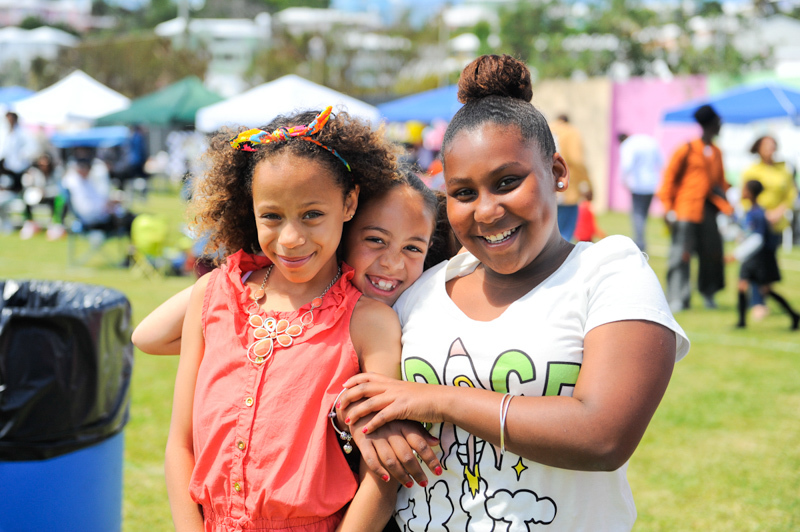 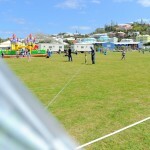 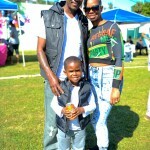 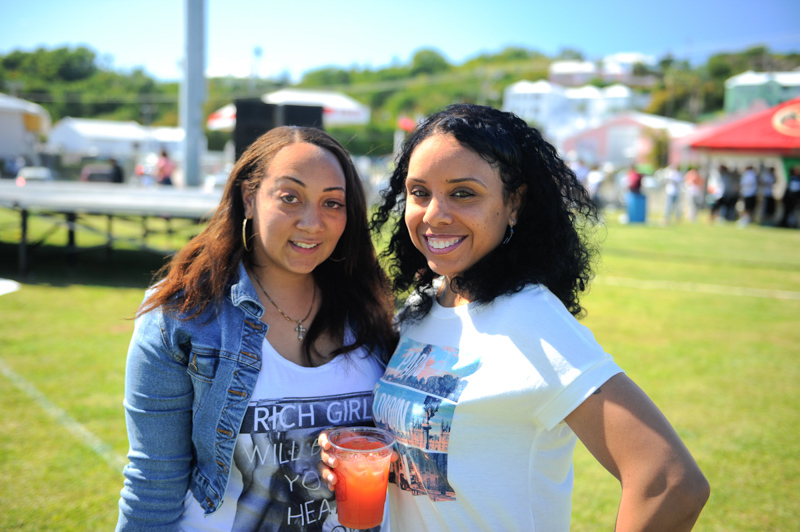 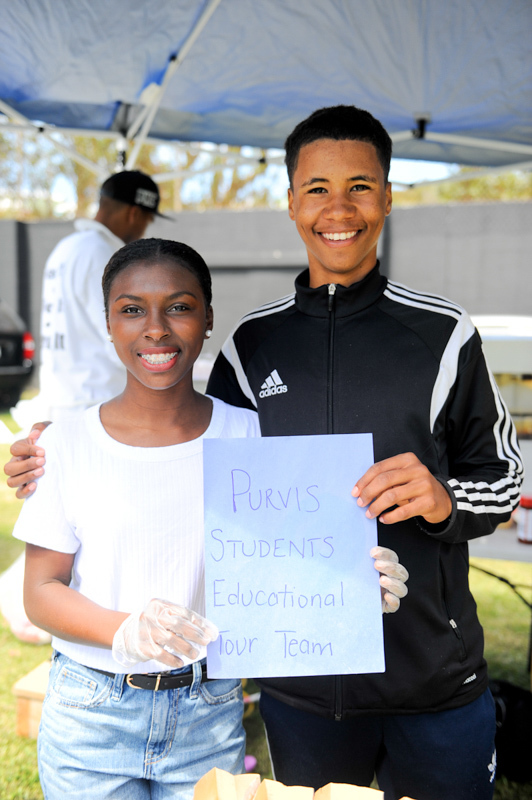 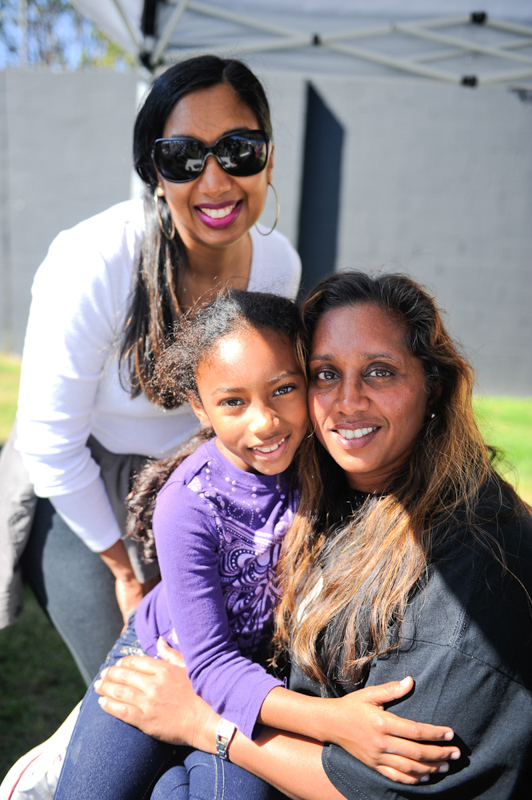 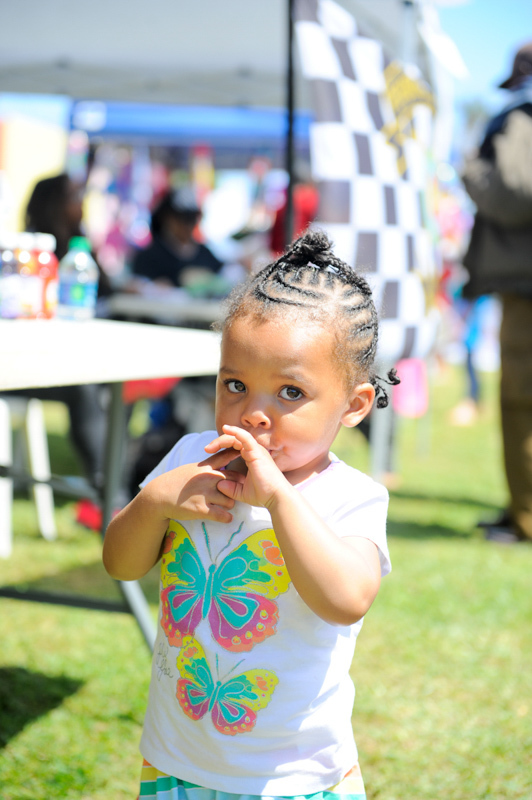 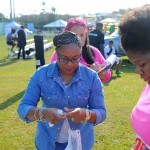 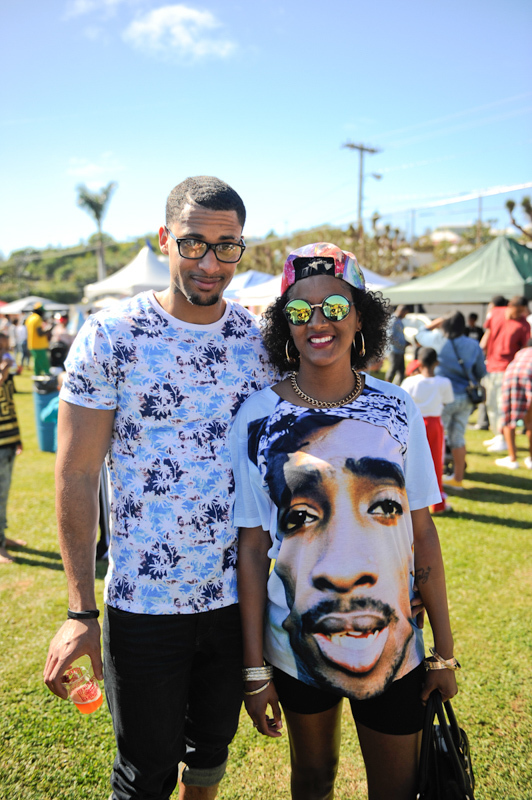 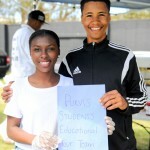 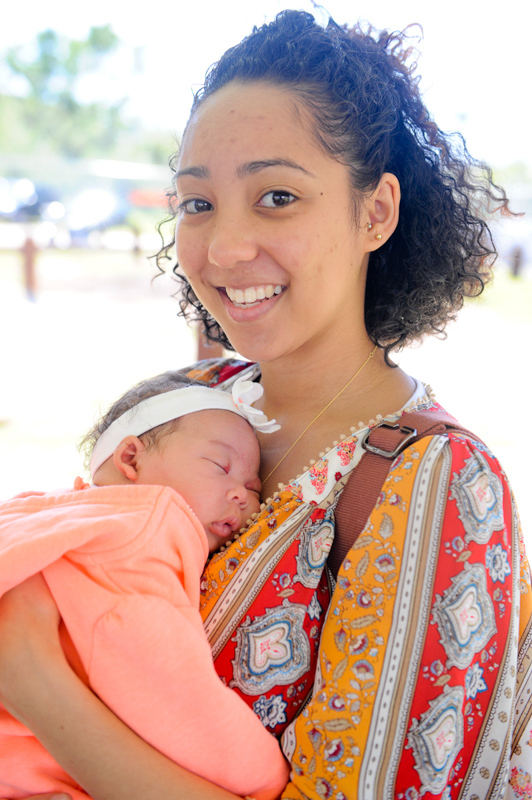 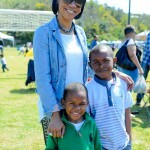 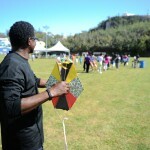 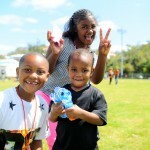 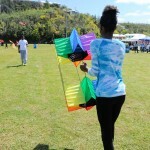 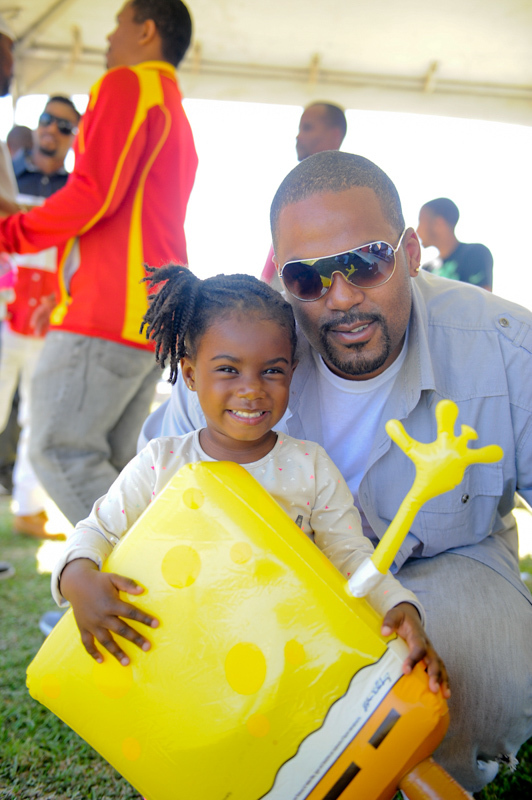 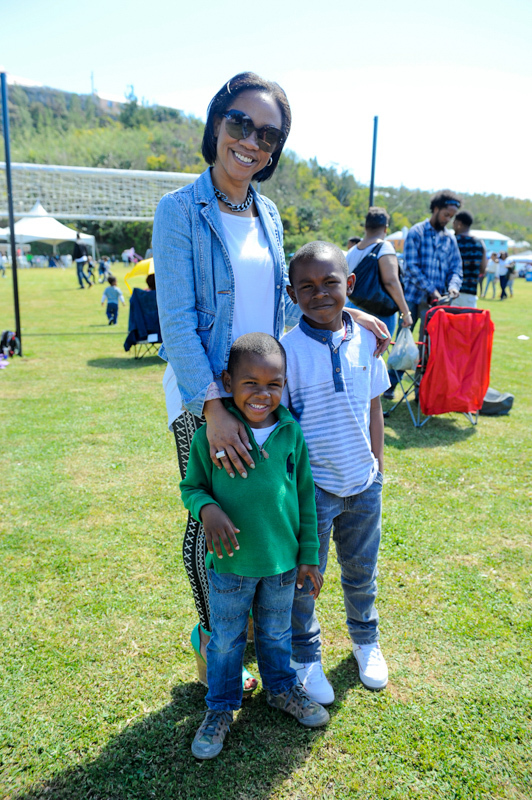 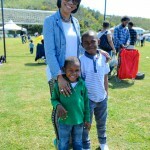 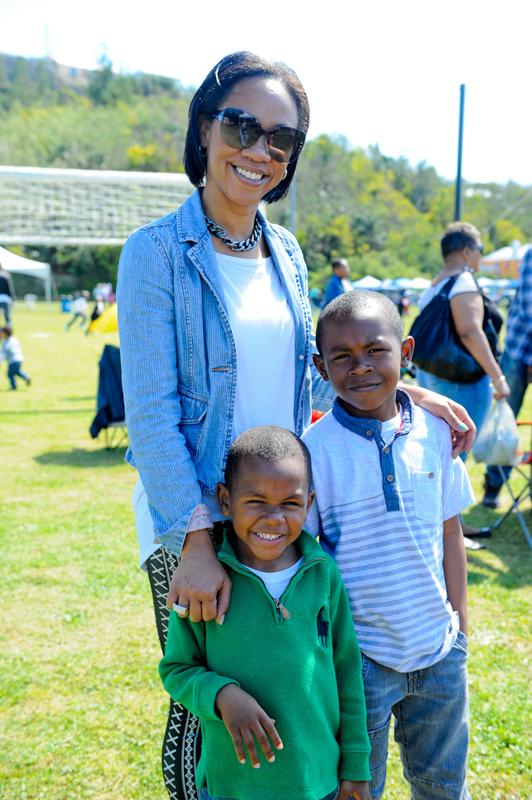 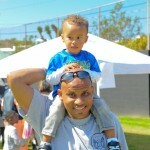 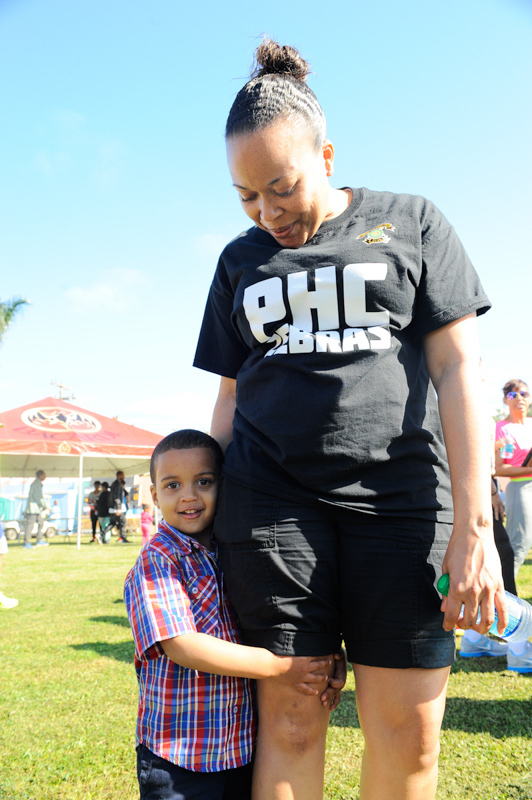 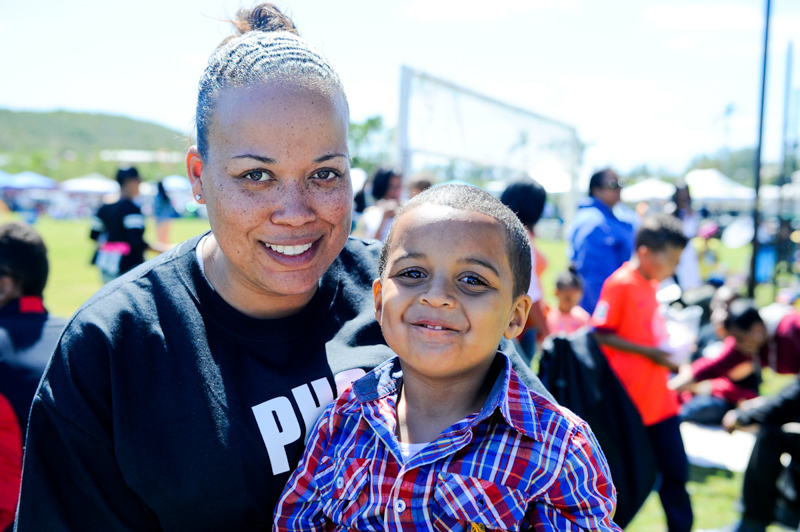 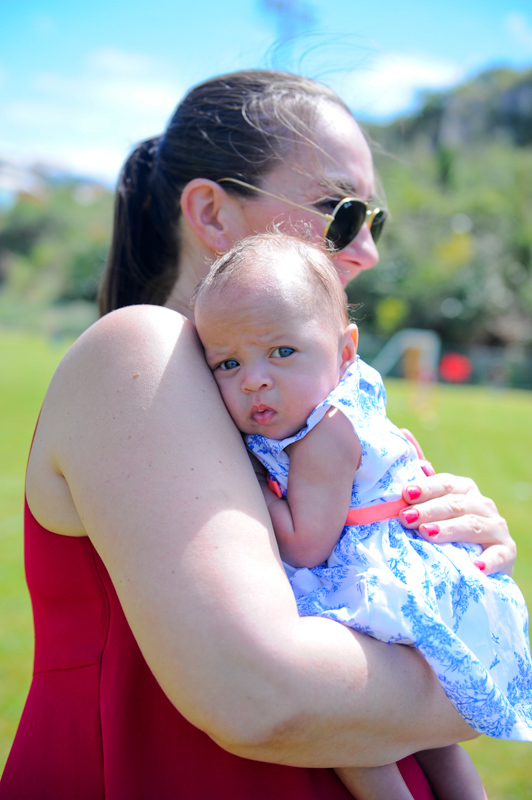 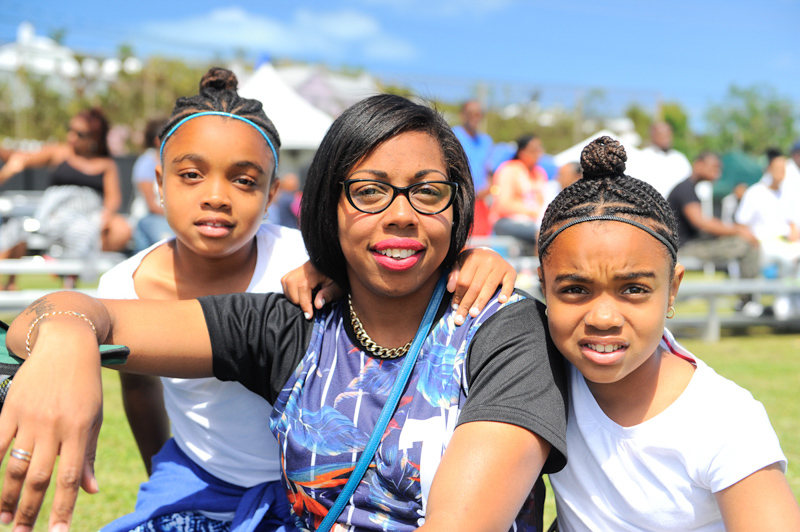 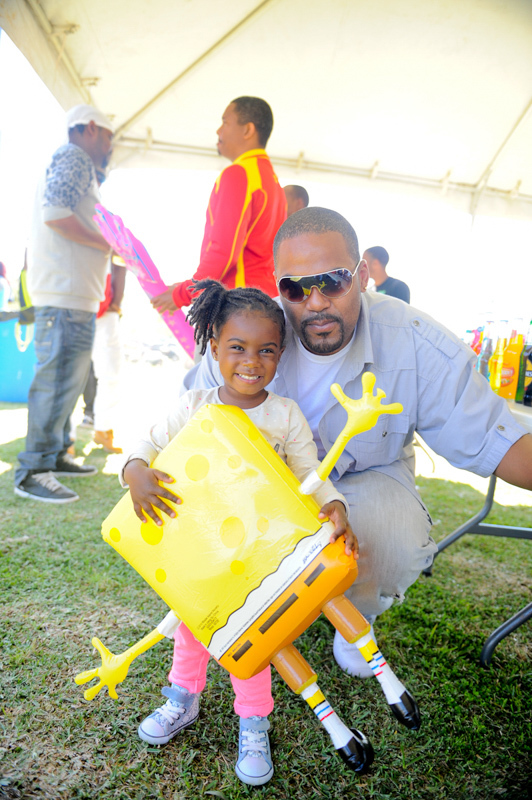 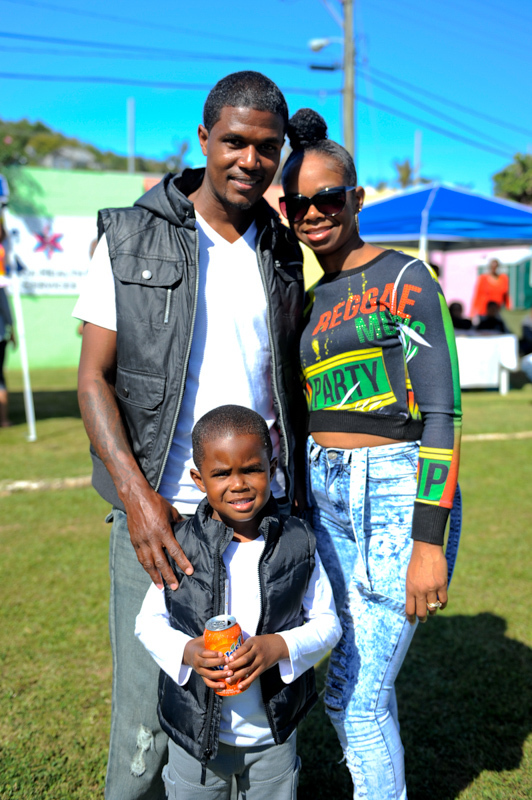 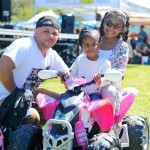 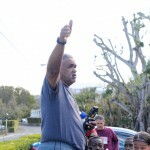 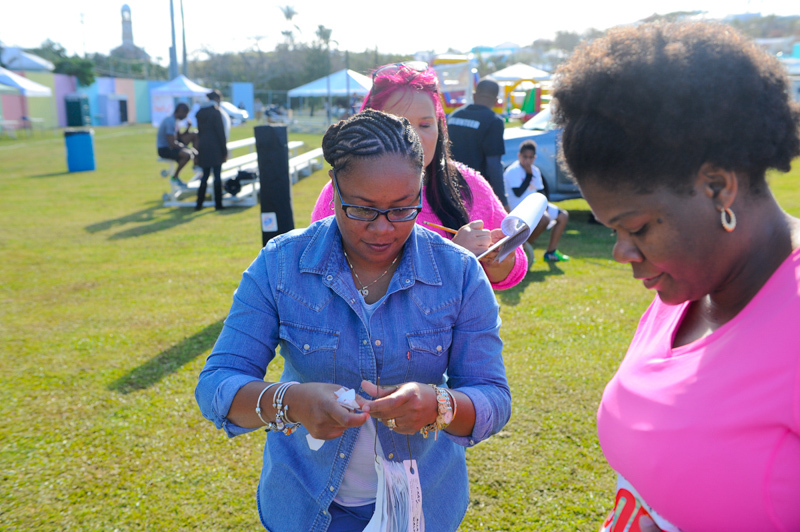 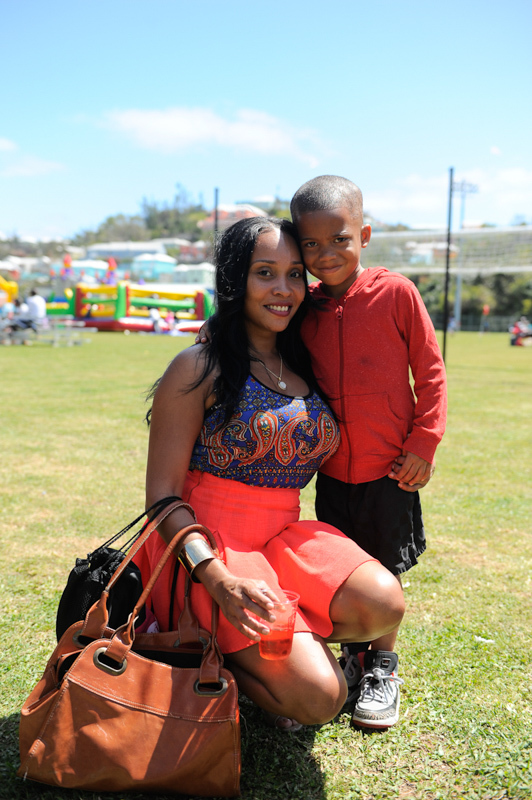 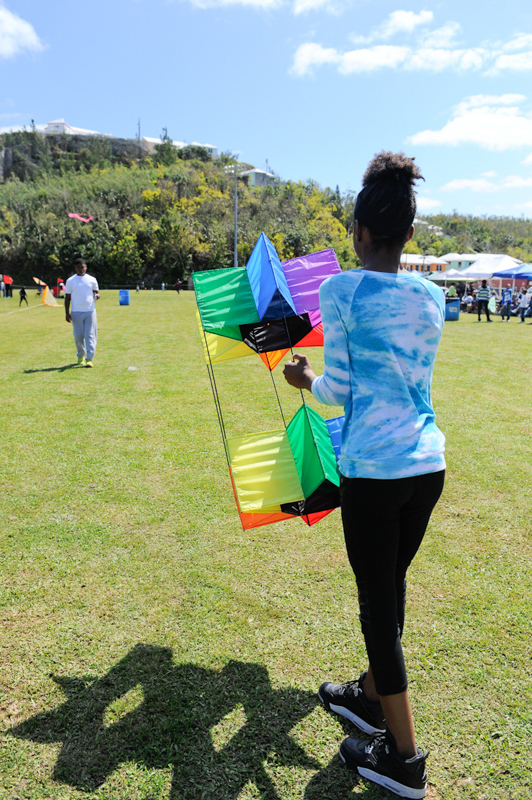 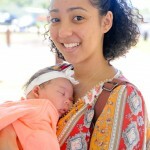 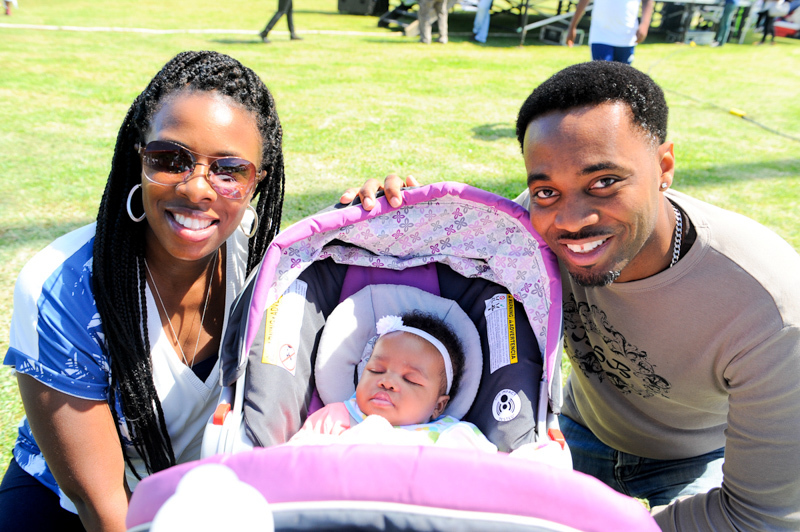 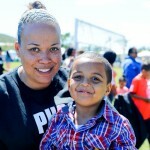 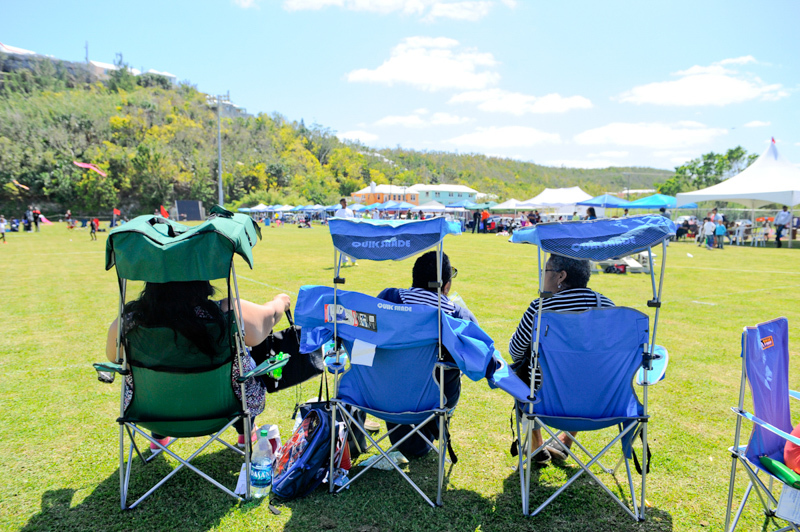 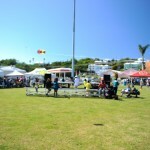 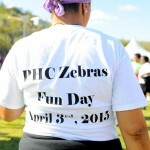 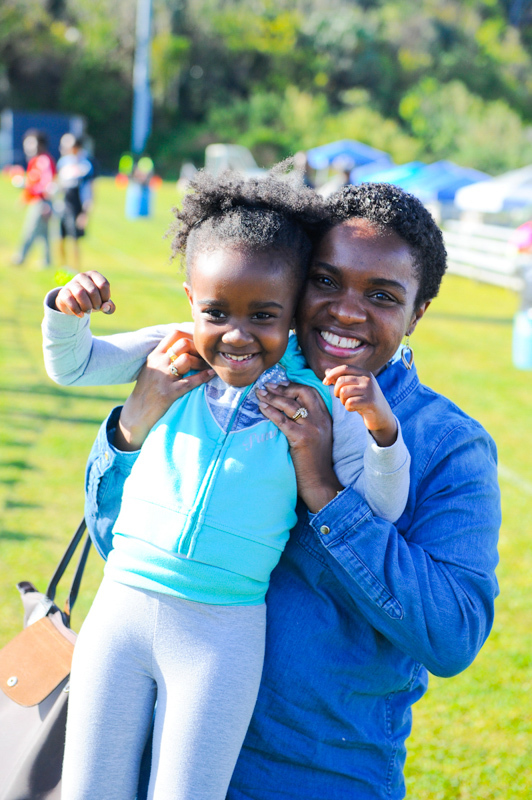 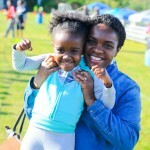 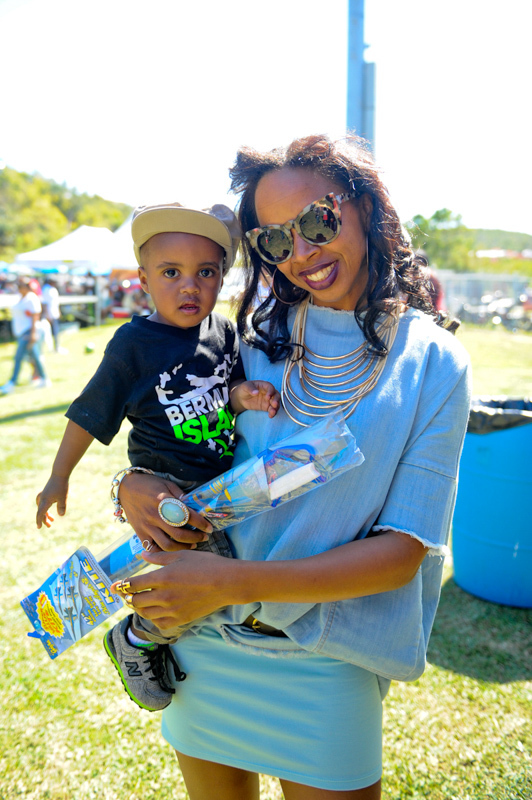 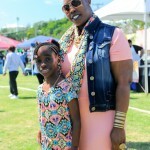 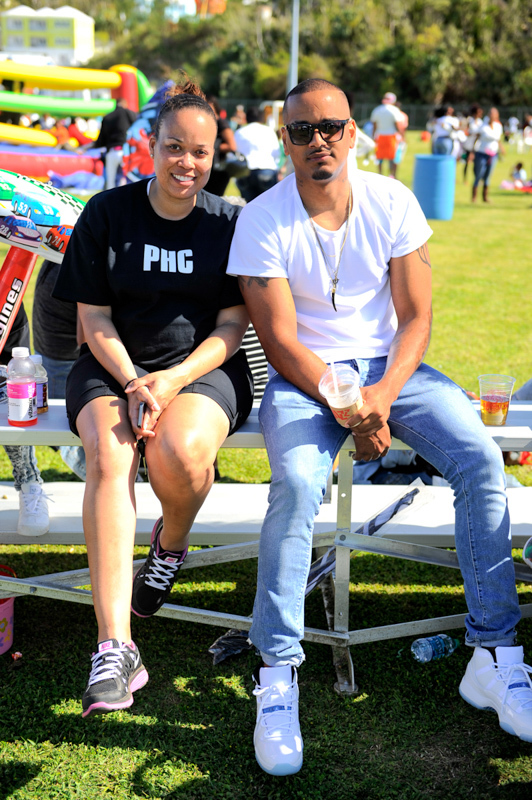 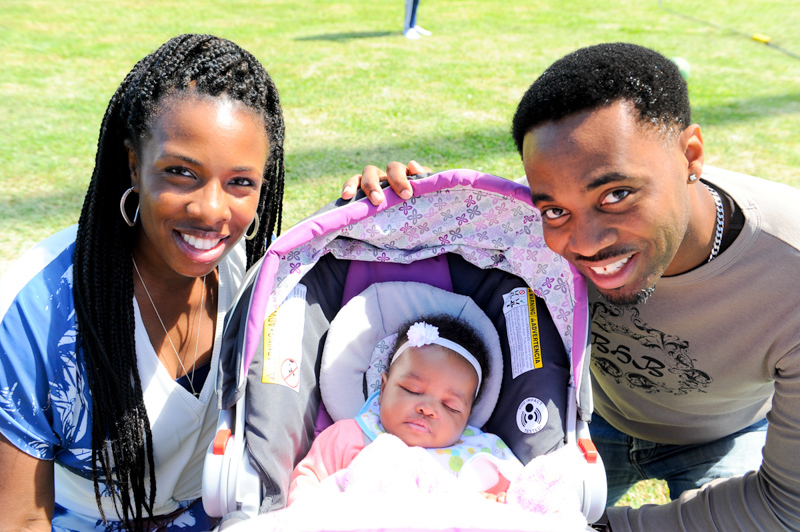 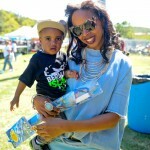 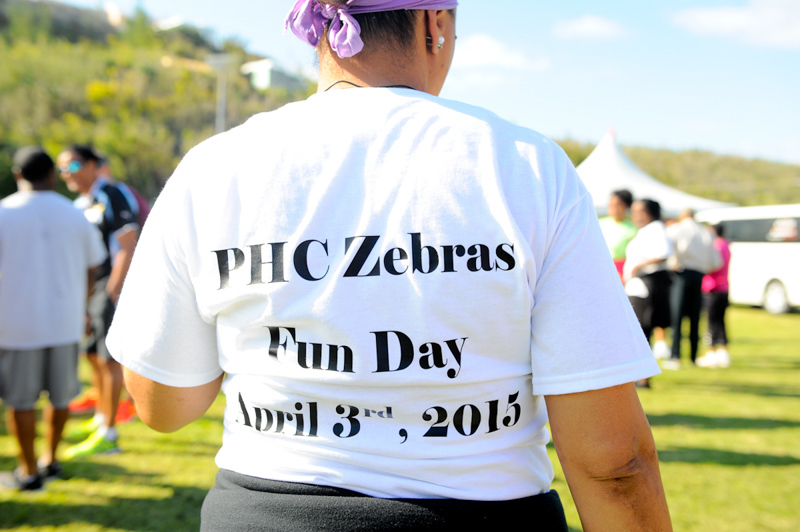 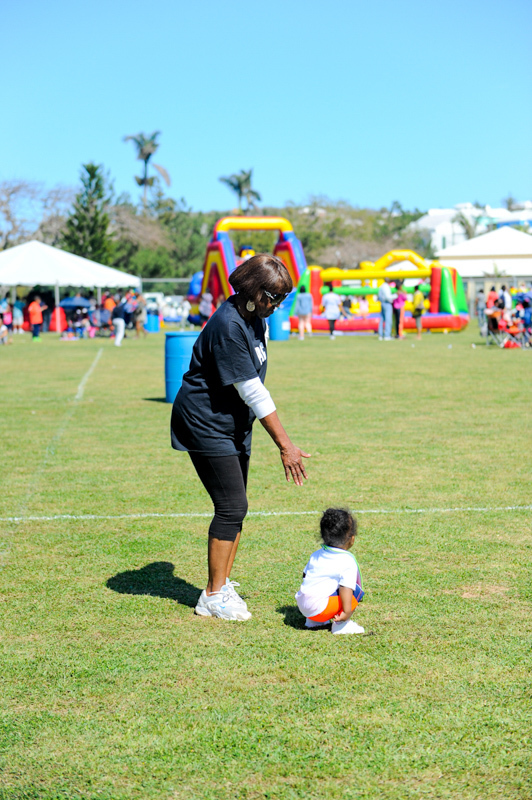 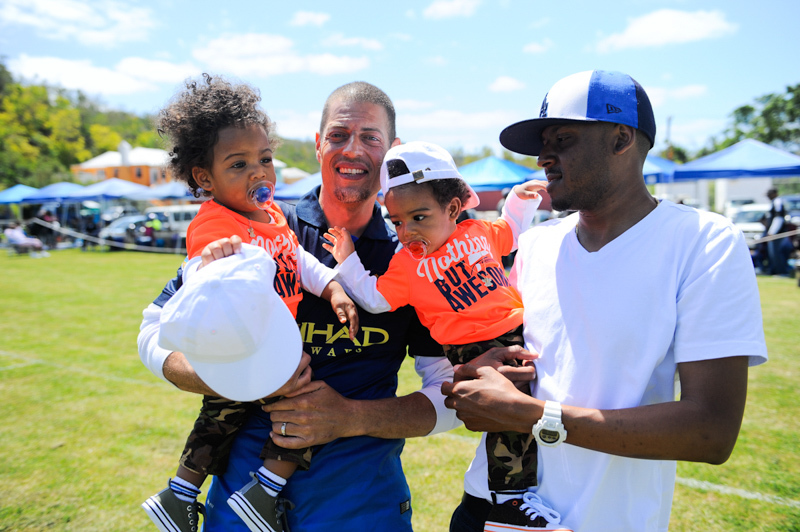 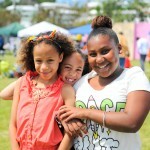 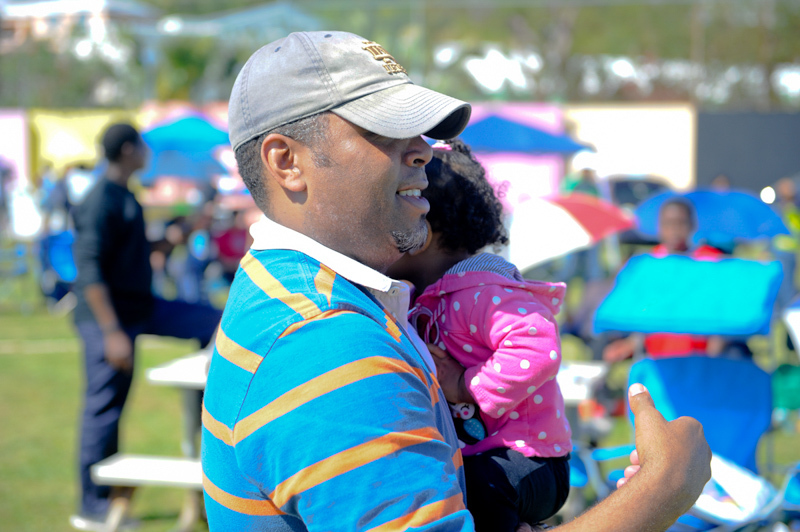 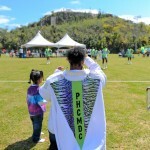 “An event by the community, for the community truly describes Good Friday 2015 at PHC Field,” is how a PHC spokesperson described the day, saying that “in total, there were well over 1,000 people that came to PHC field and reveled in our unique culture and traditions. 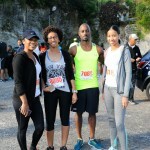 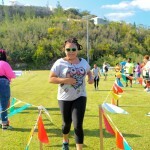 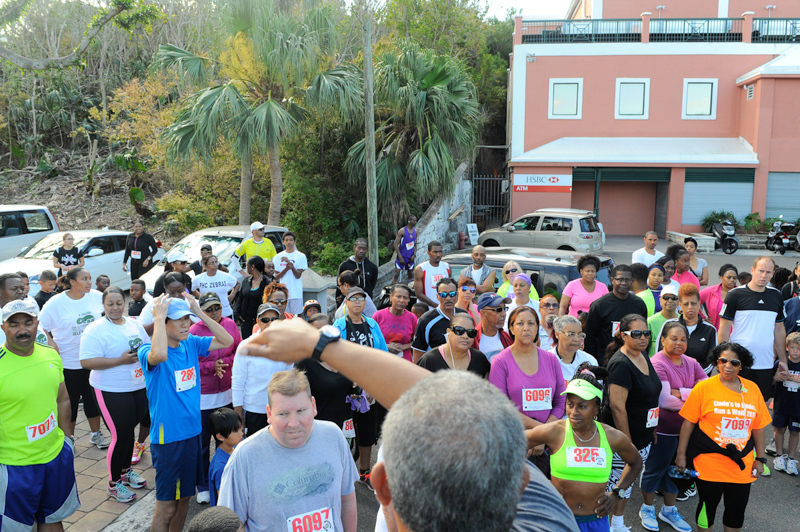 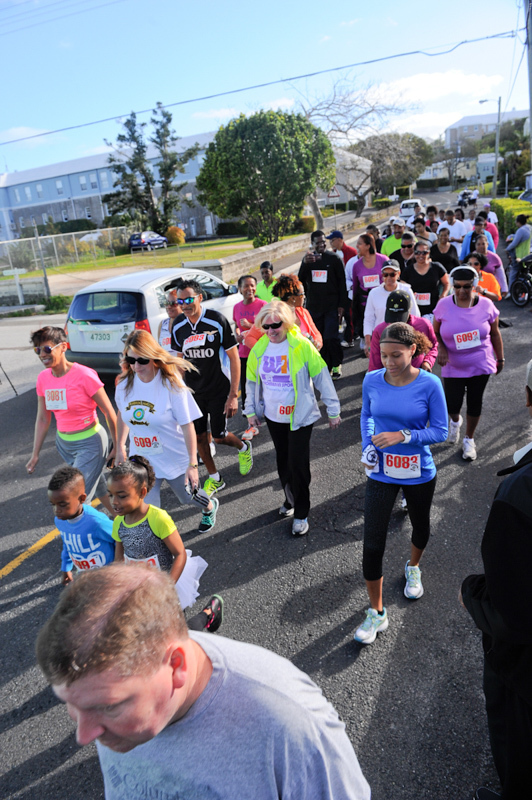 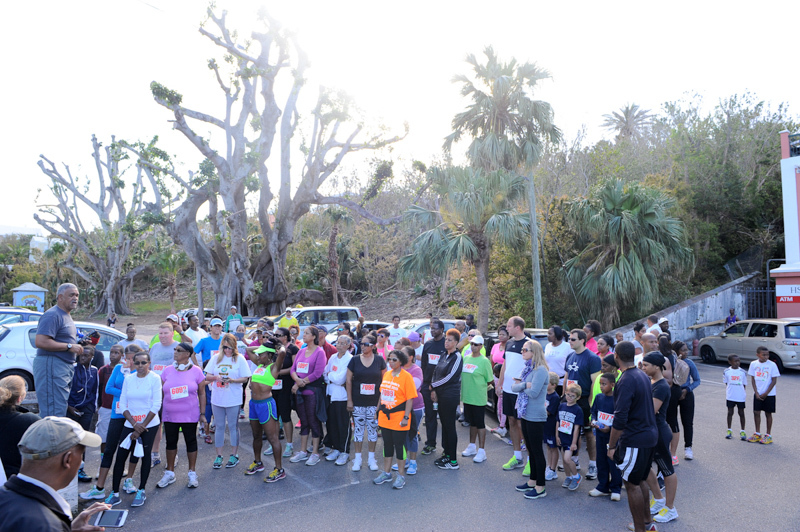 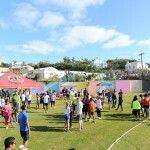 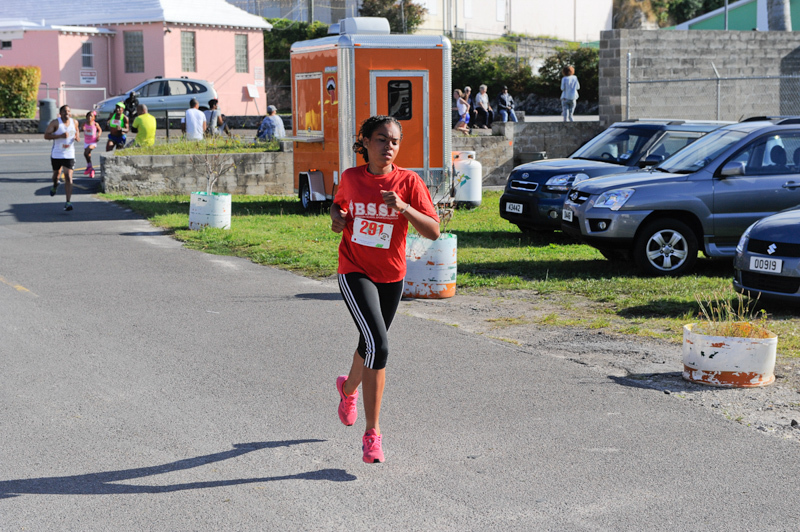 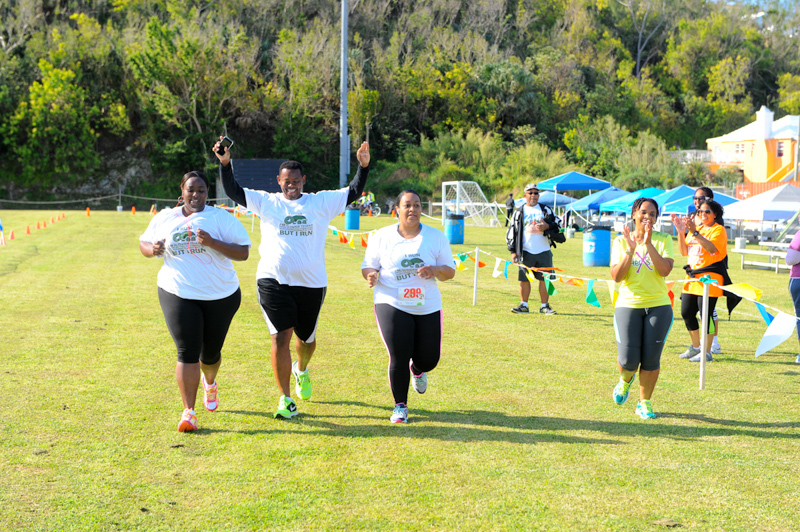 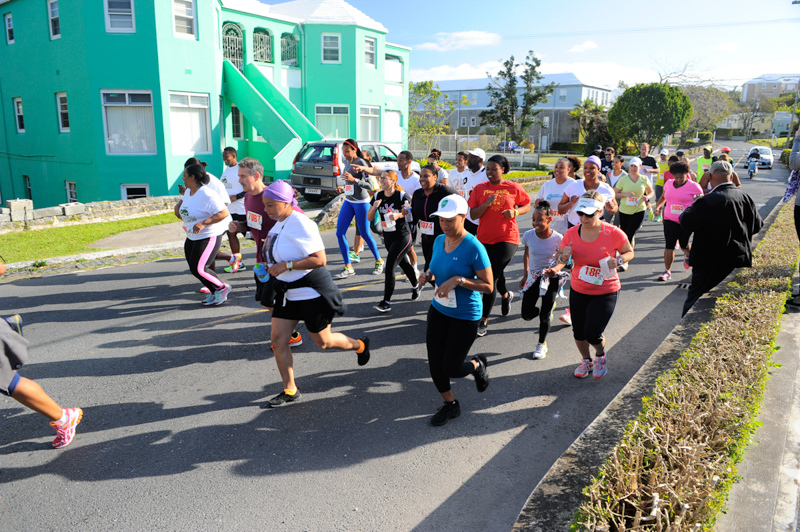 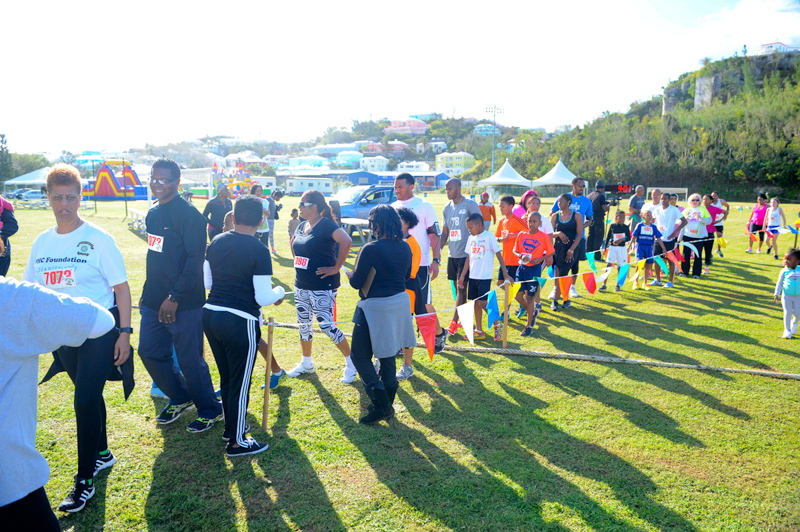 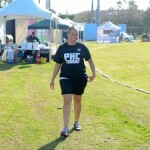 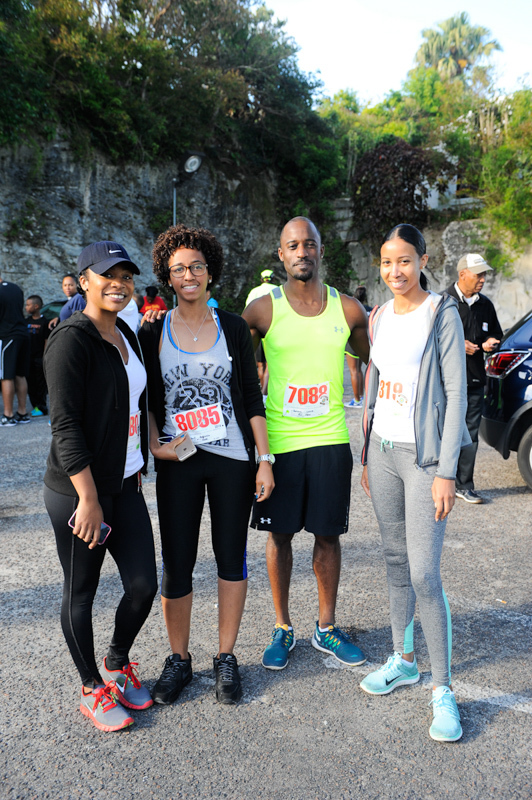 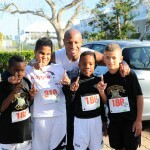 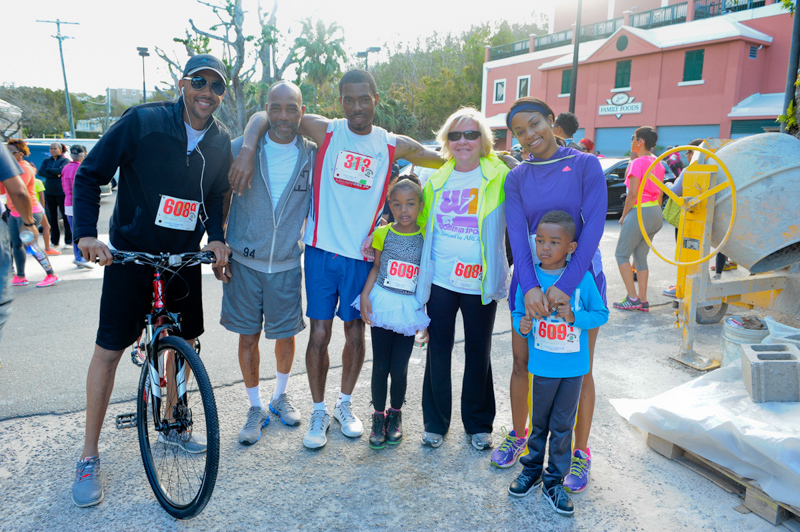 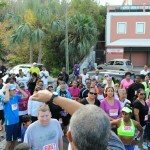 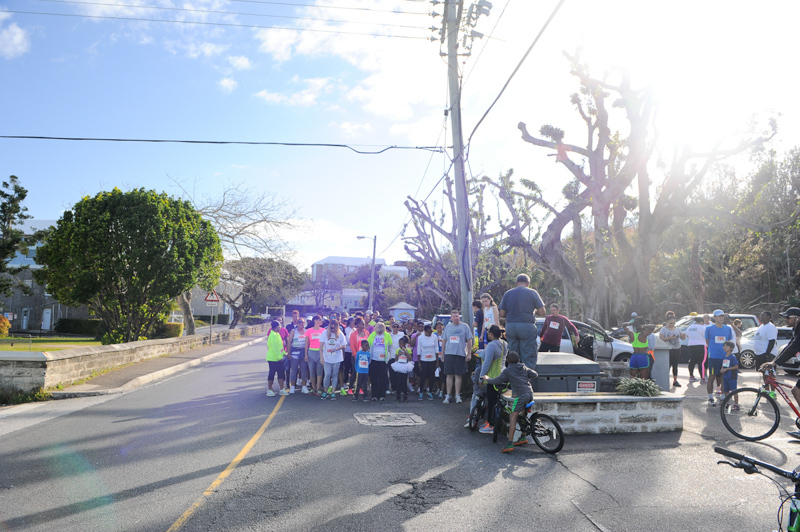 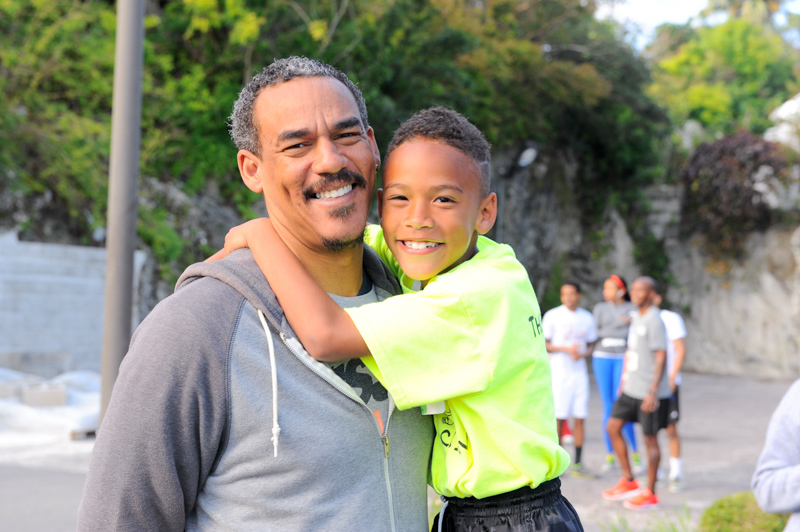 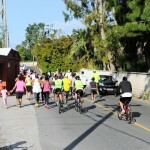 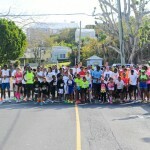 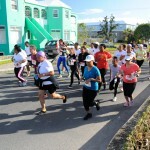 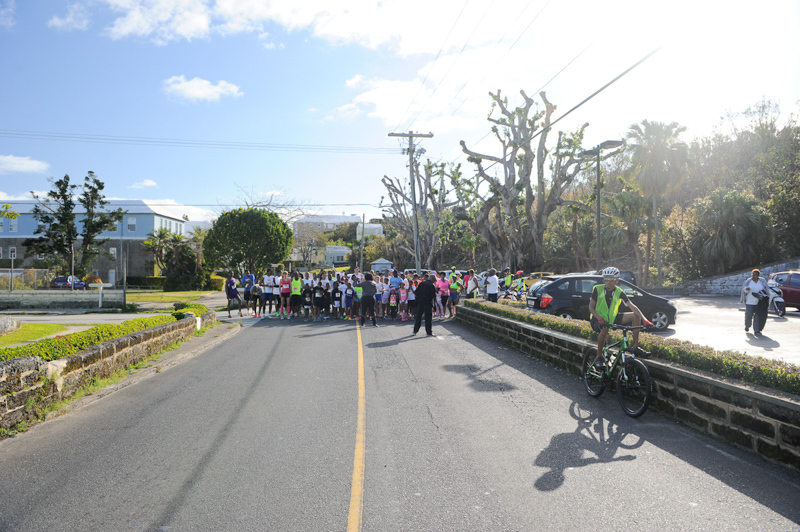 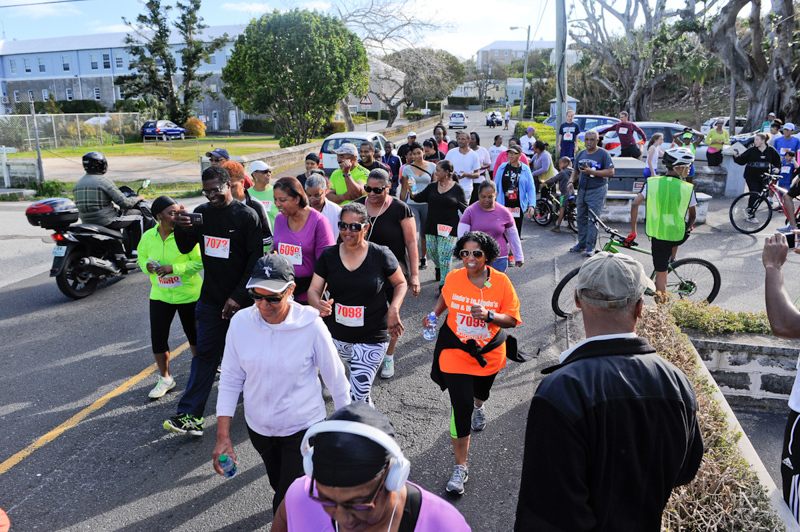 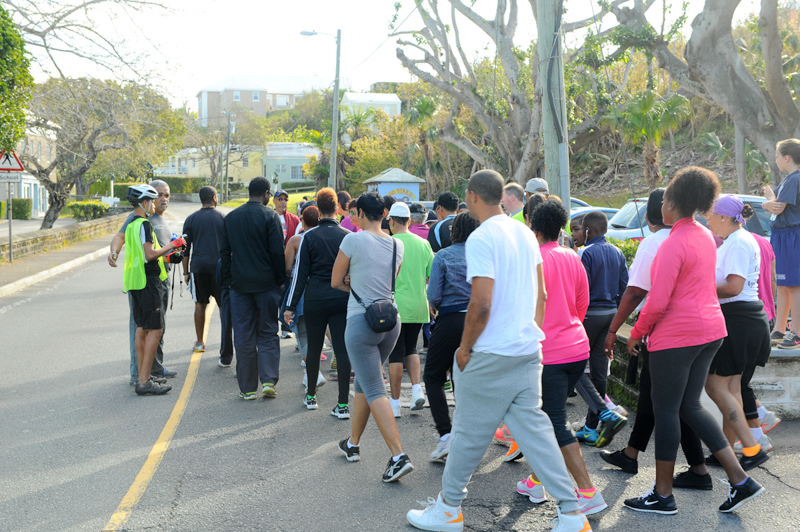 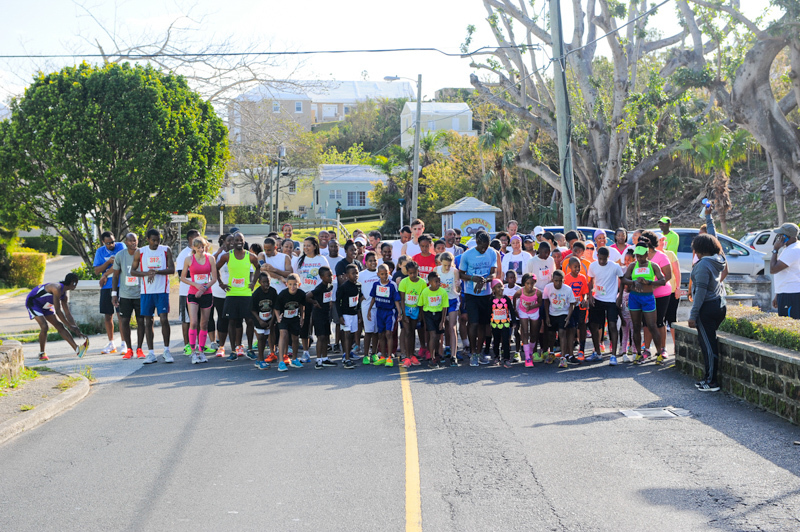 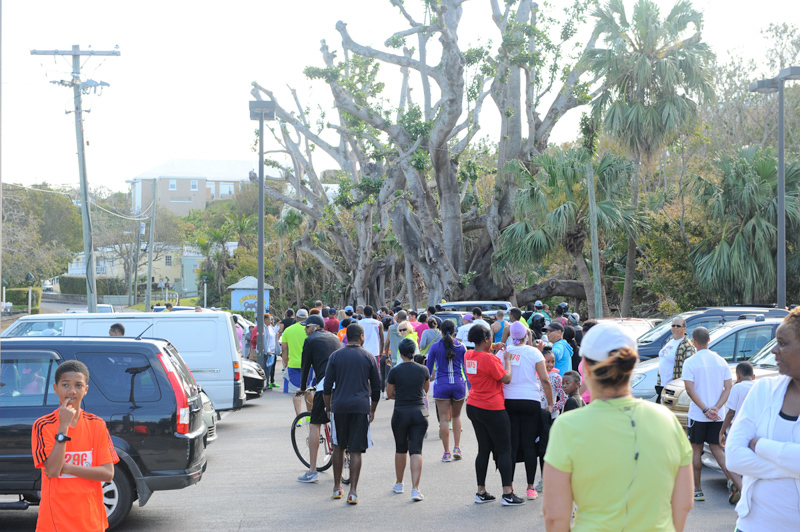 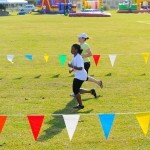 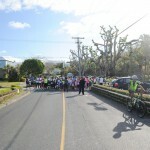 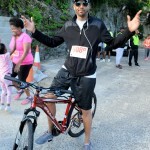 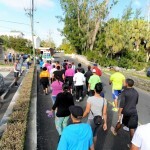 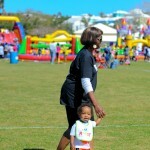 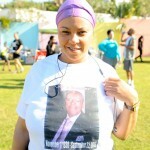 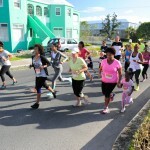 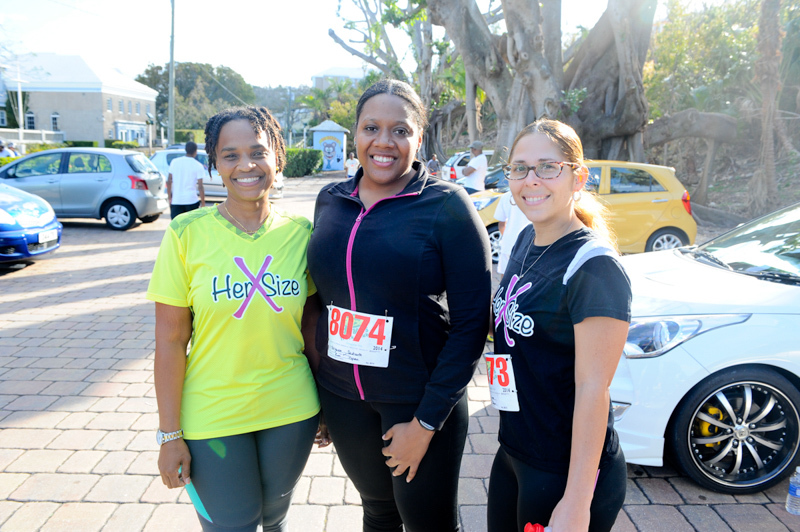 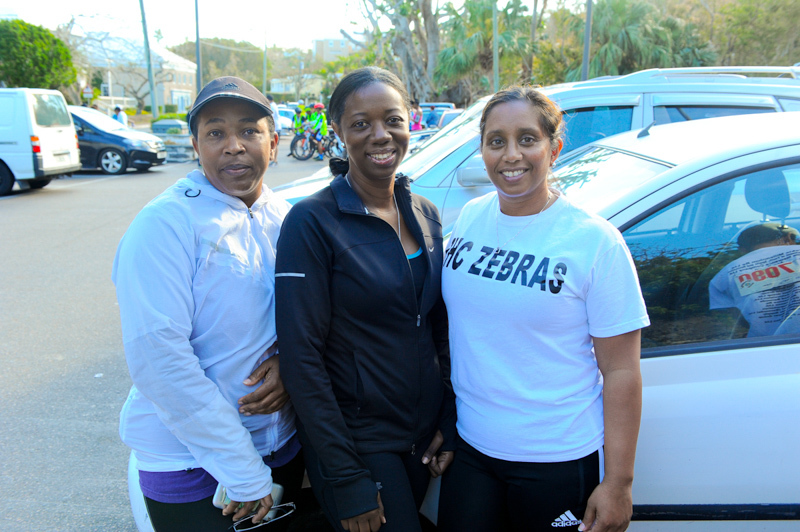 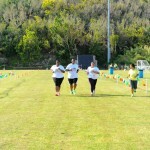 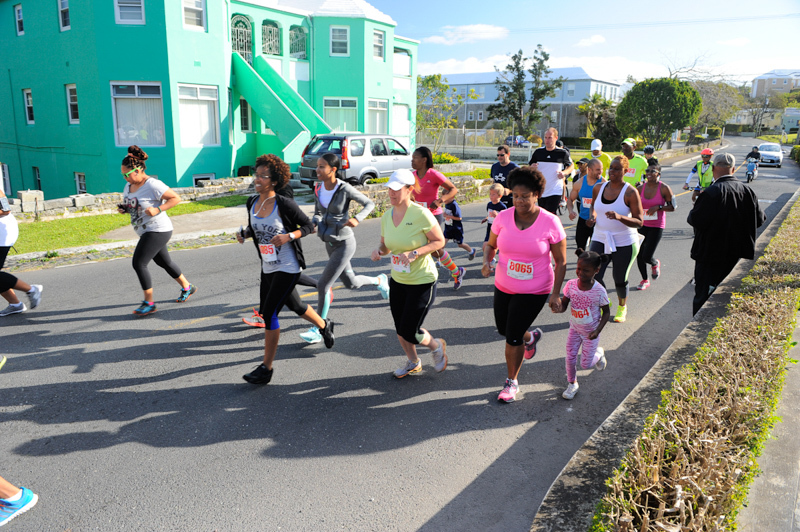 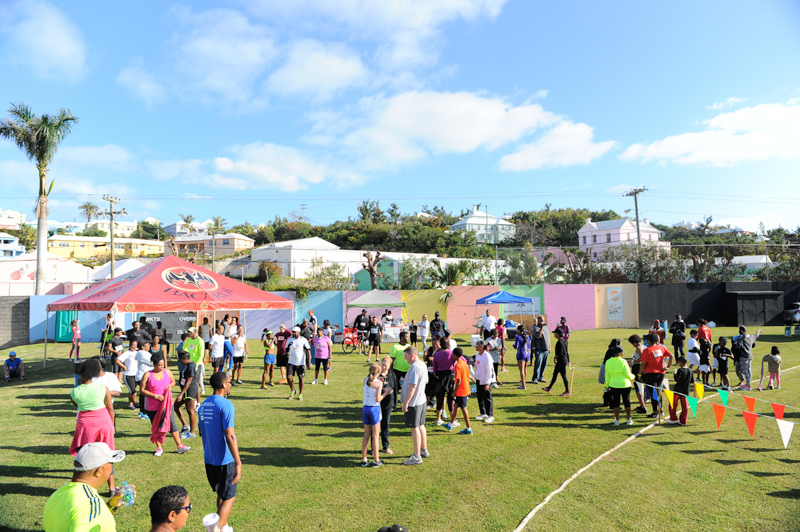 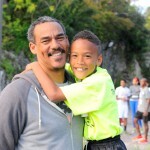 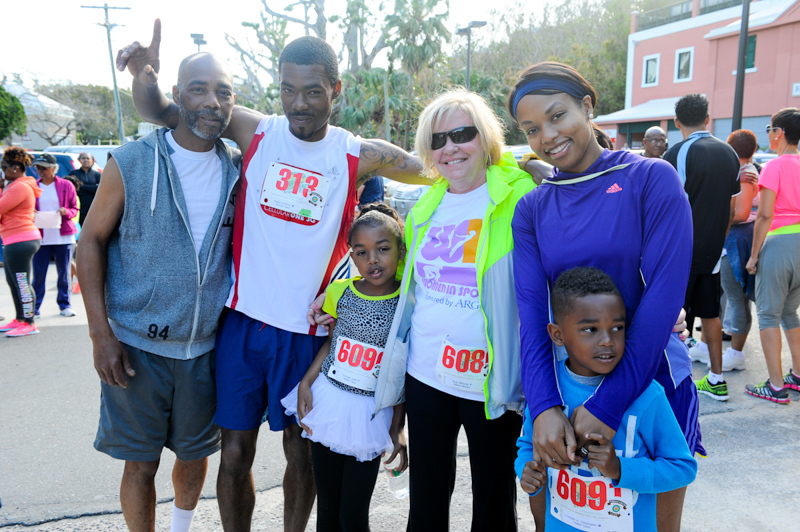 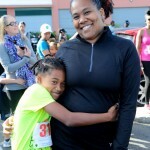 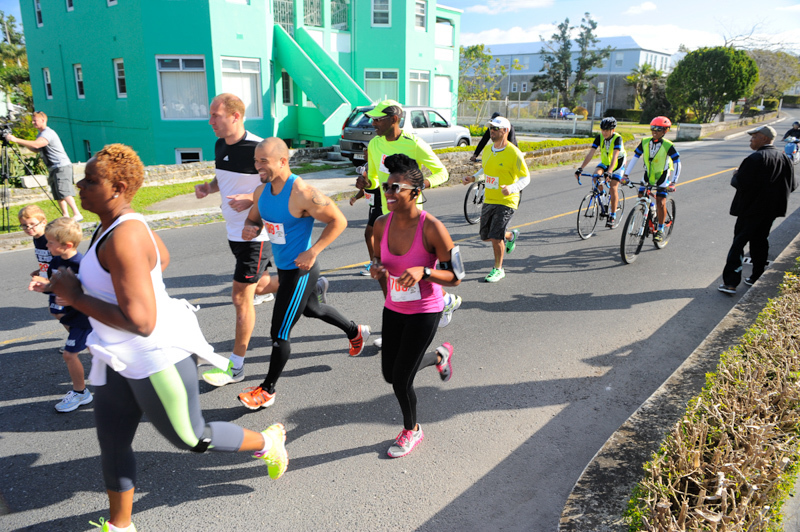 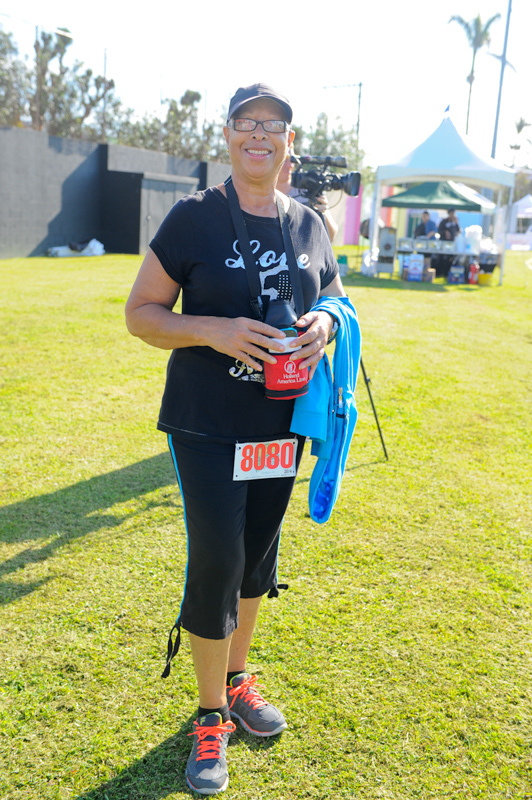 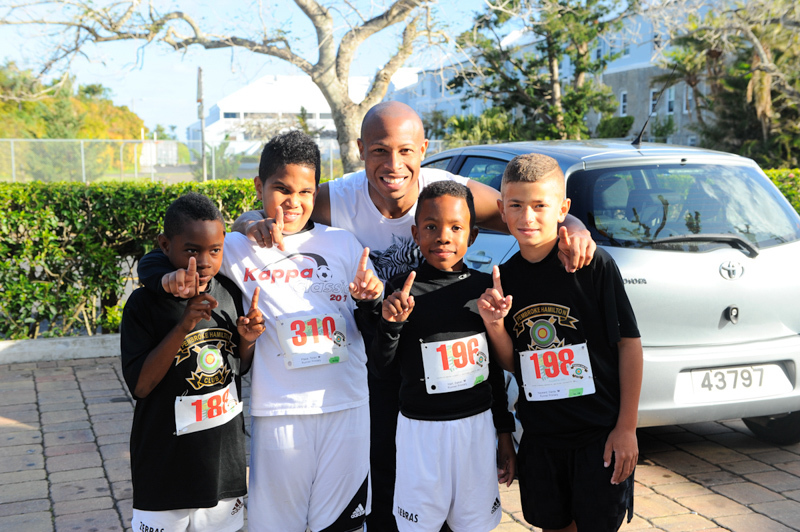 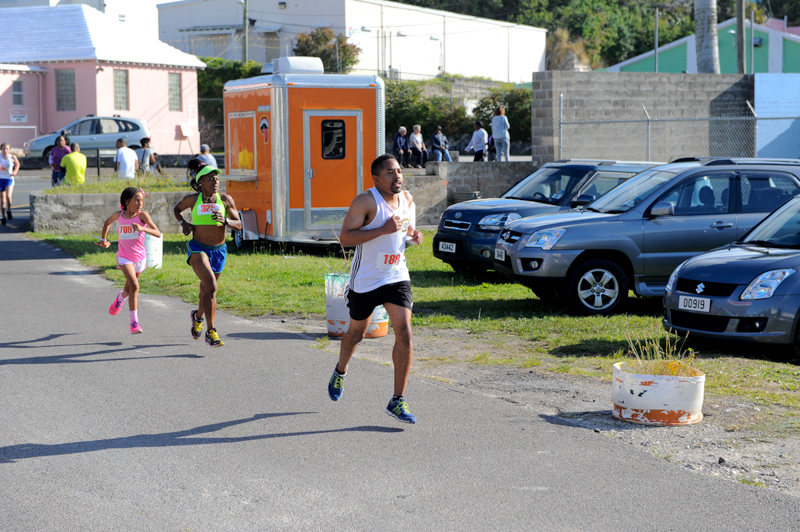 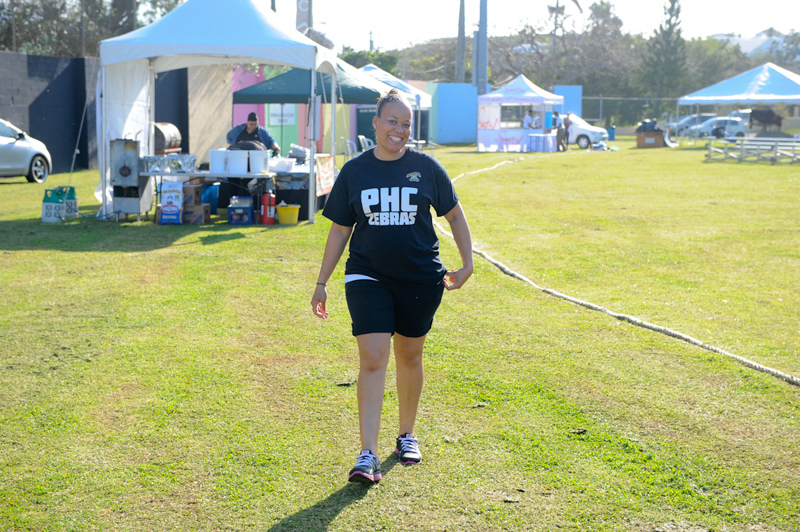 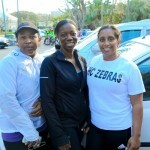 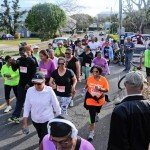 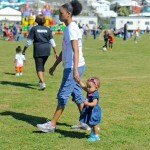 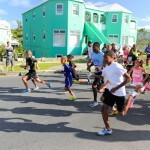 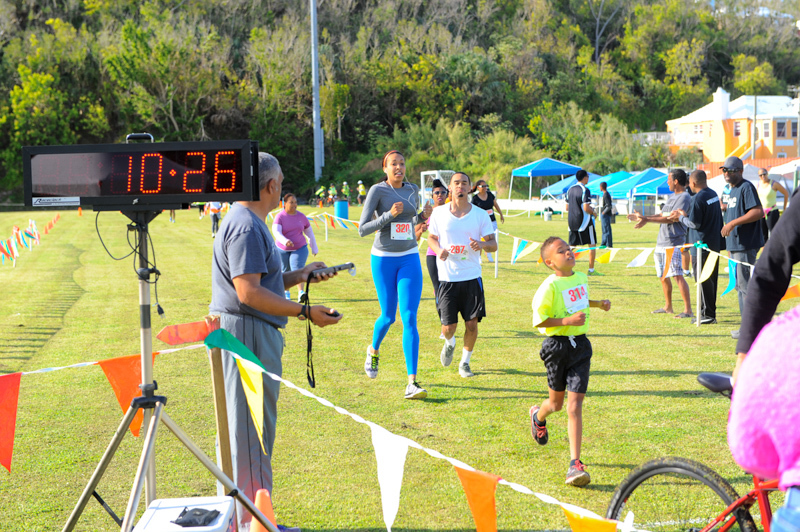 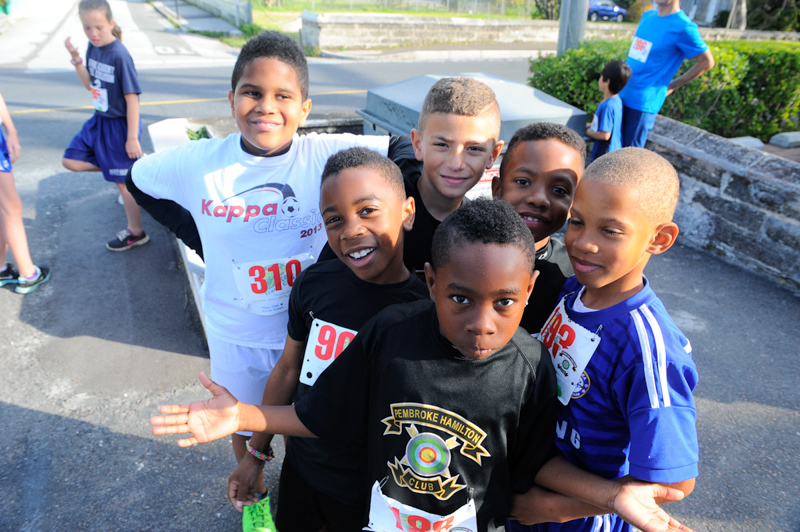 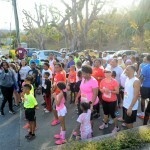 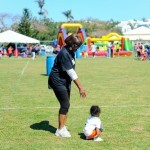 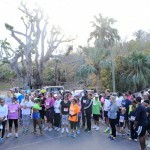 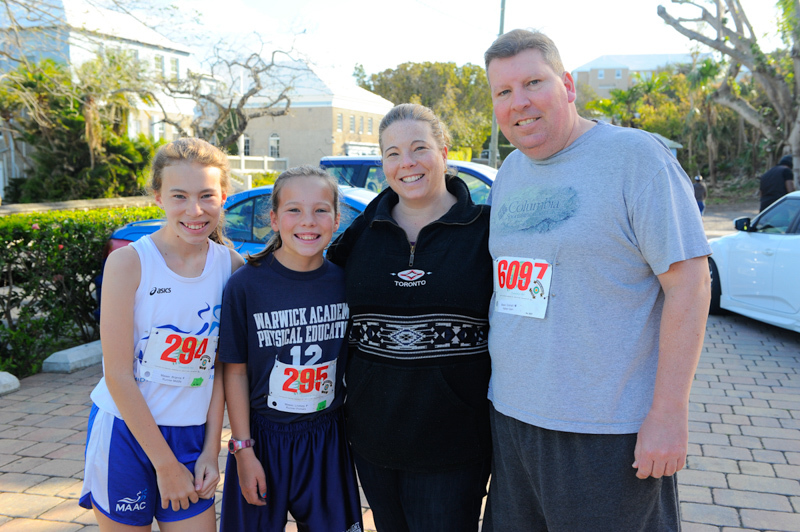 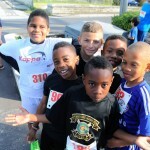 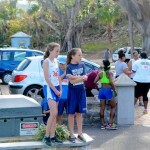 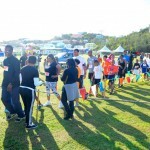 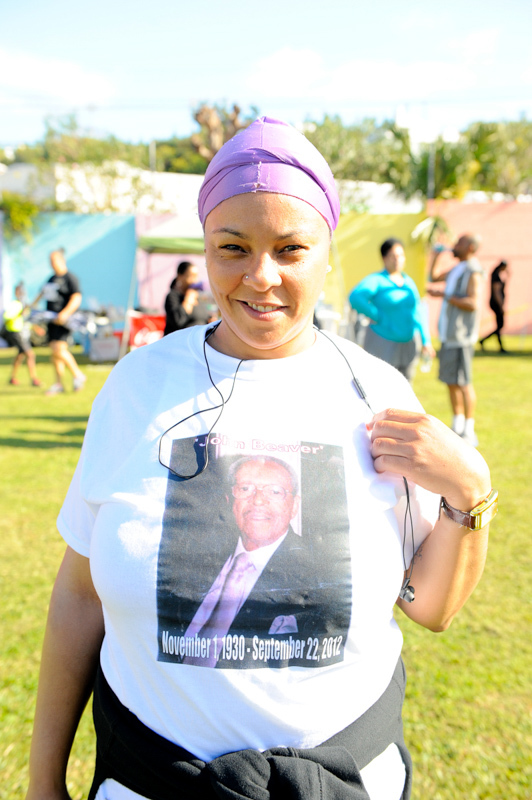 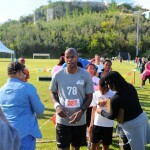 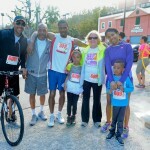 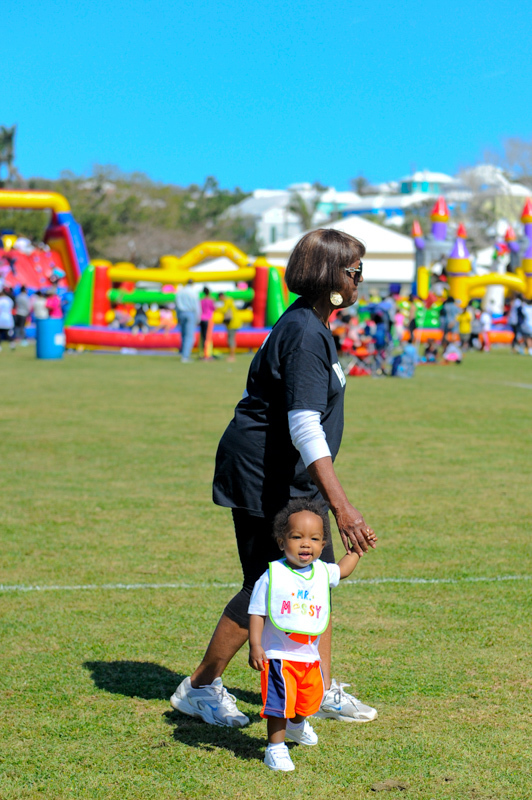 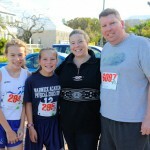 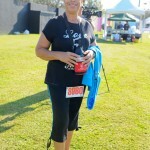 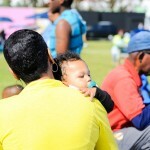 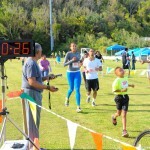 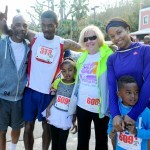 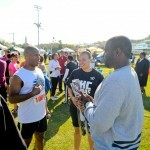 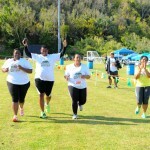 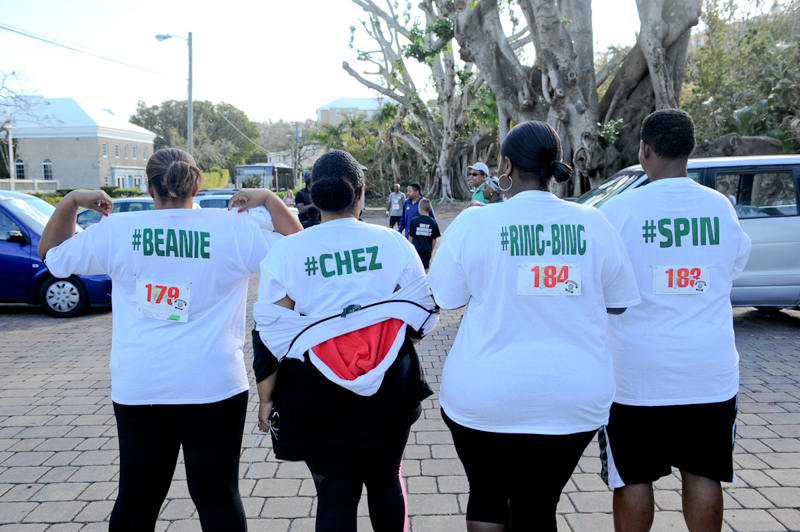 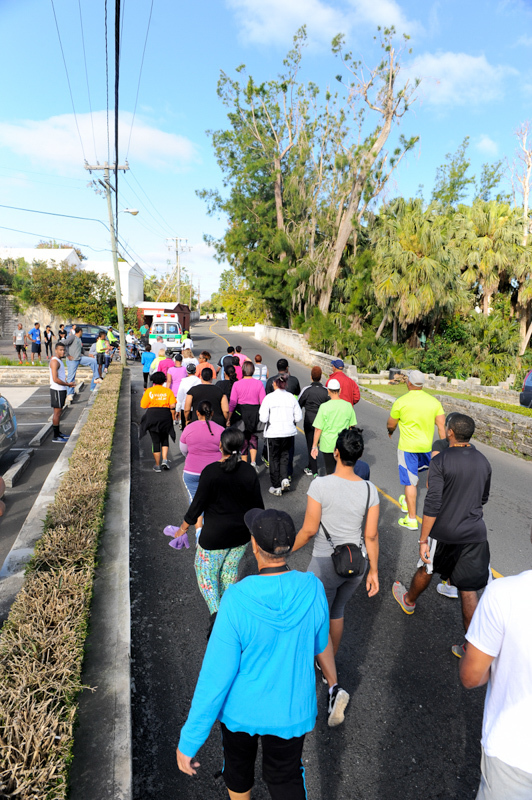 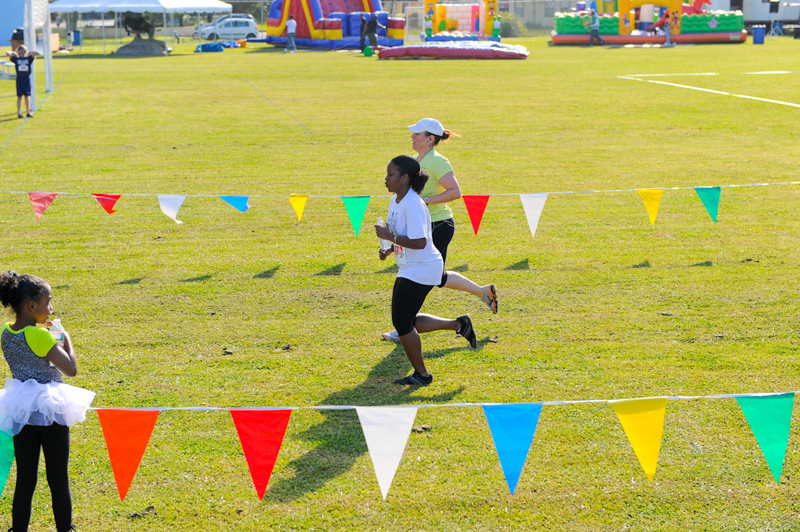 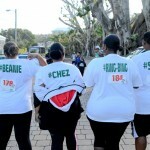 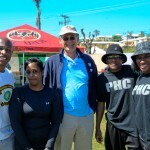 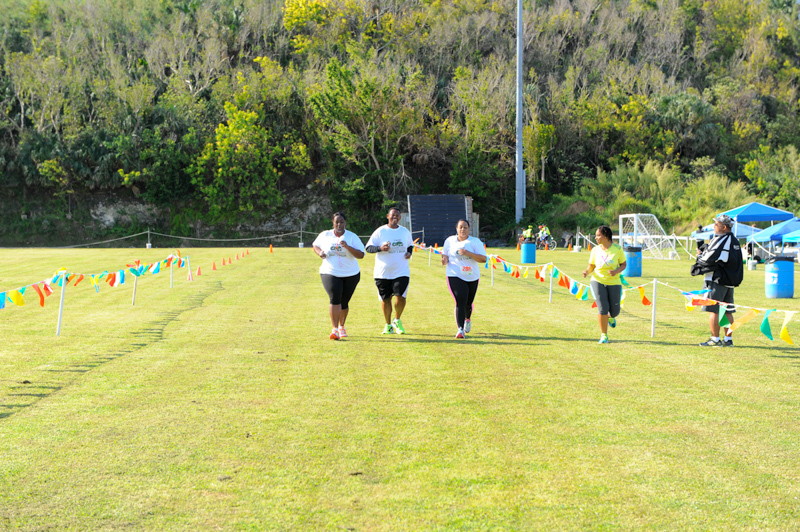 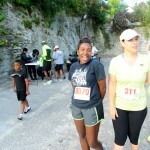 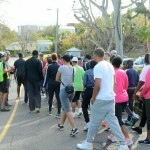 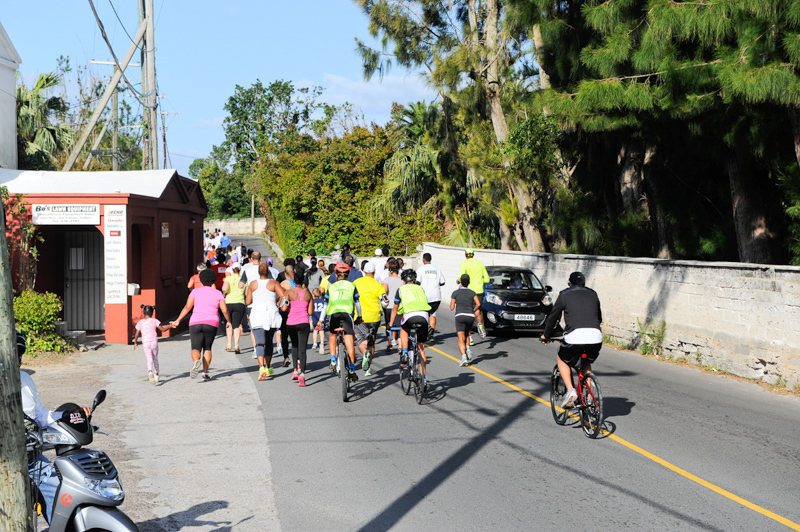 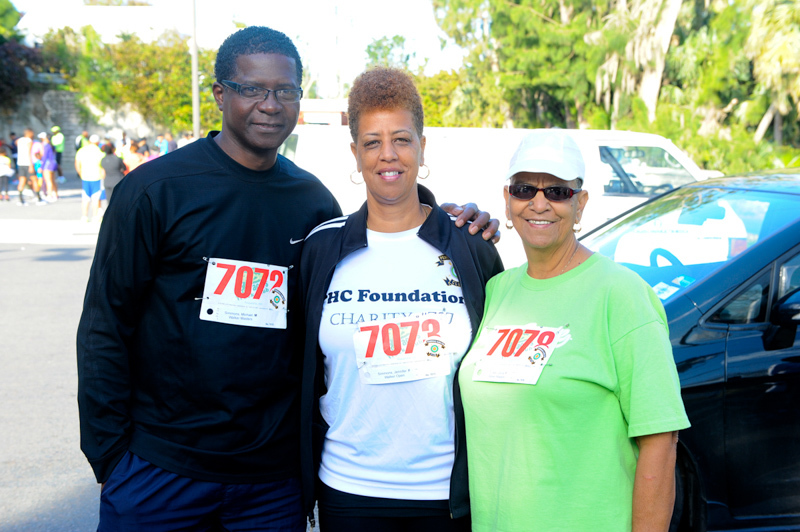 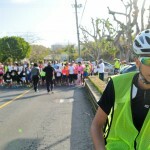 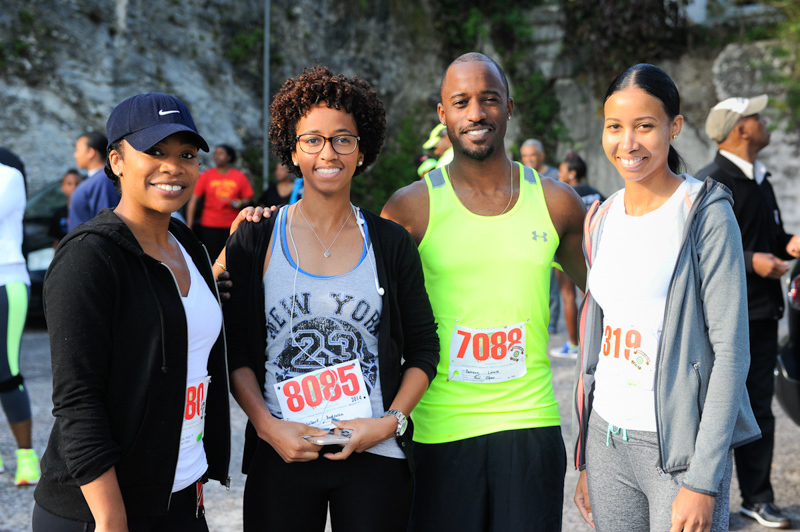 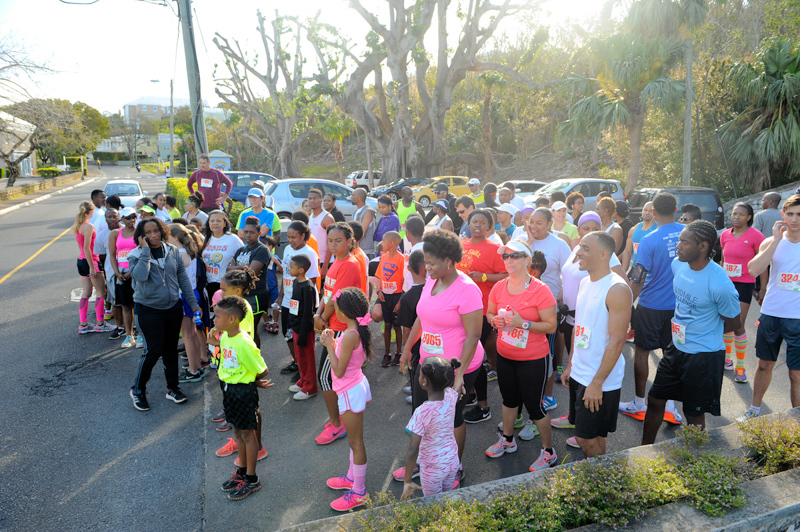 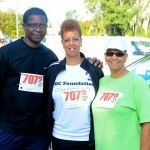 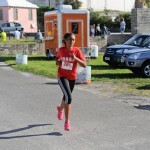 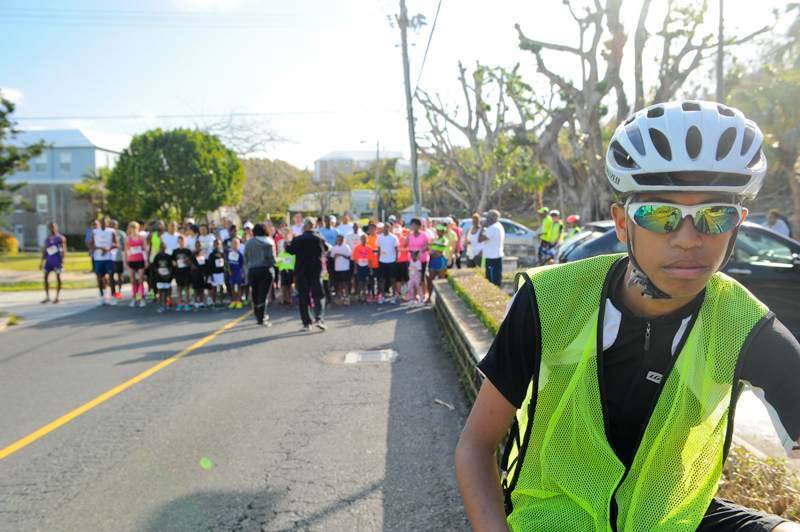 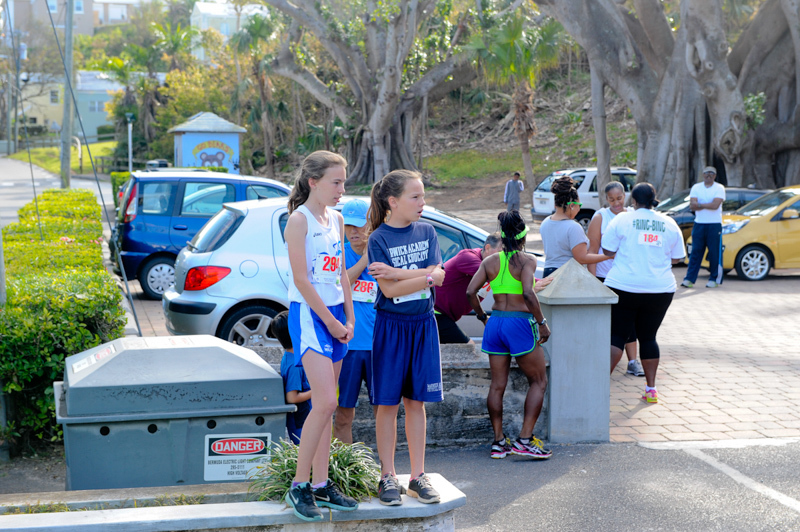 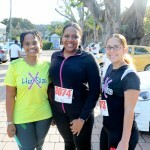 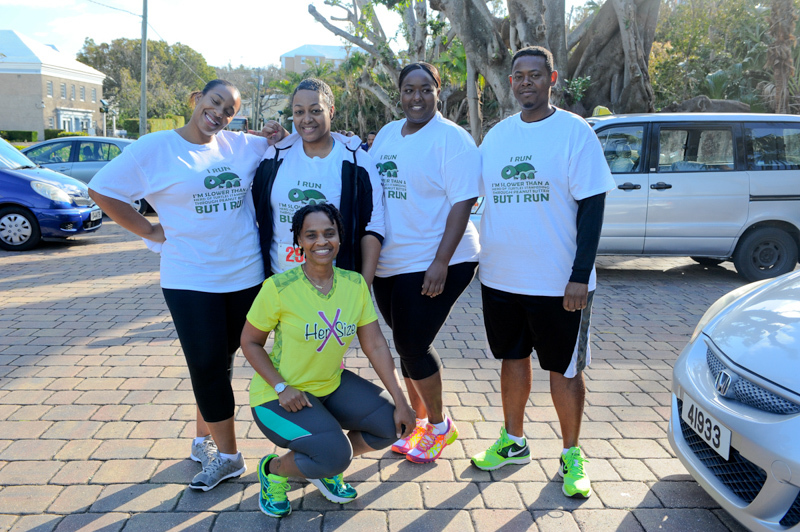 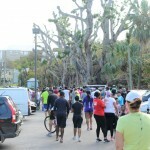 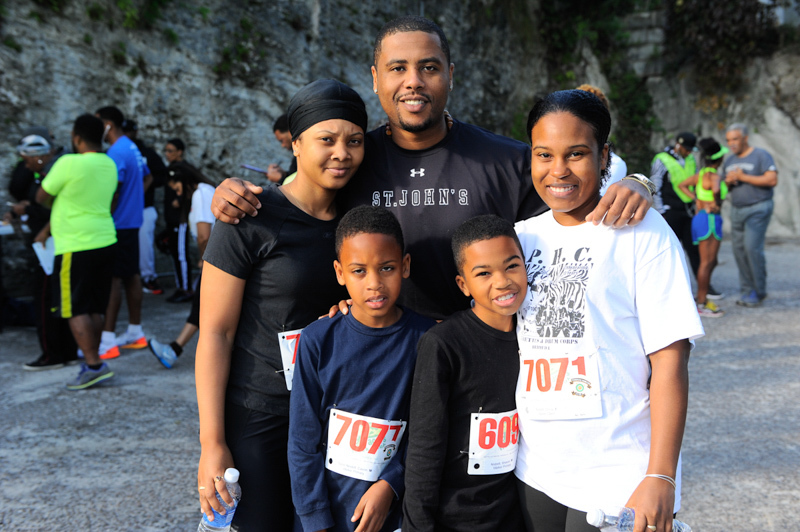 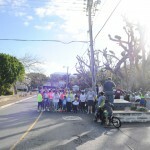 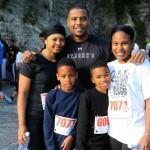 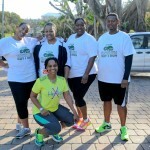 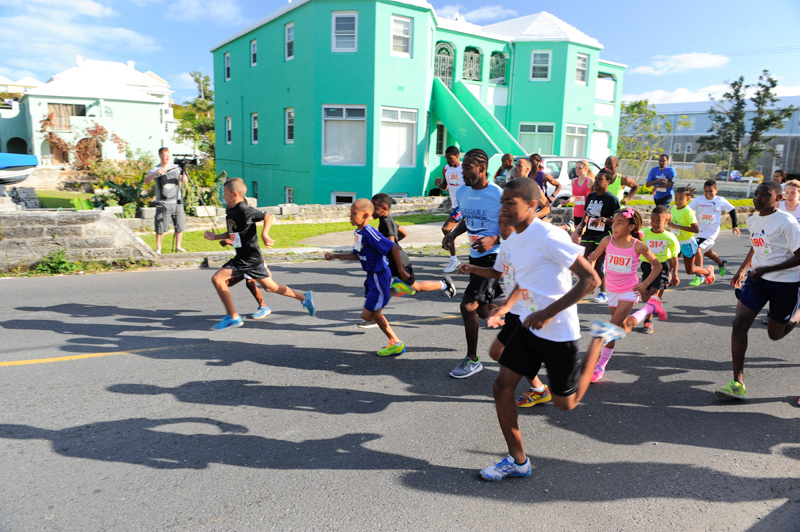 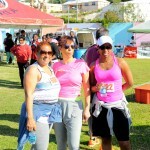 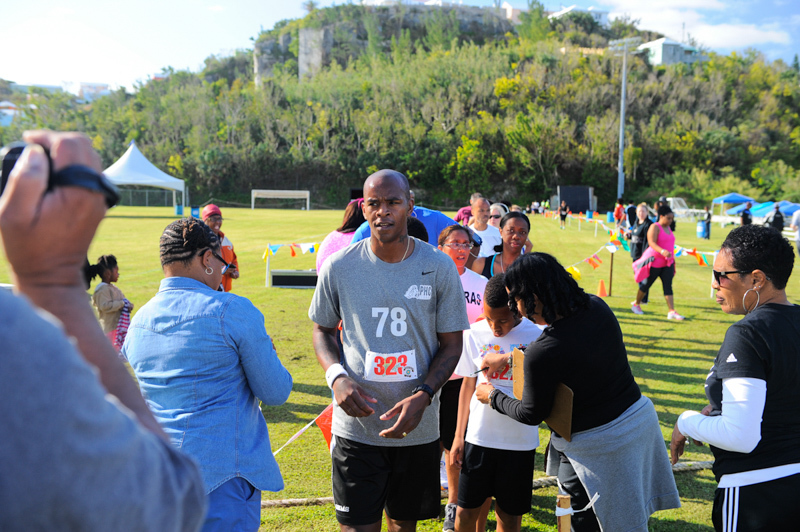 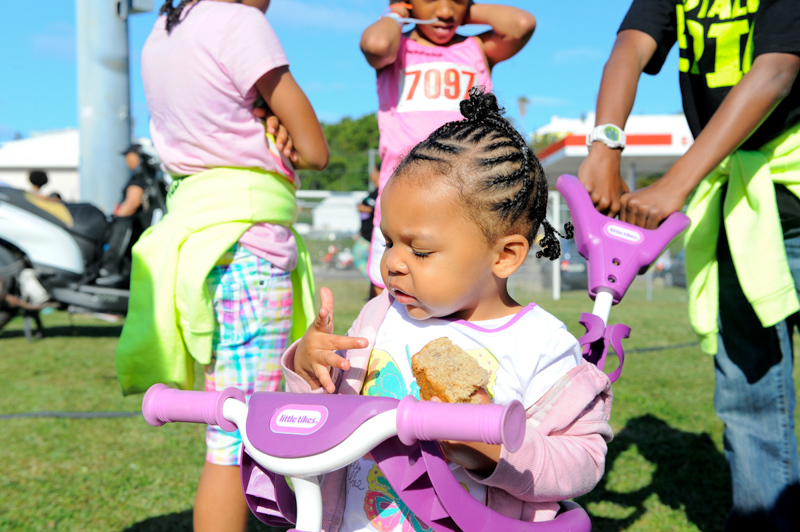 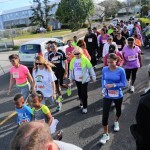 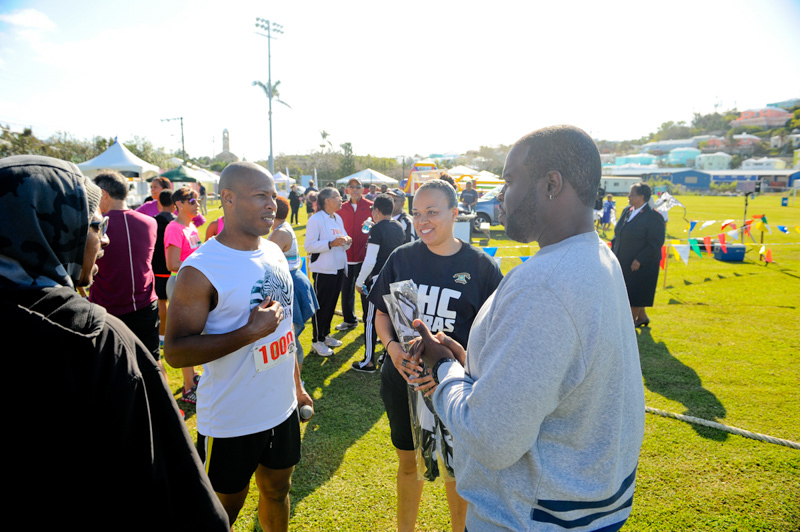 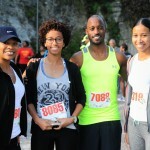 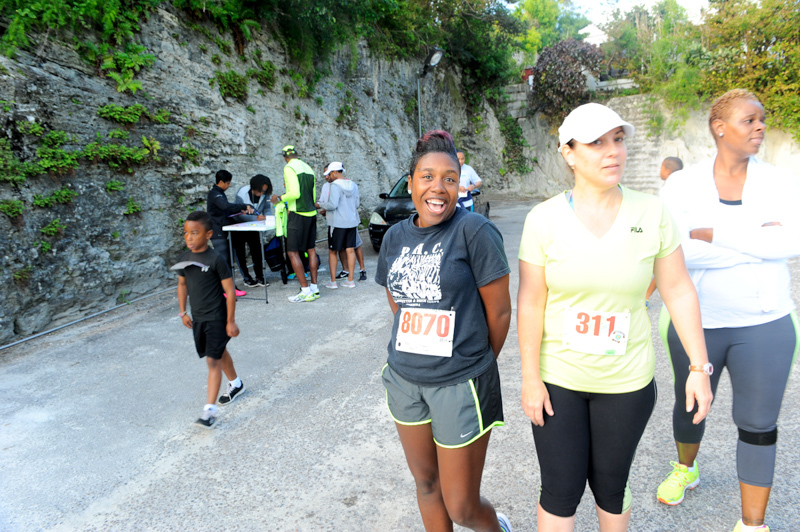 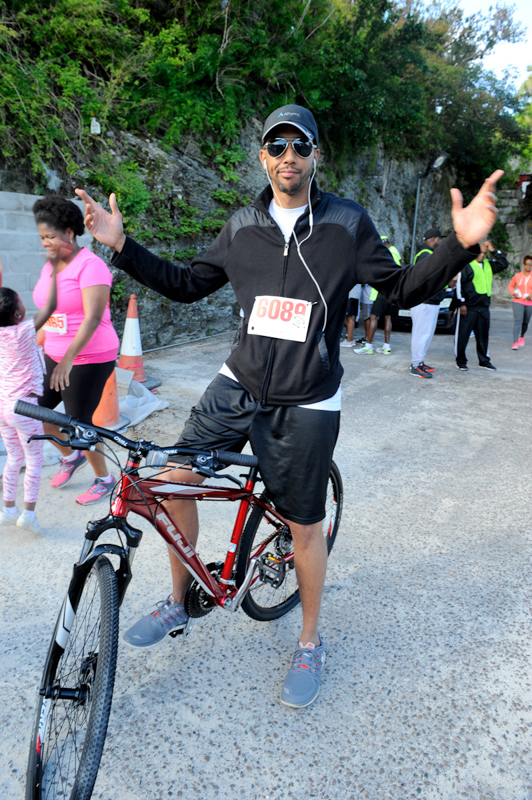 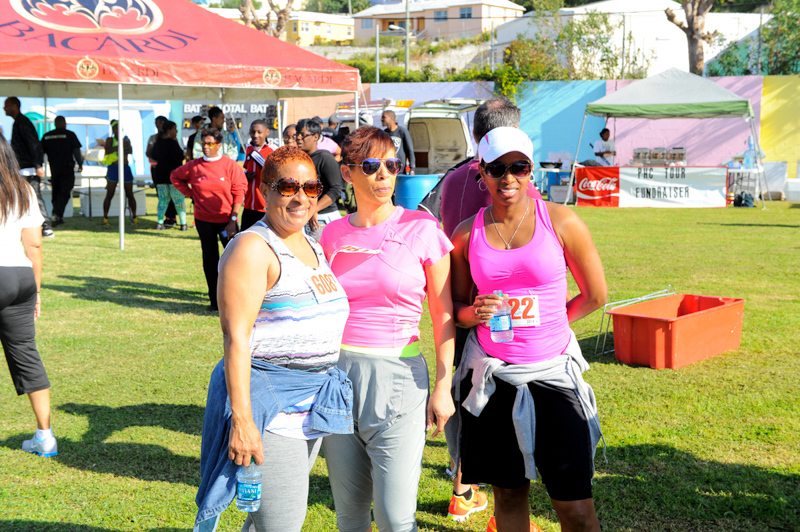 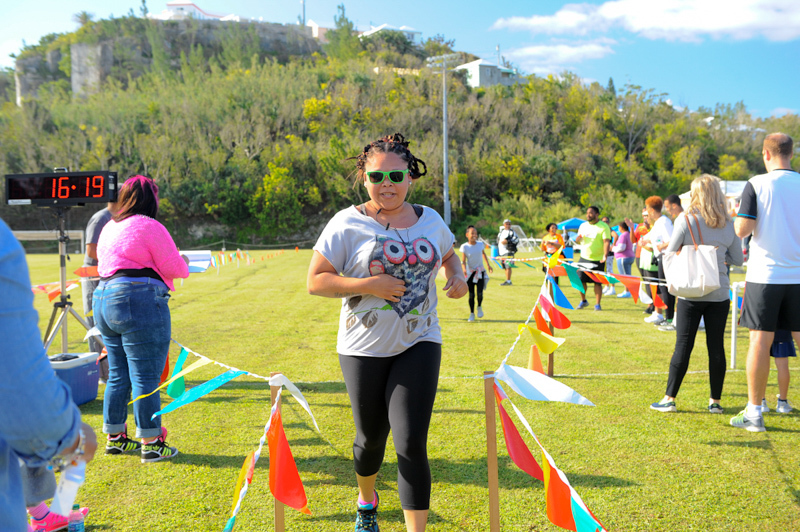 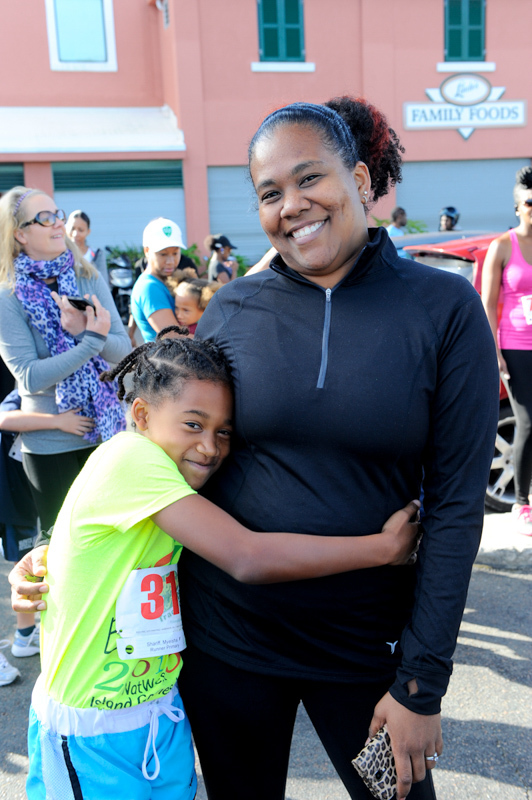 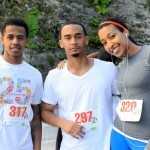 “The day began with a 1.2 mile walk/run from Lindo’s to PHC field which had just over 120 participants. 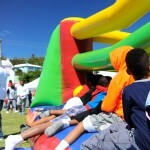 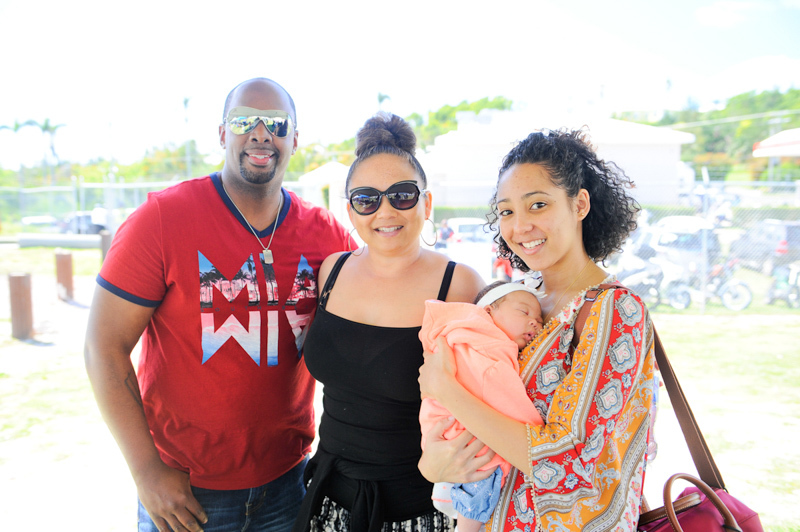 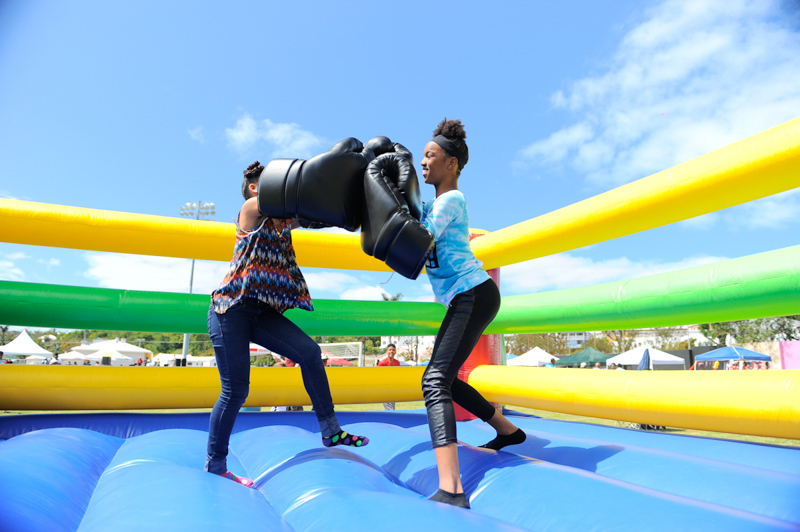 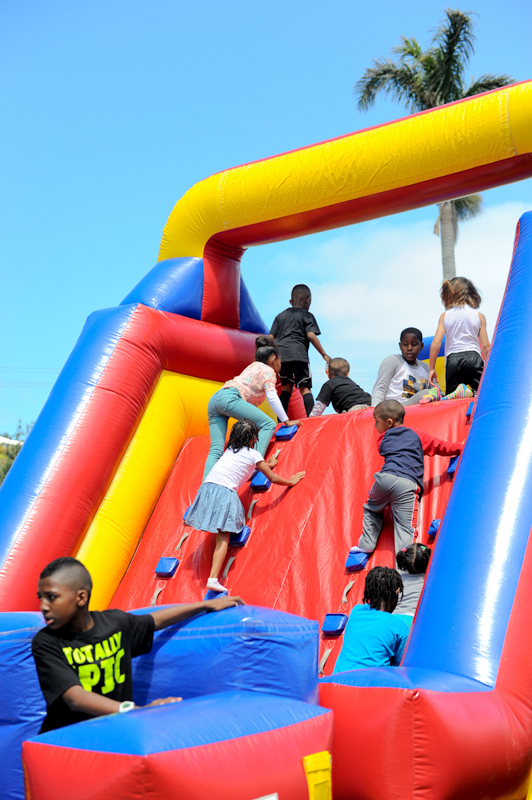 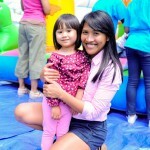 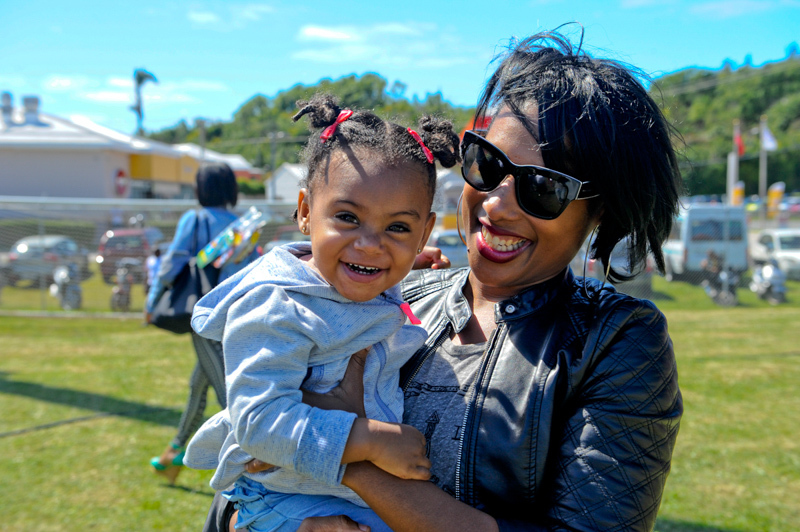 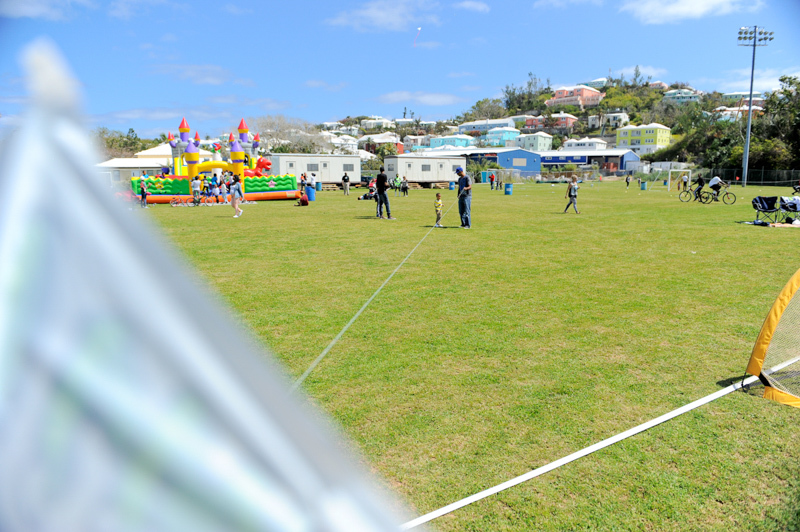 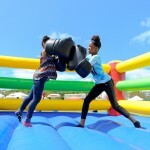 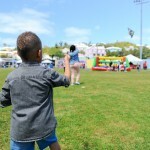 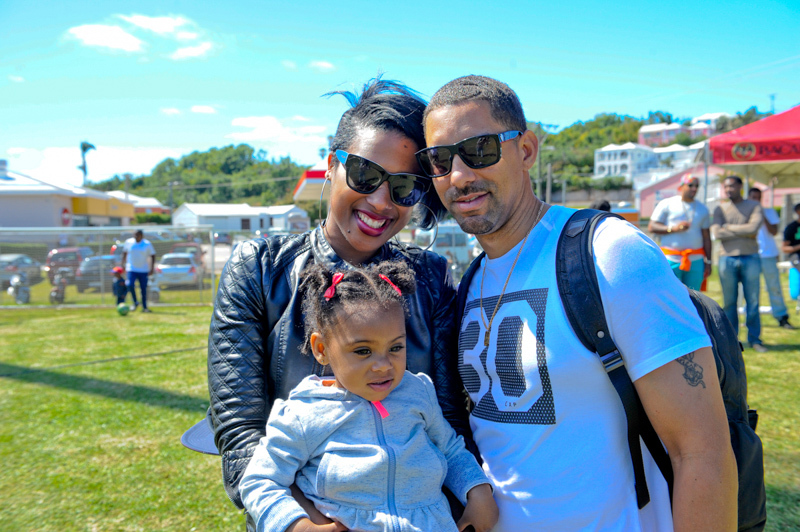 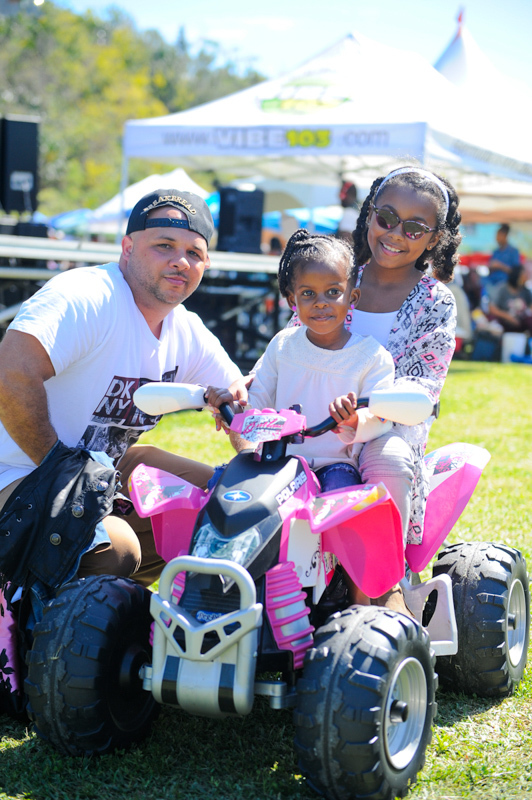 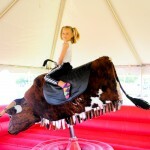 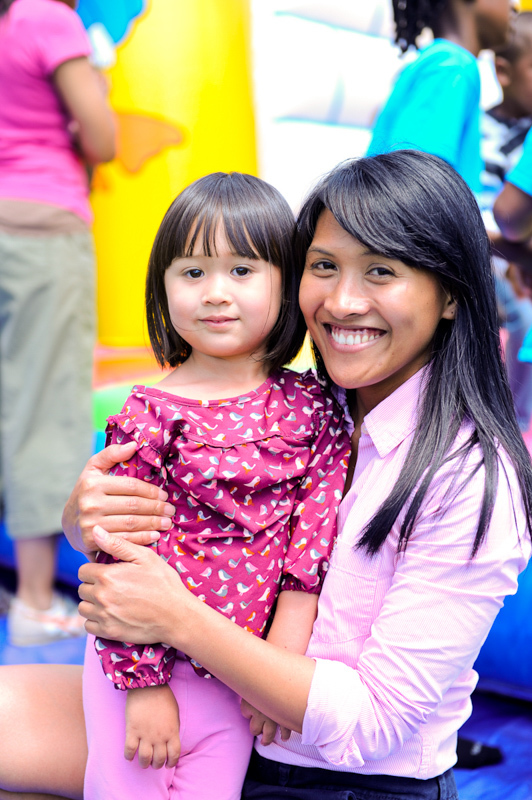 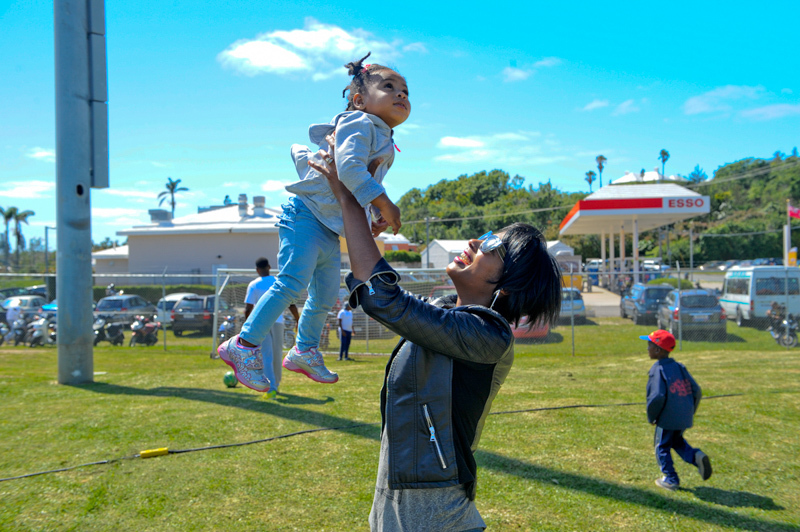 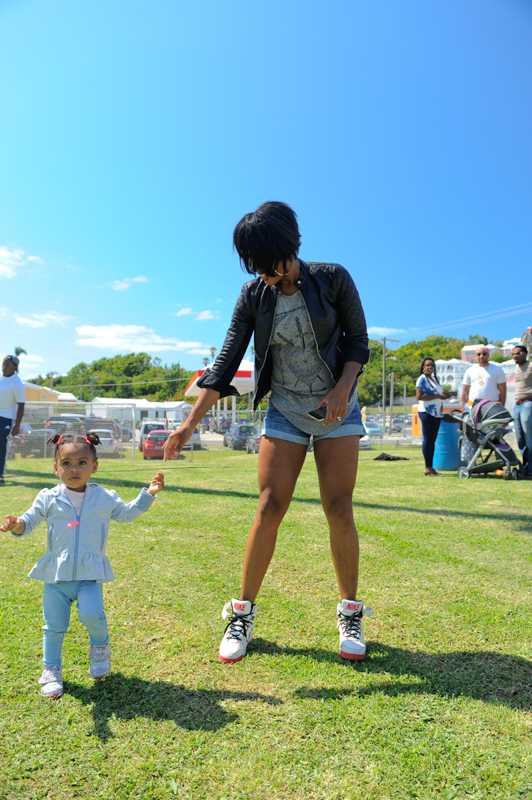 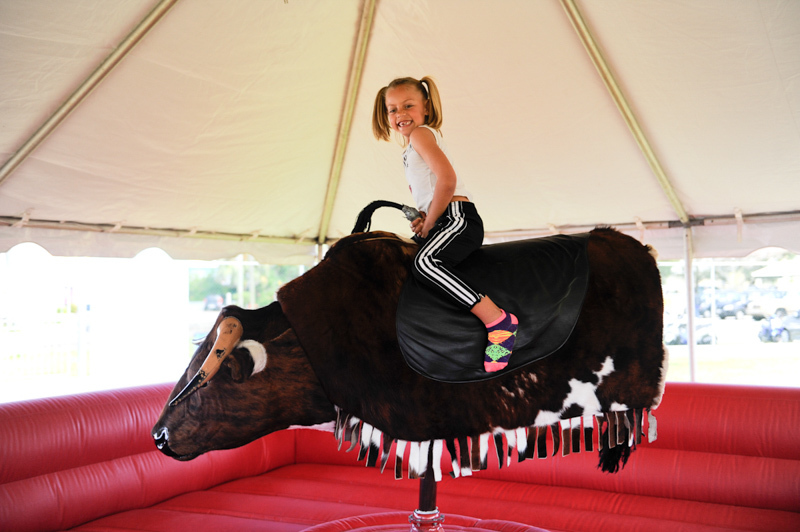 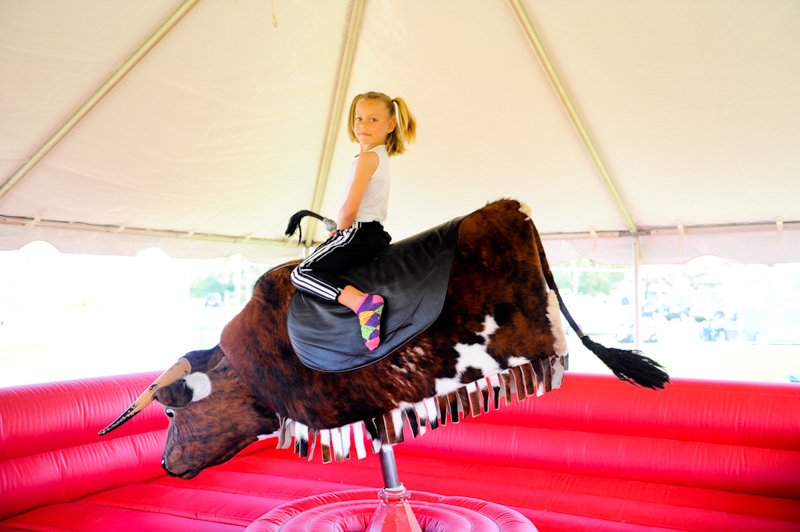 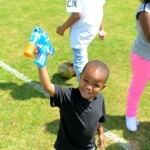 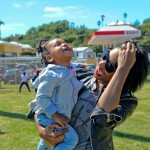 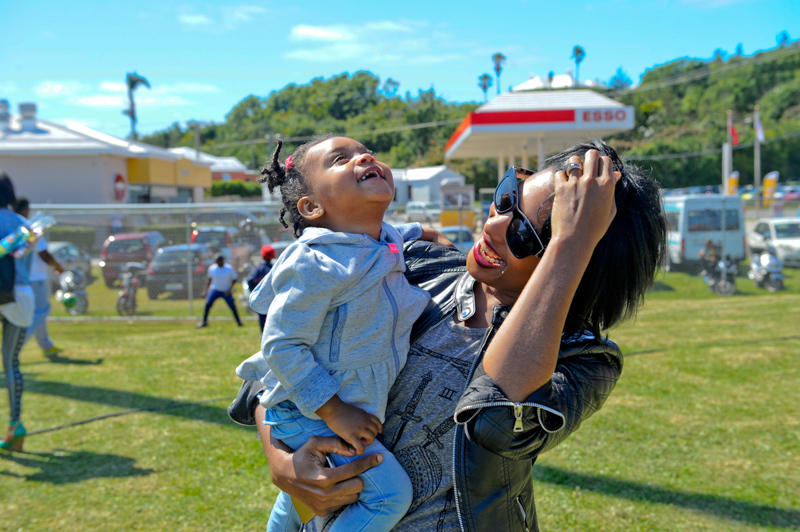 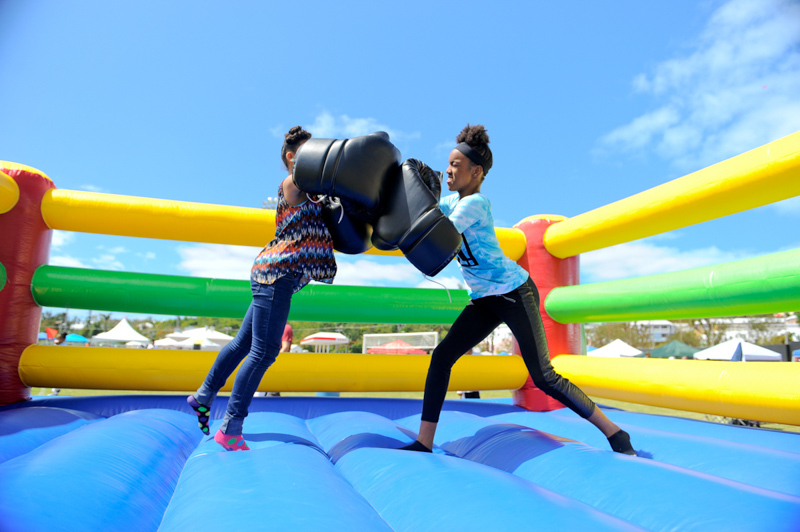 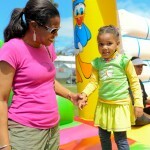 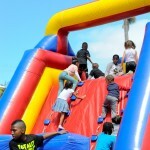 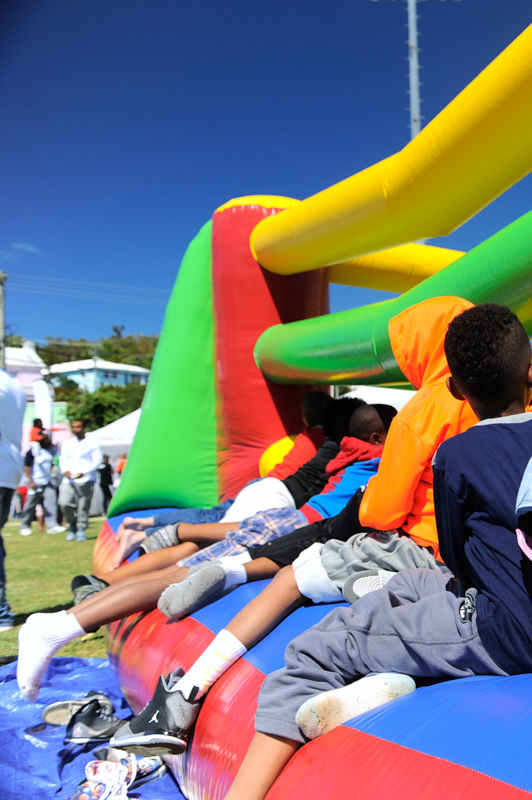 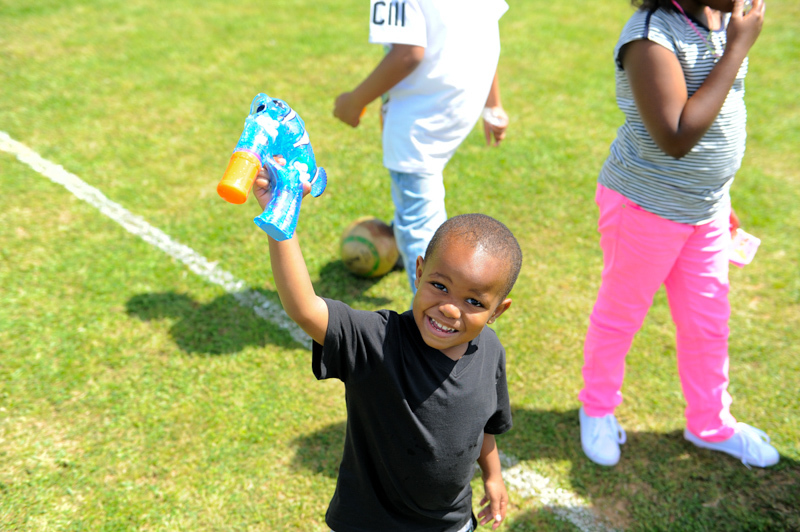 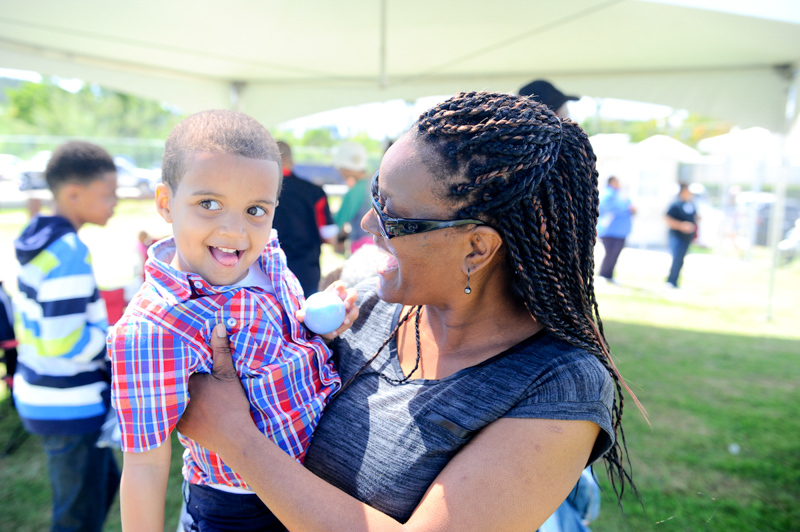 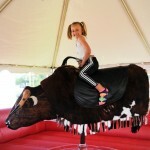 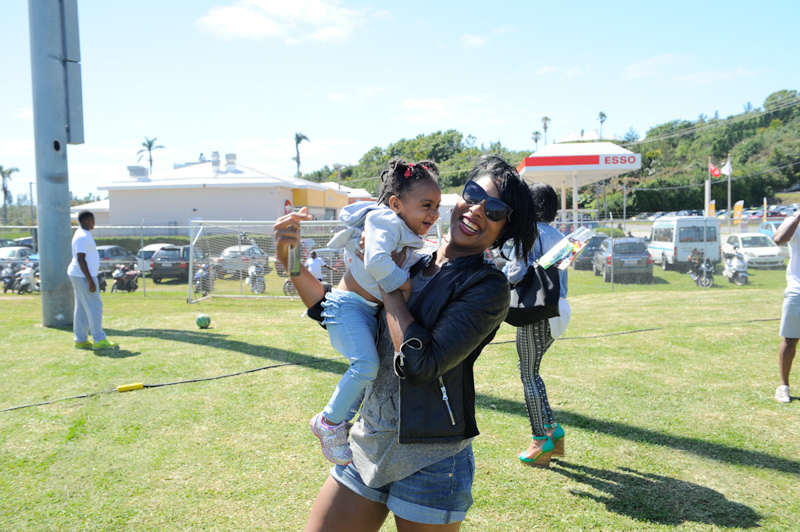 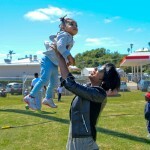 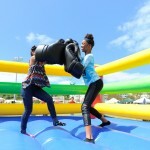 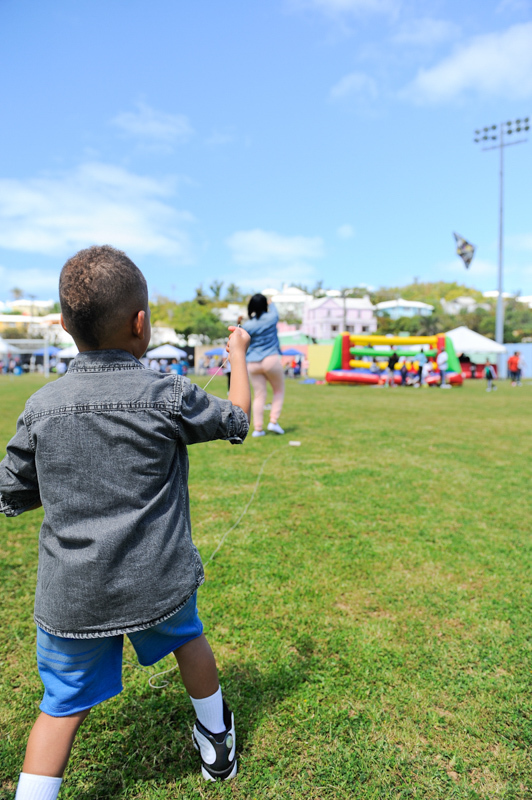 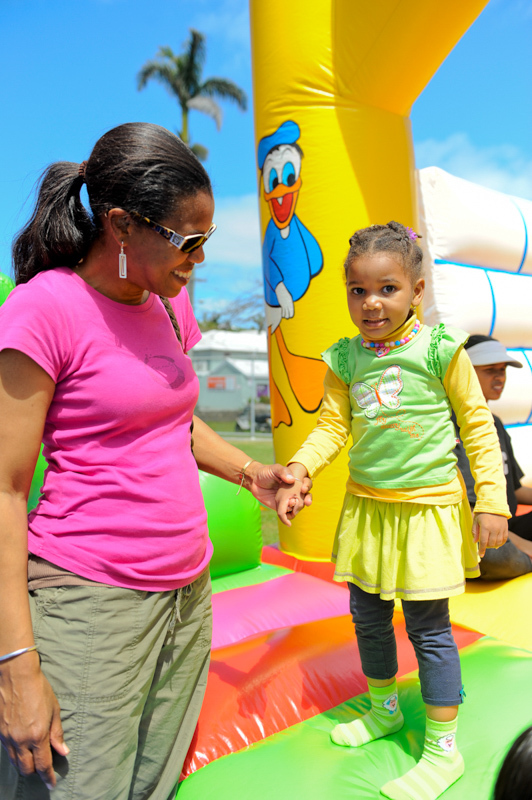 From 10am, the Community Day began in earnest, as there were a variety of large fun castles for the children and a mechanical bull ride for both young and old. 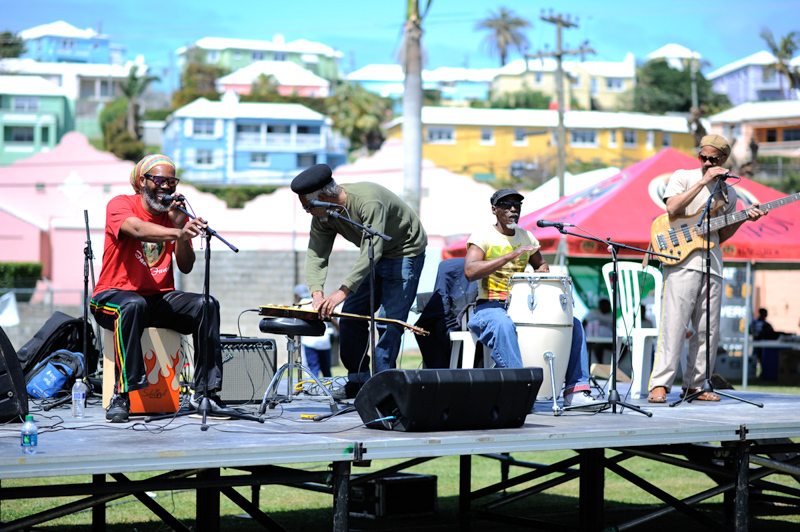 In addition, the crowd was treated to a variety of local entertainers. 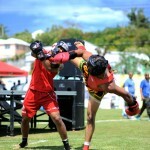 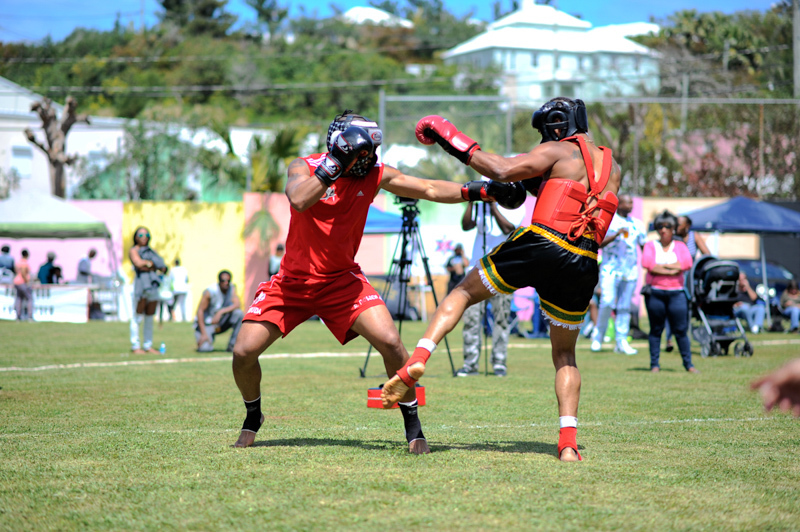 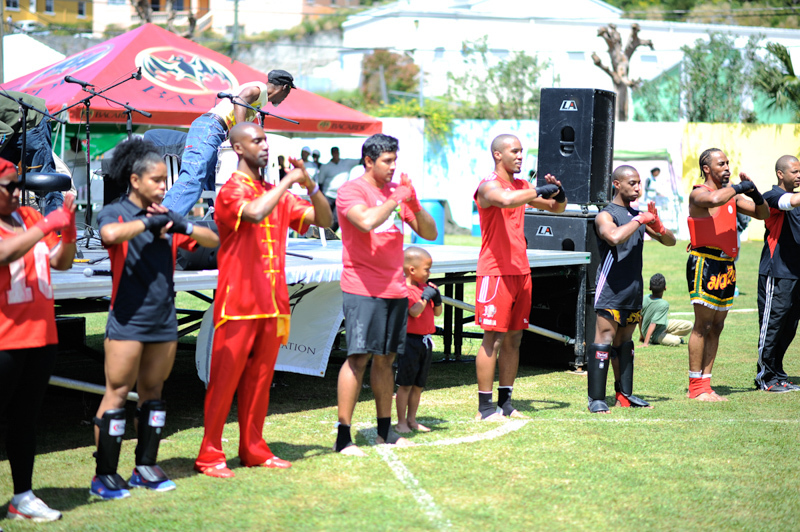 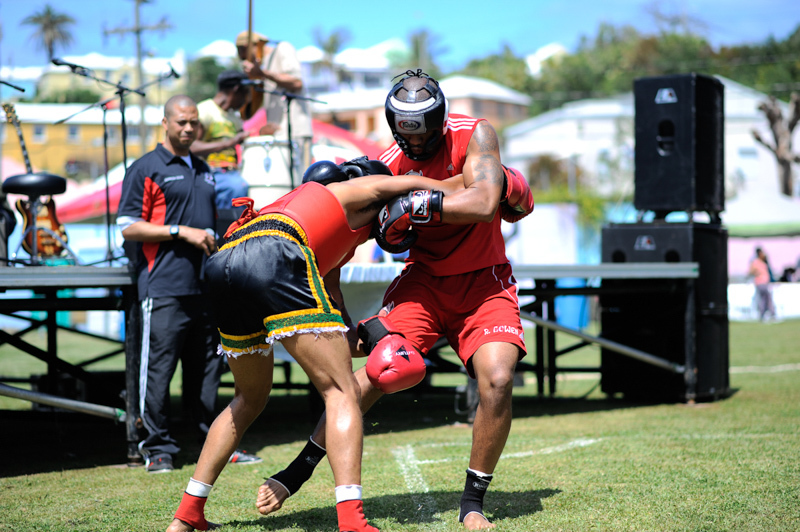 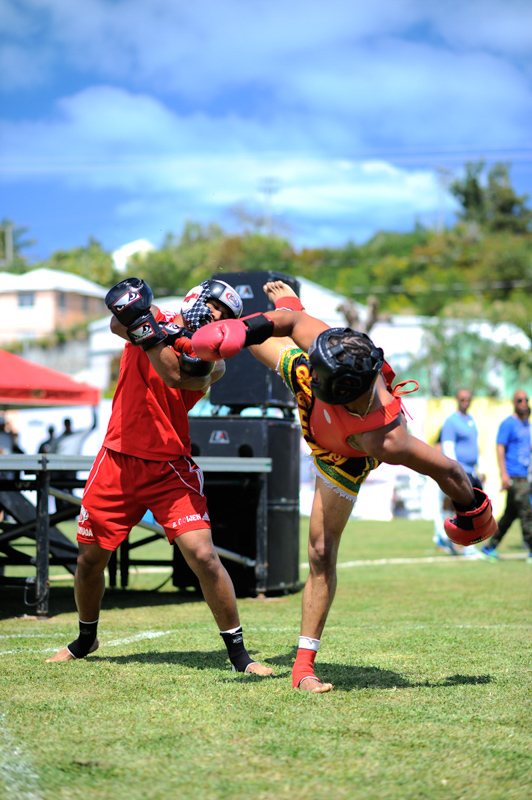 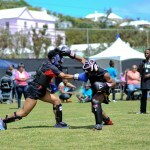 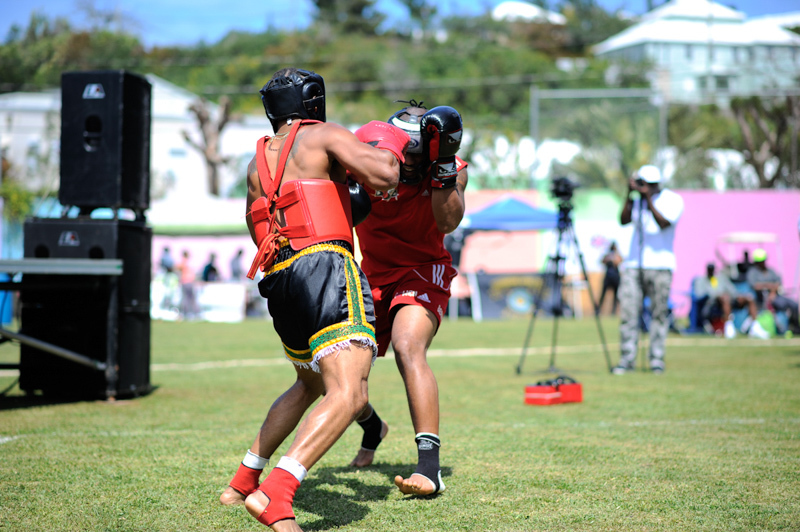 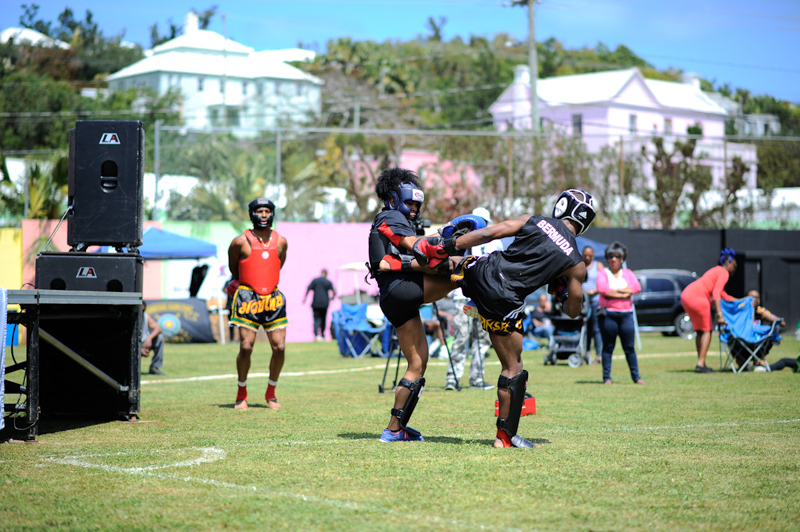 “The Bermuda Sanshou Association did an exceptional demonstration in preparation for the Teacher’s Fight Night on April 18th at Berkeley. 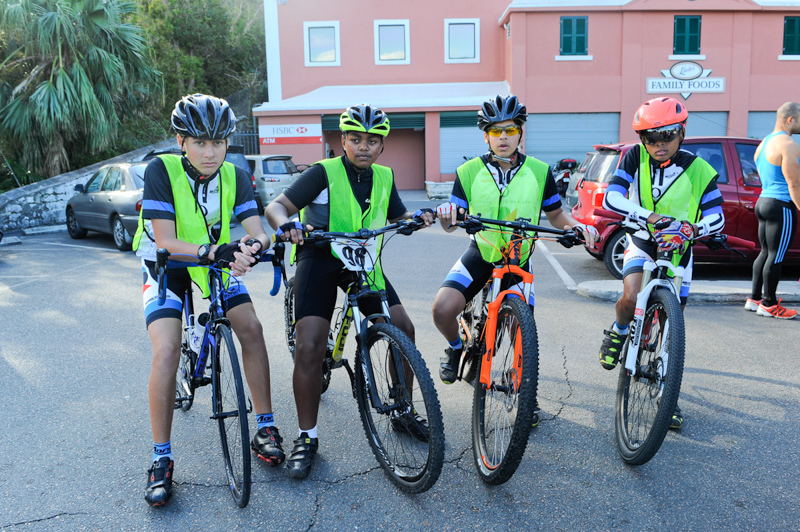 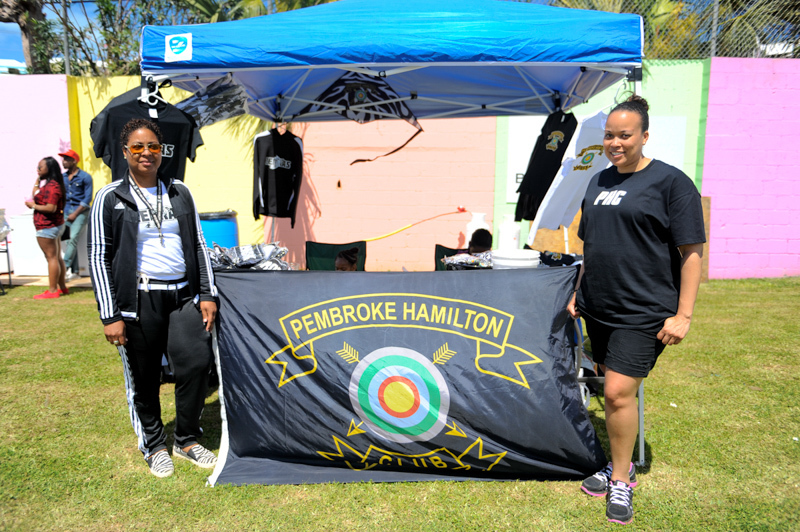 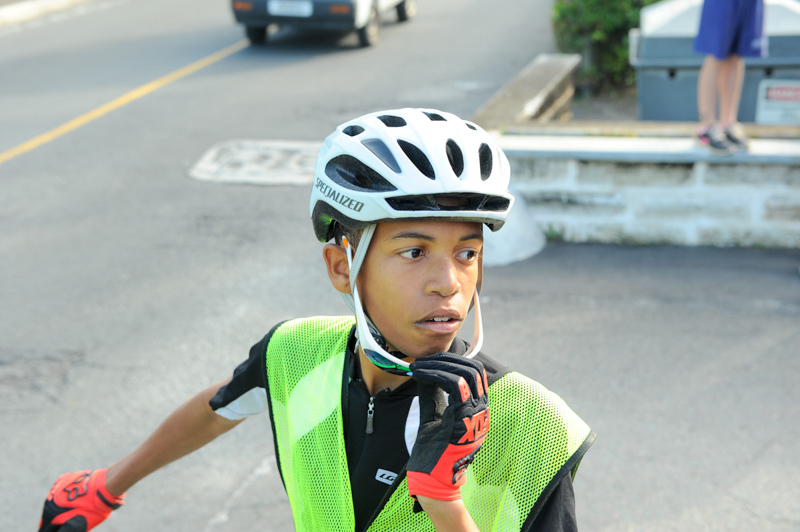 Two of the athletes, Sentwali Woolridge and Reyel Bown are recent recipients of Achievements Awards at the Government Sports Awards presentation. 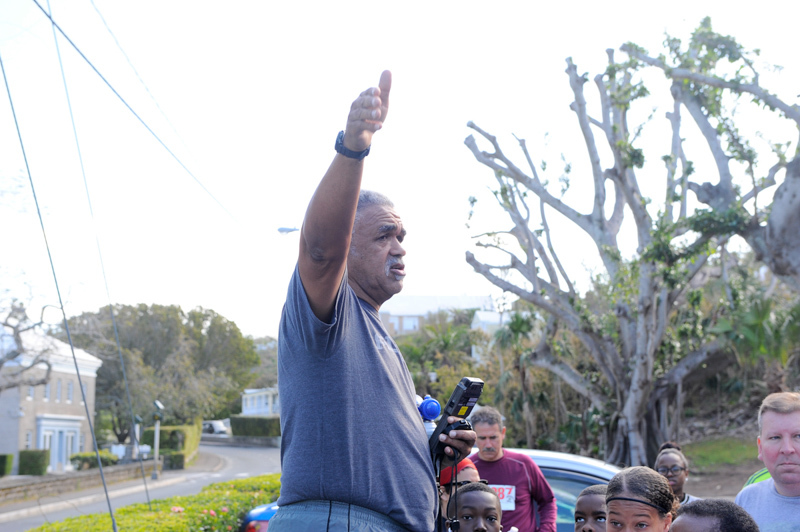 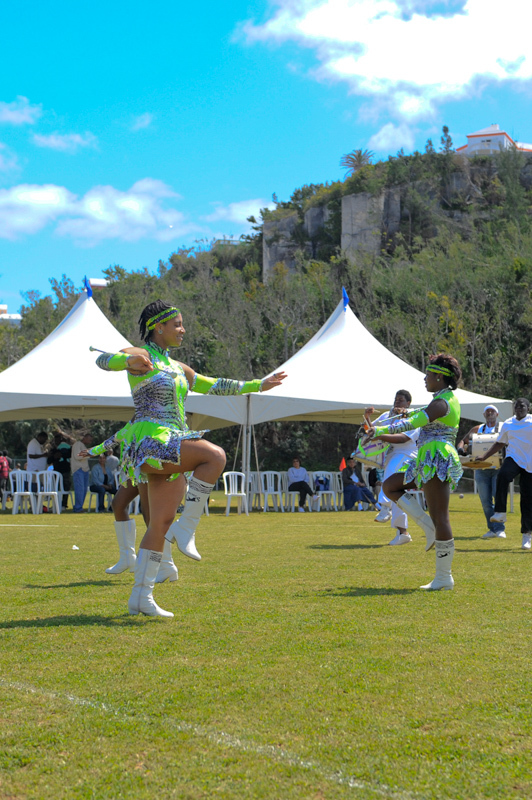 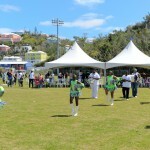 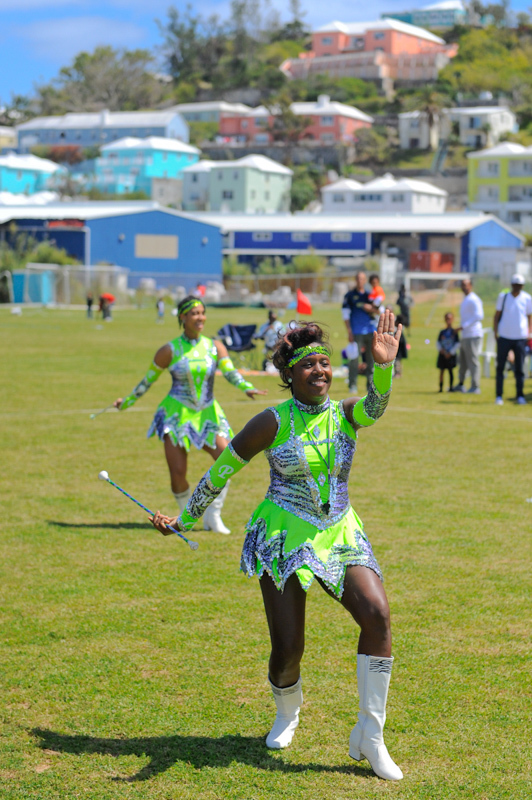 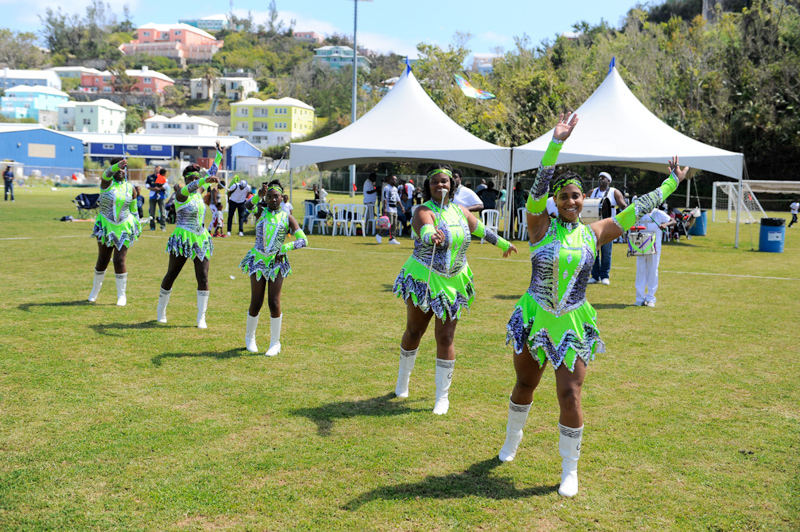 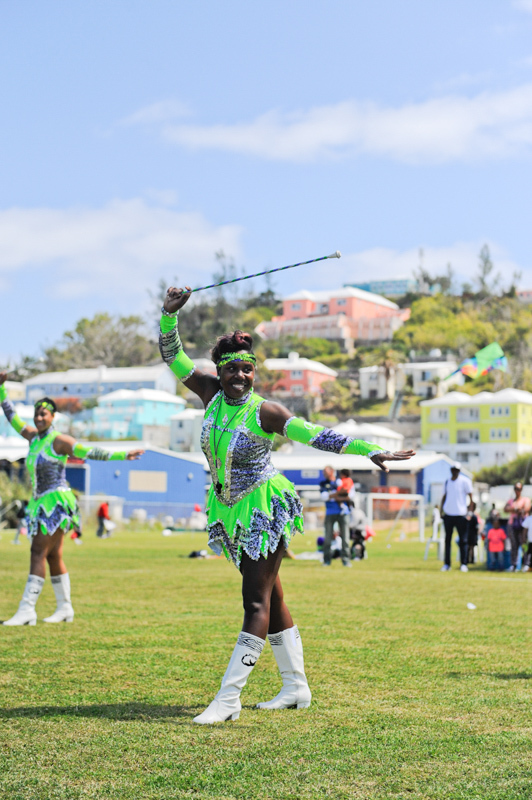 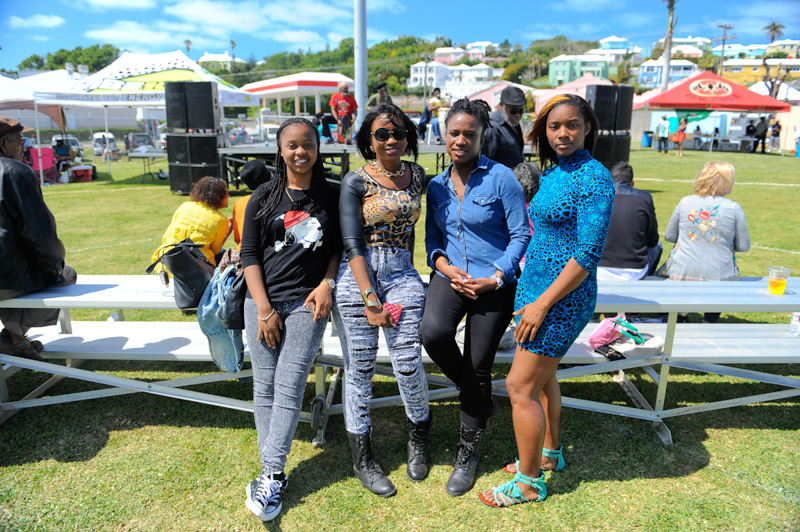 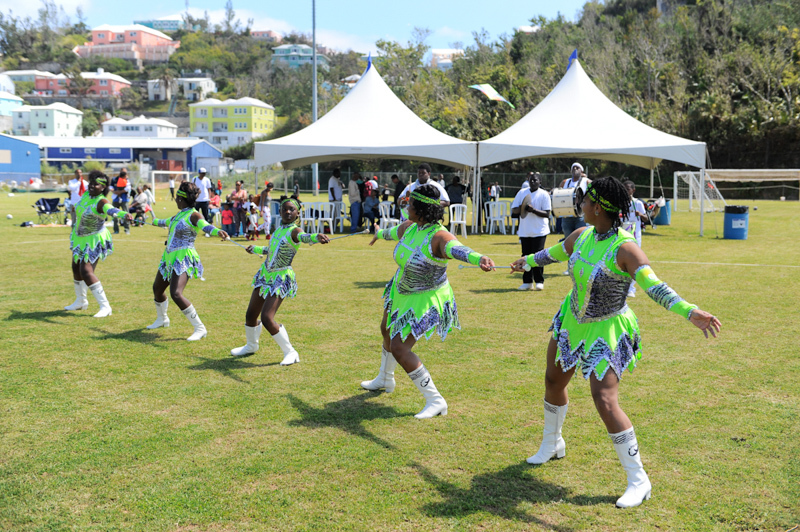 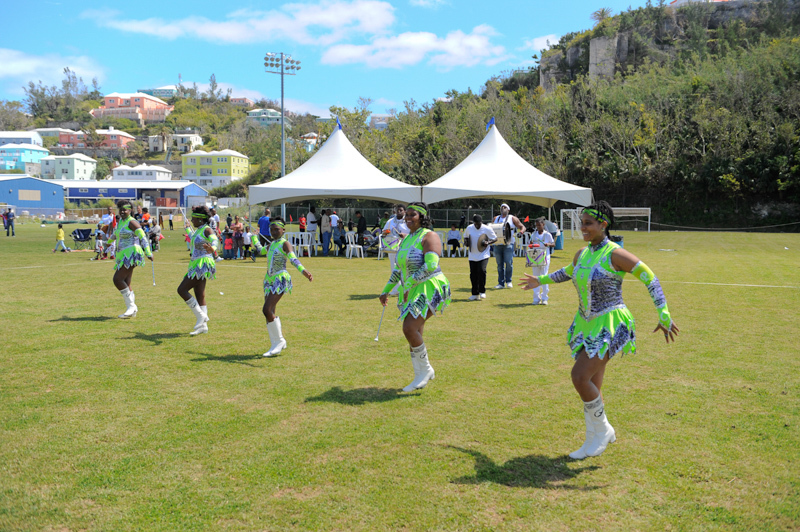 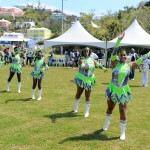 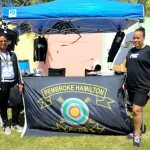 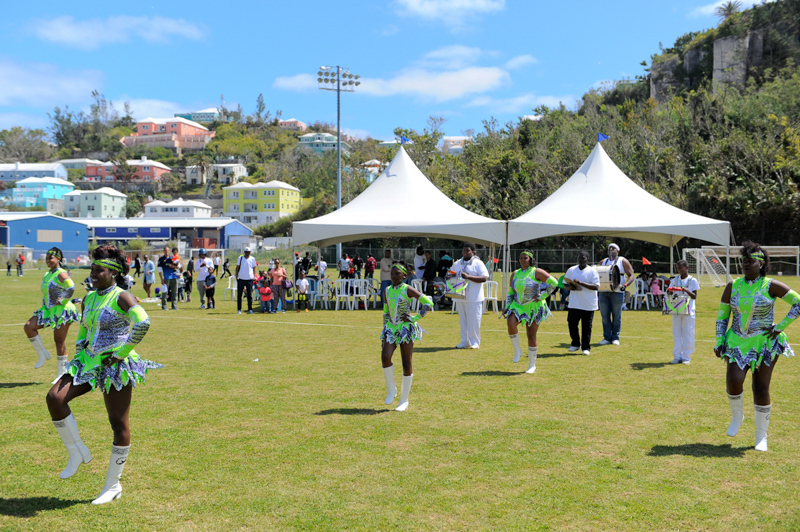 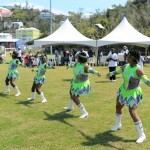 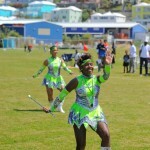 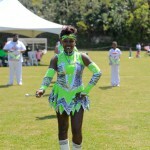 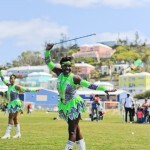 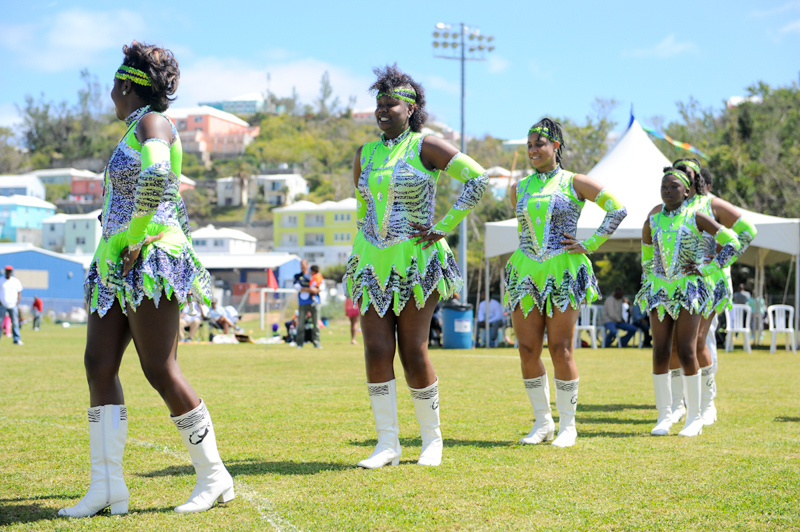 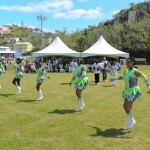 “The PHC Majorette & Drum Corps did a well-executed performance as they step up preparations for the Bermuda Day Holiday. 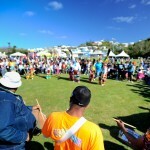 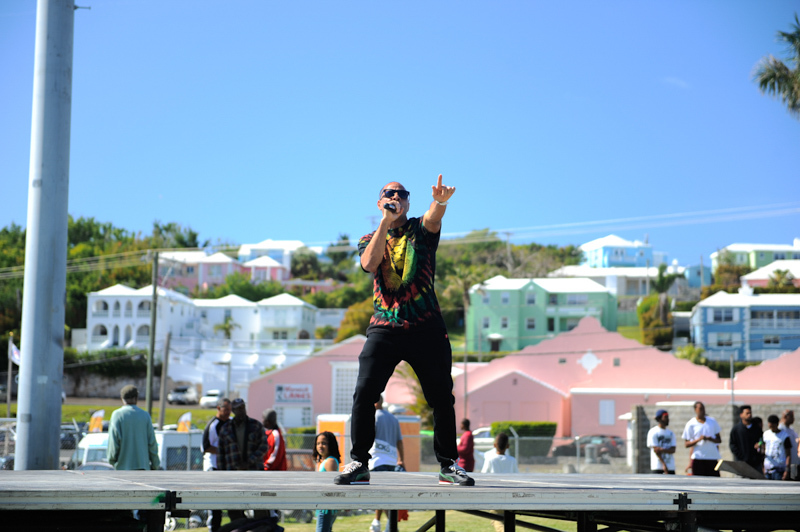 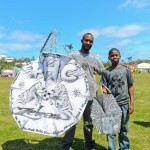 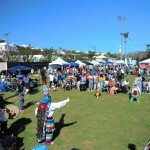 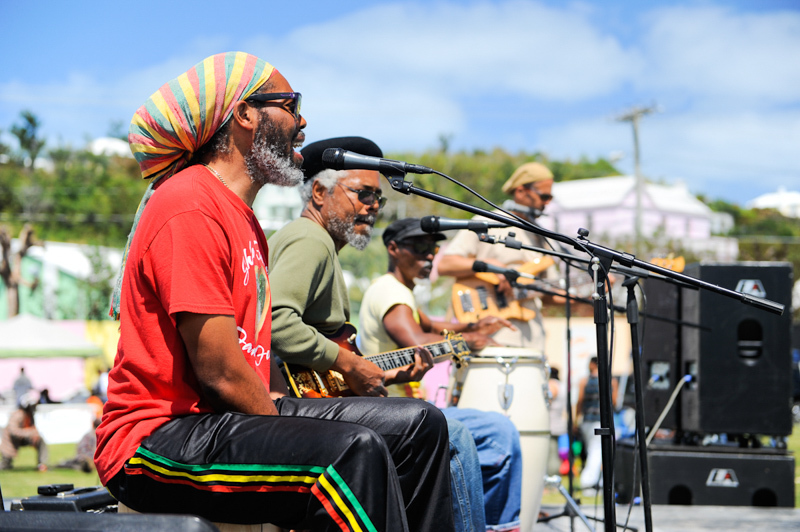 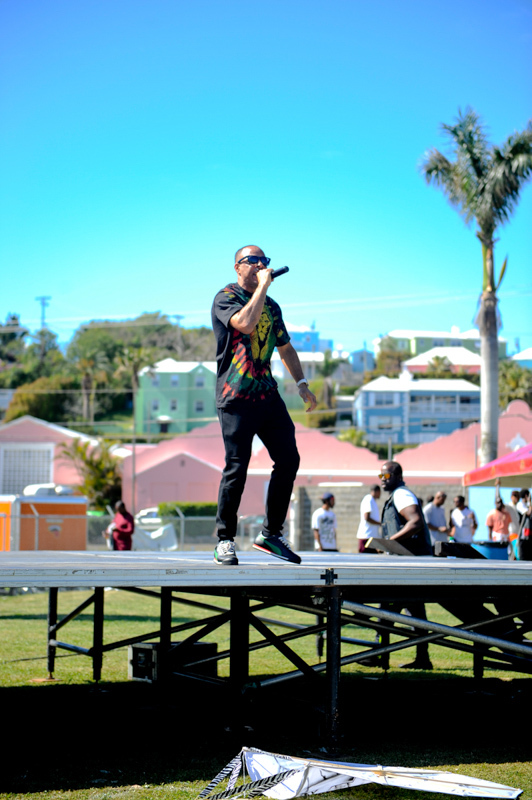 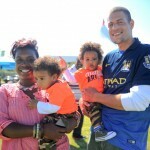 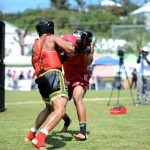 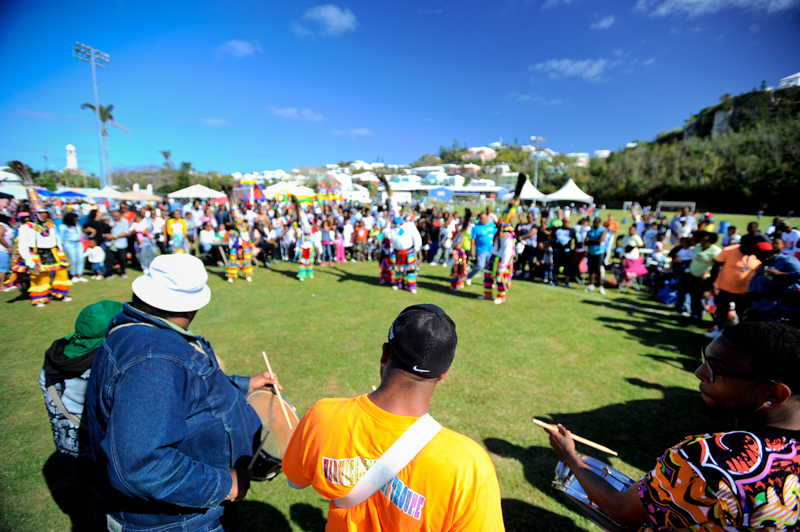 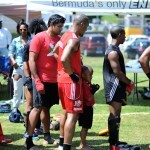 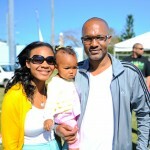 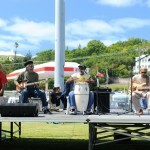 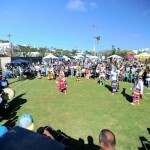 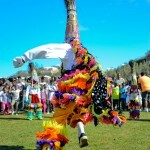 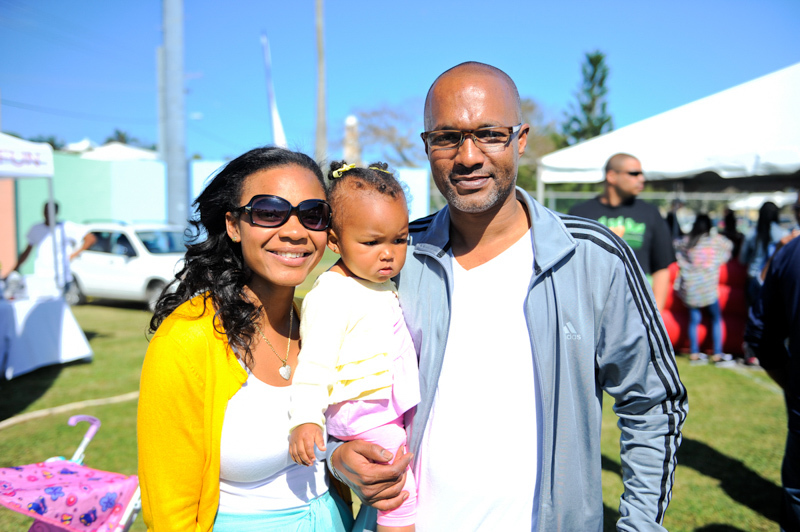 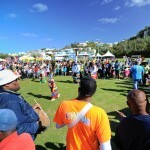 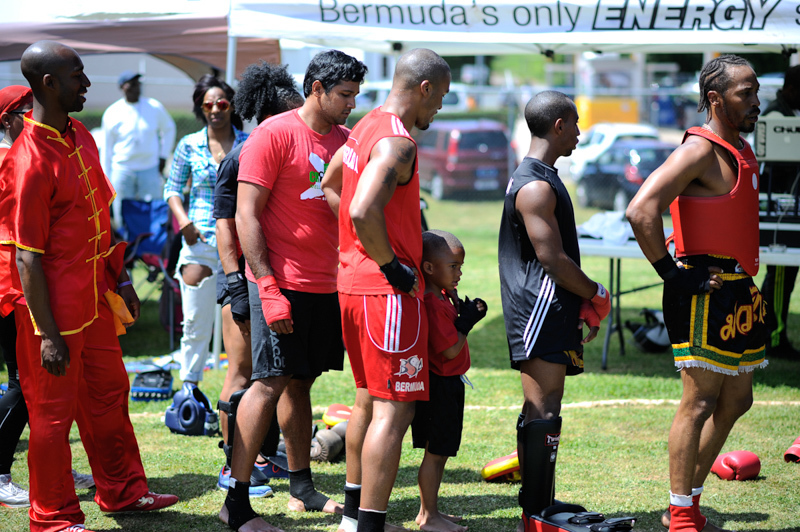 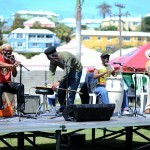 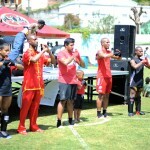 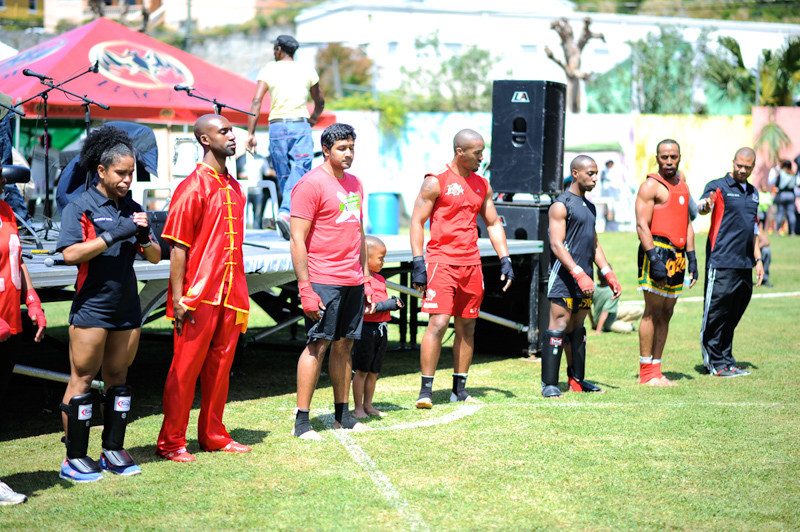 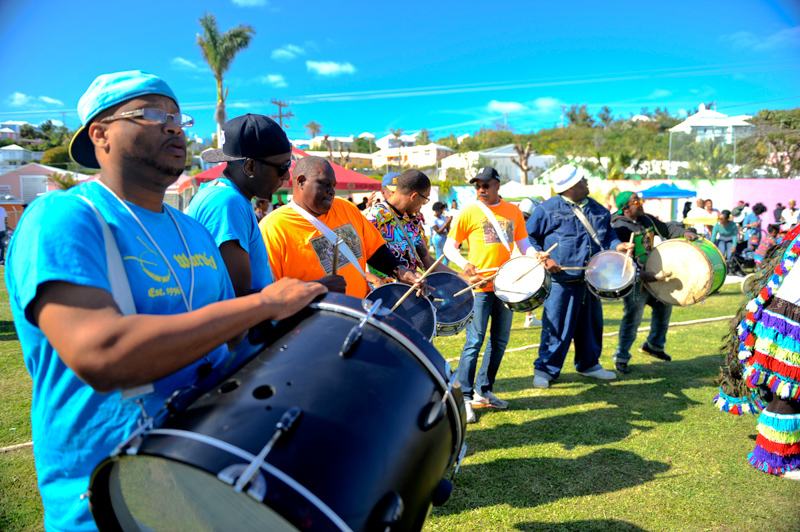 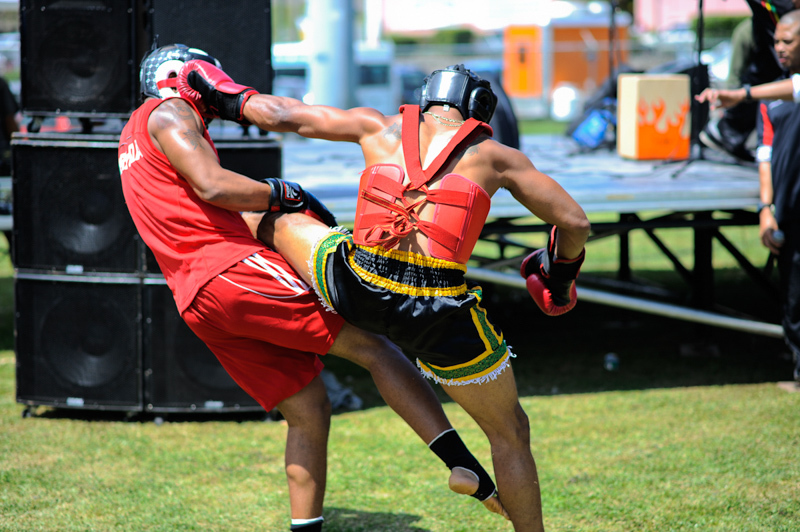 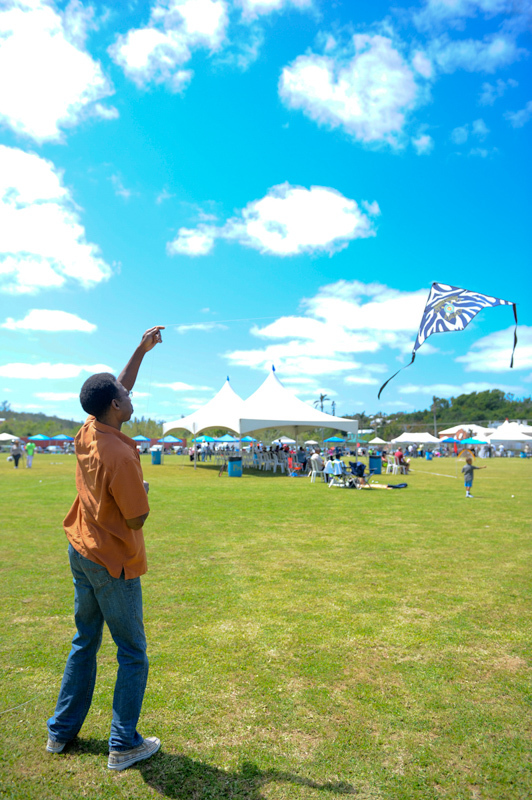 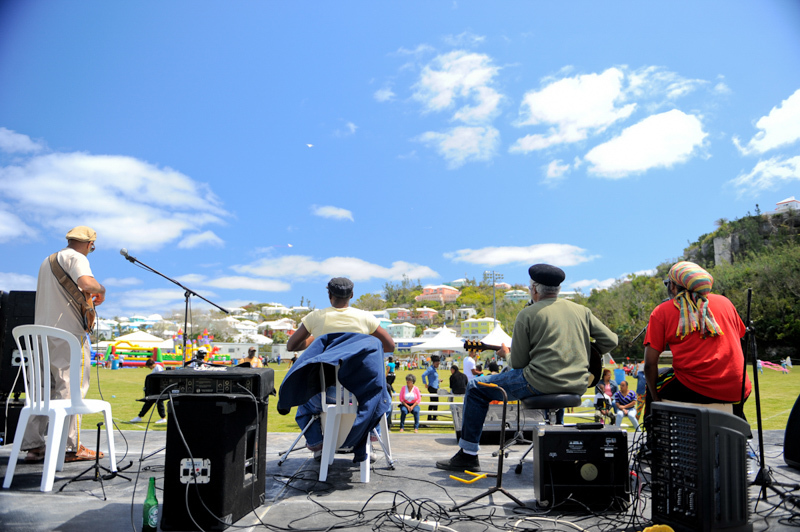 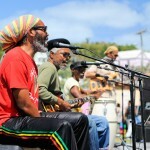 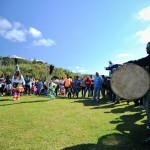 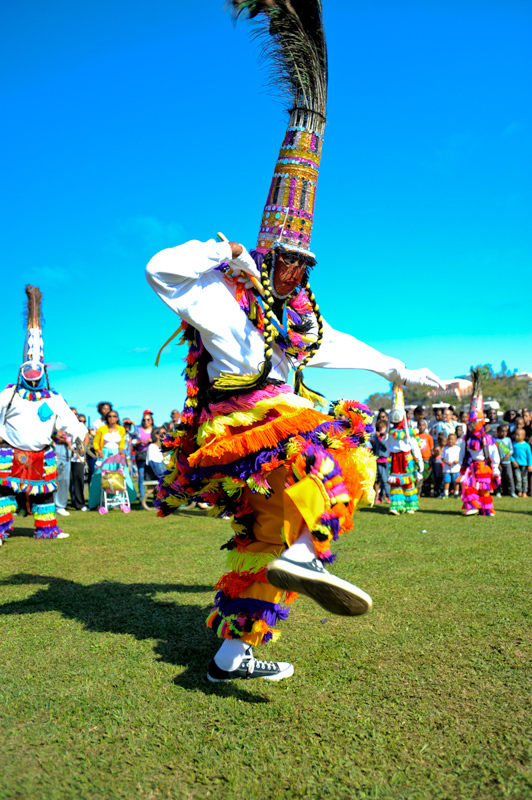 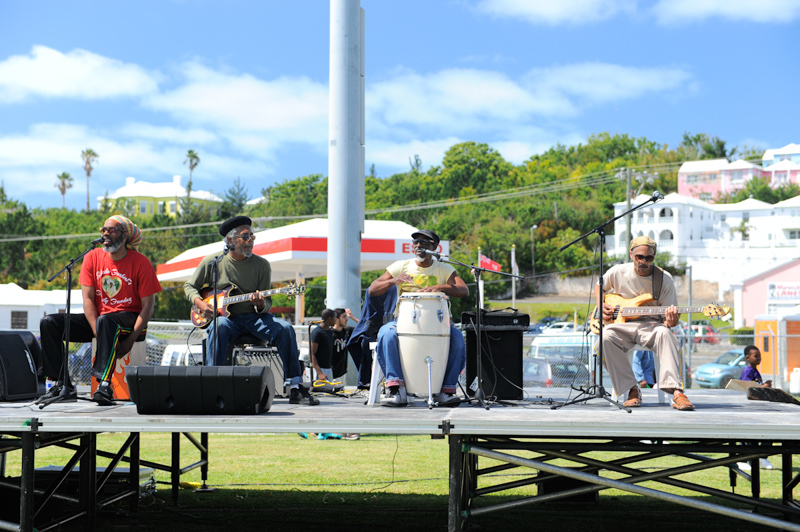 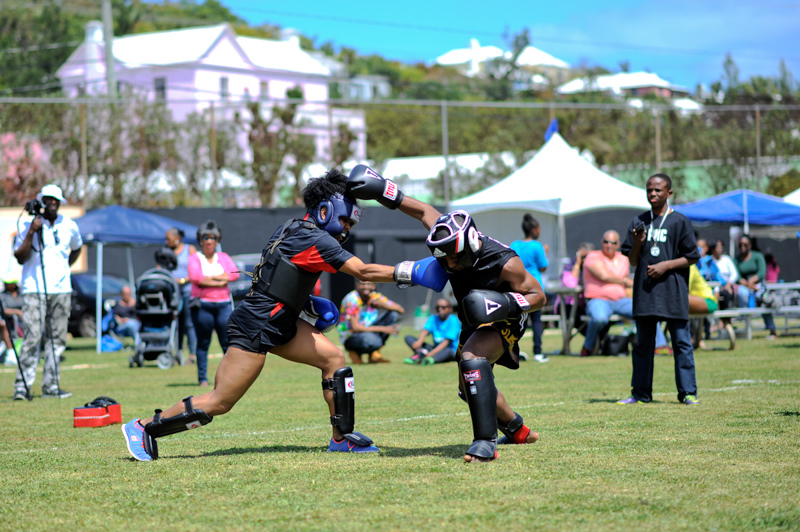 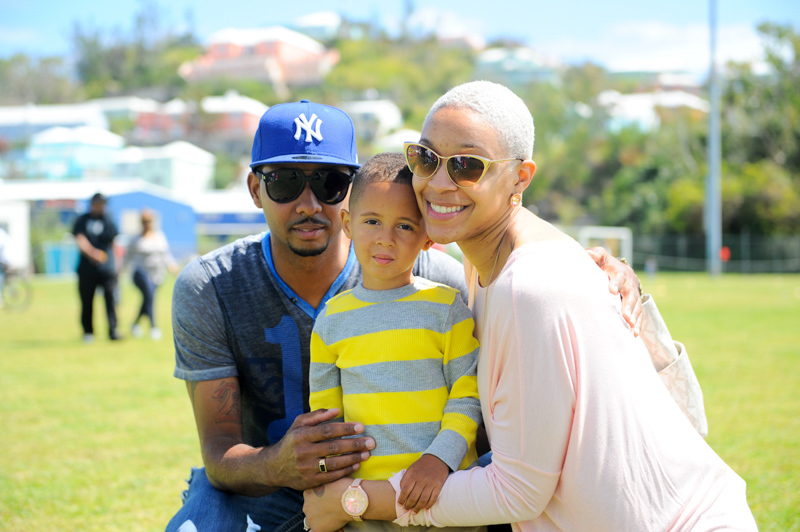 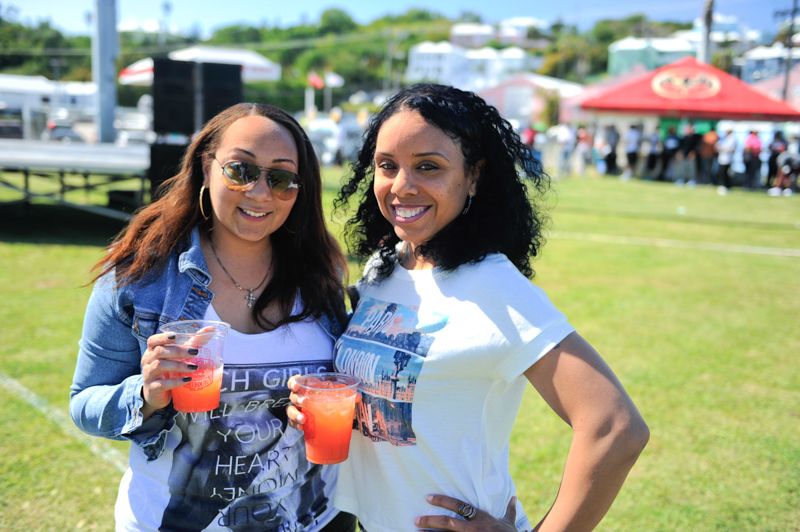 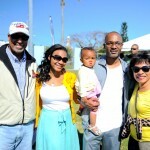 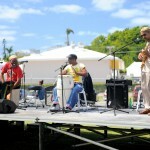 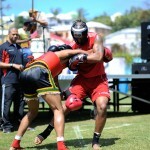 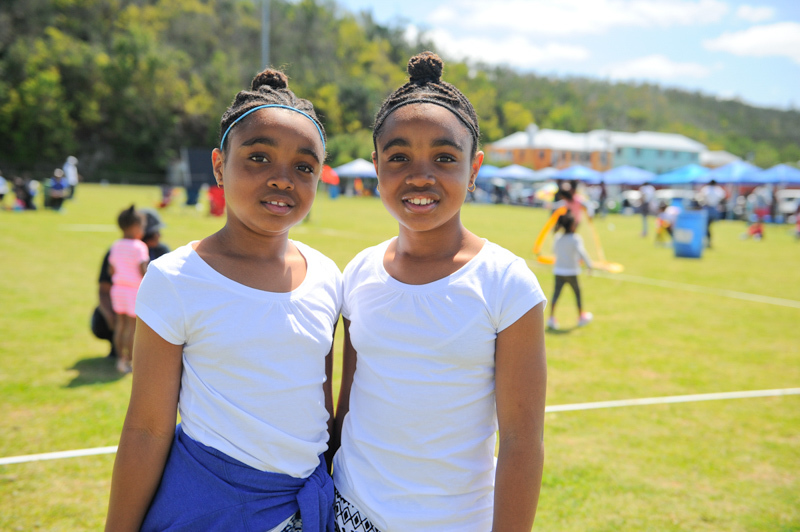 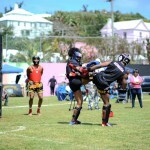 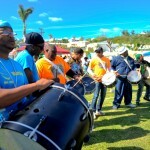 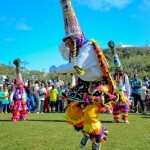 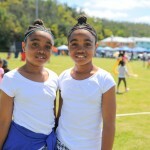 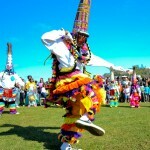 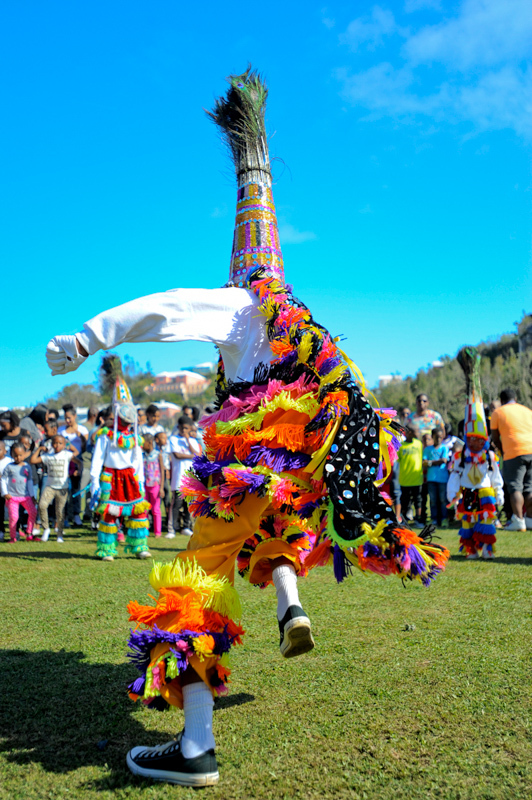 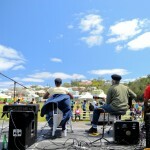 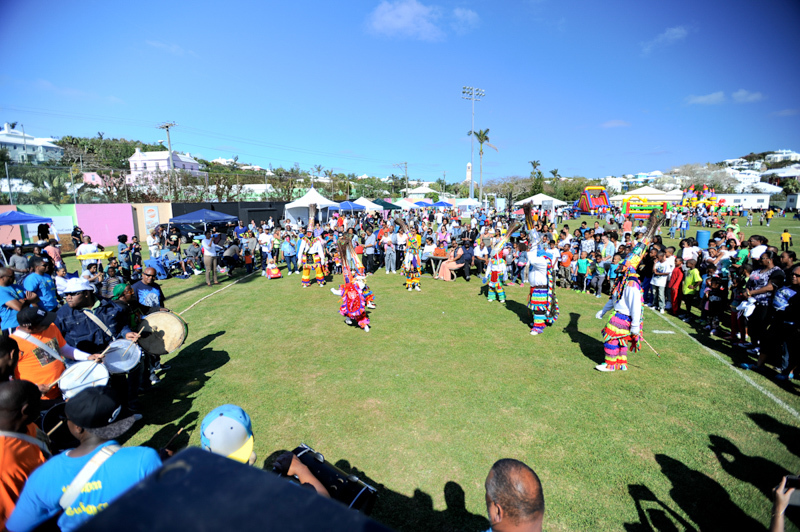 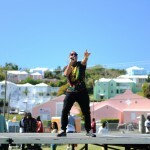 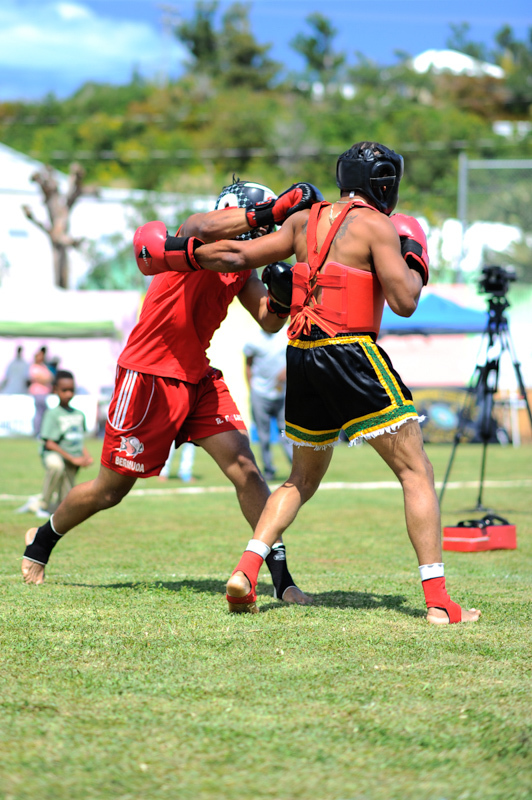 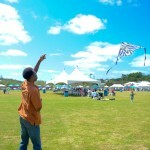 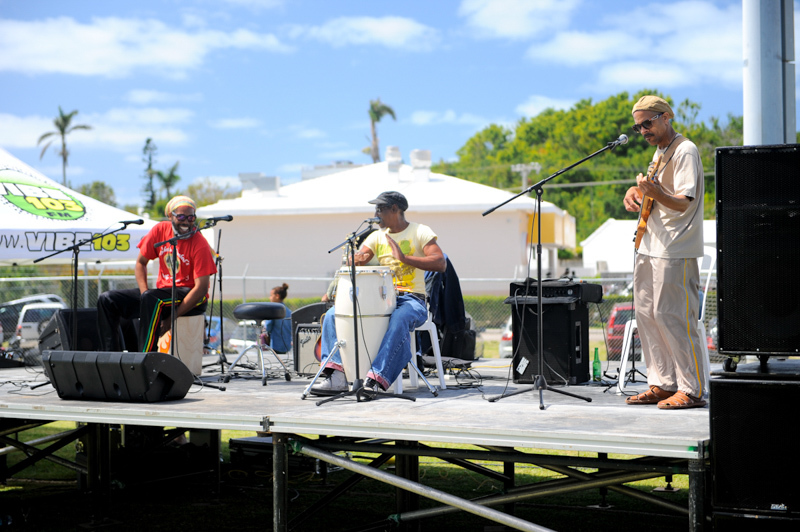 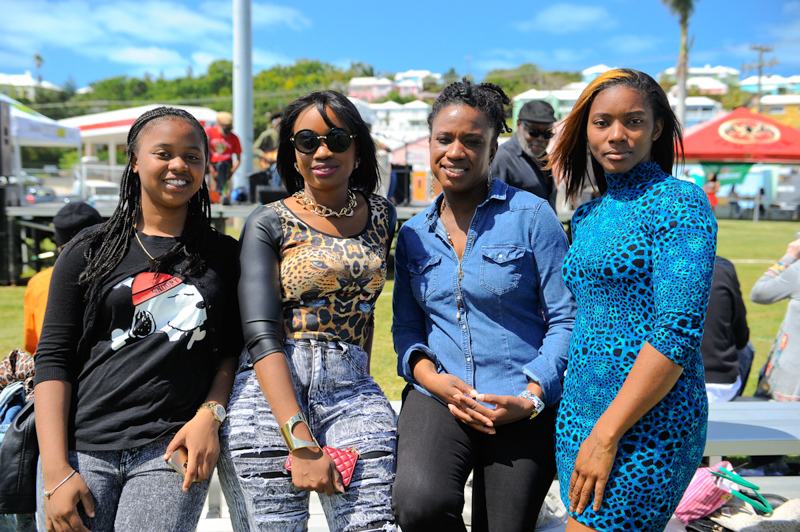 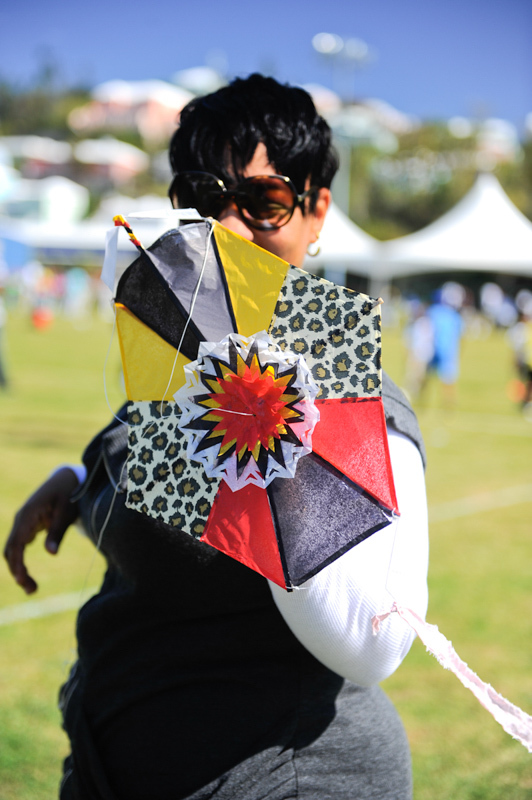 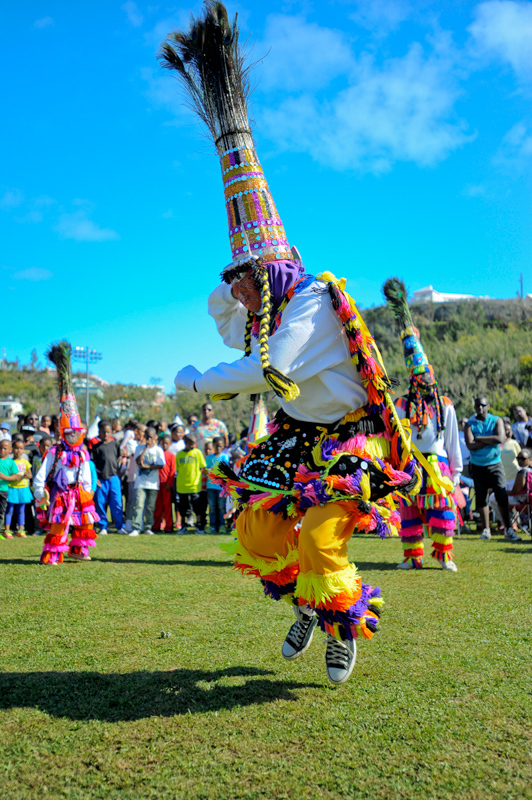 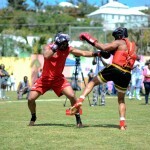 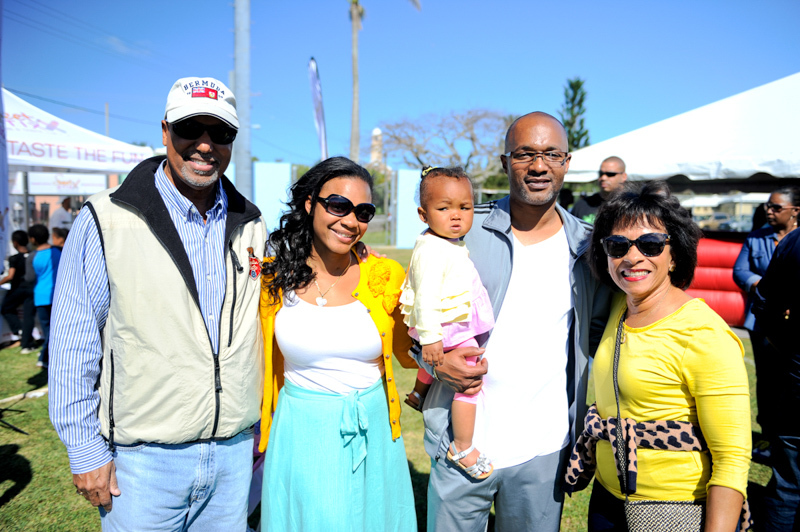 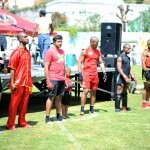 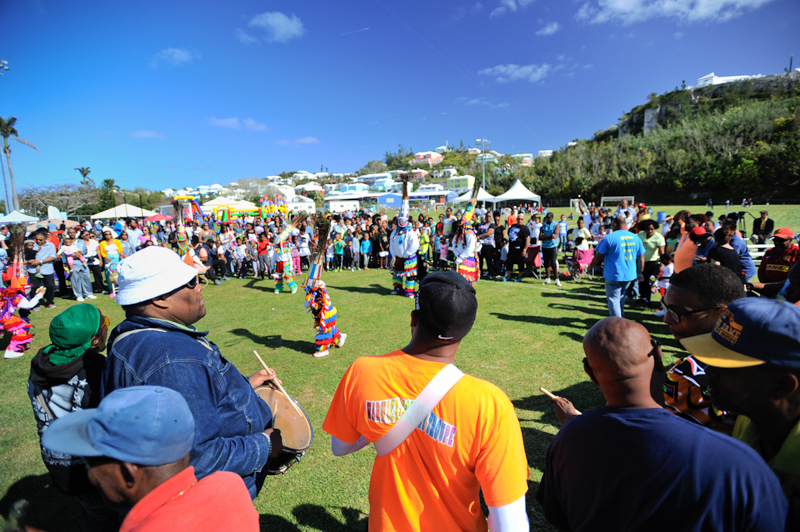 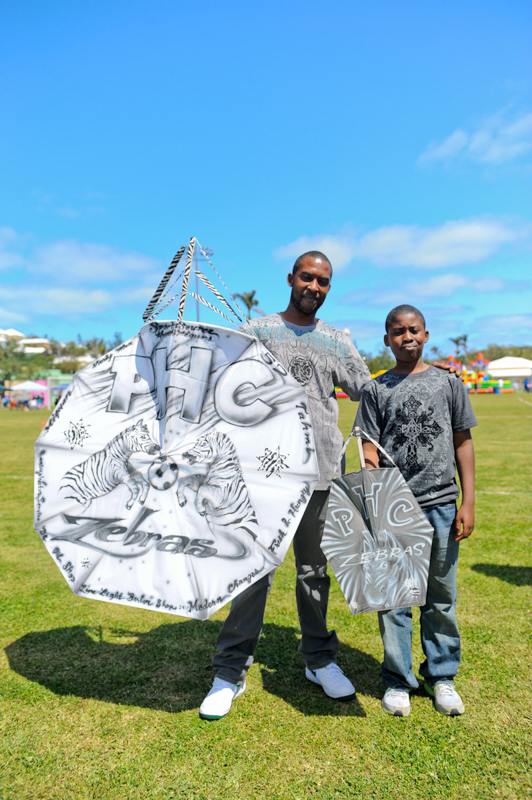 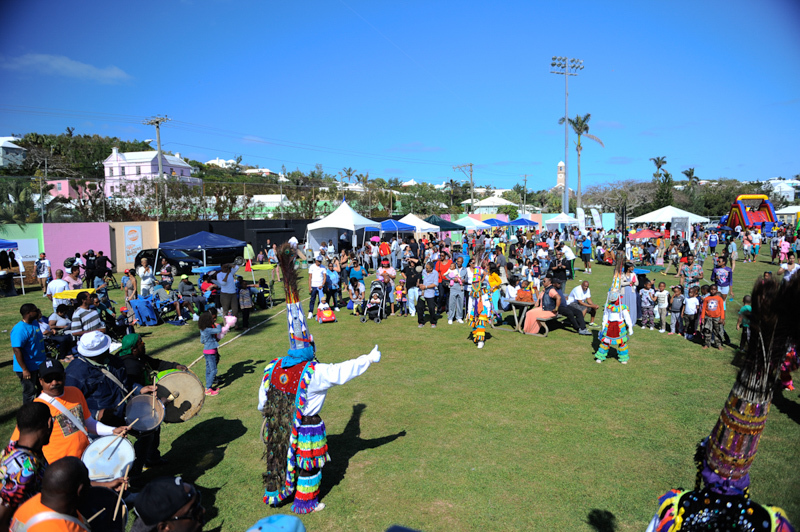 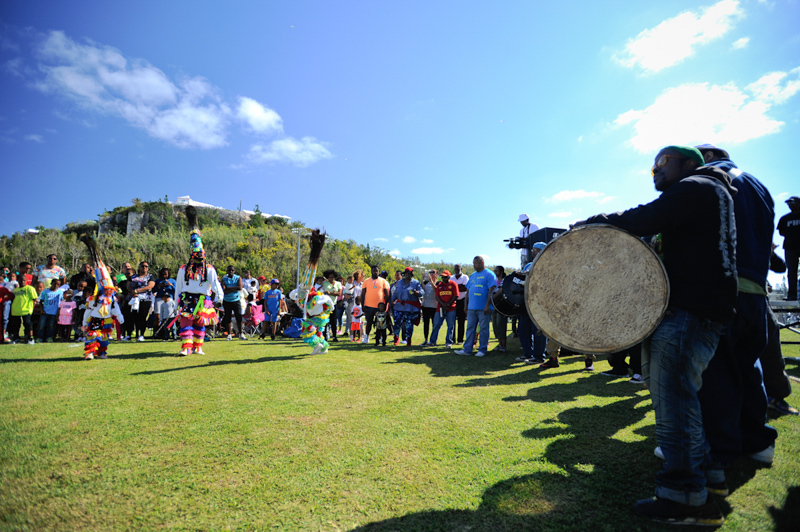 The Warwick Gombeys also did a performance as they exemplified Bermuda’s culture and traditions. 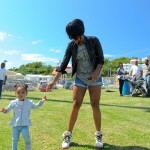 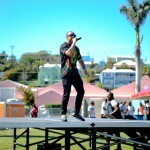 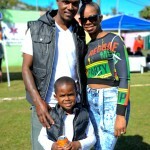 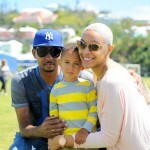 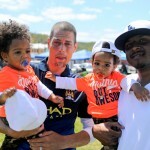 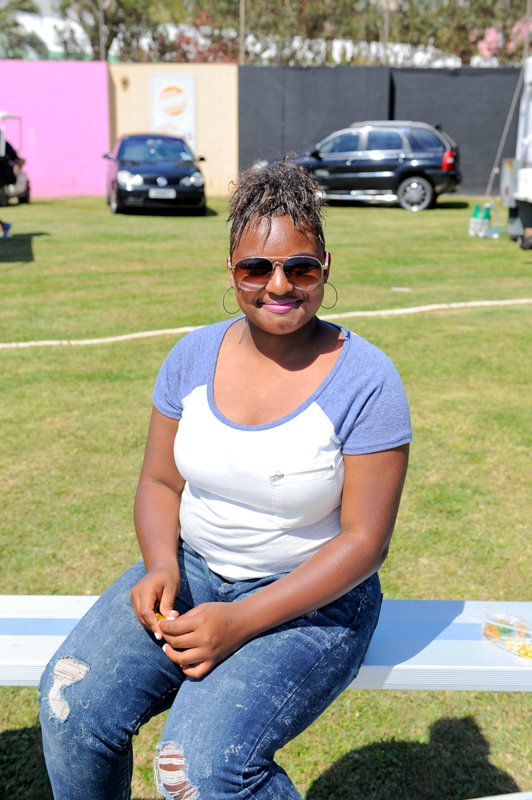 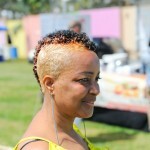 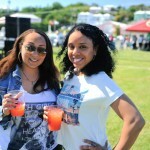 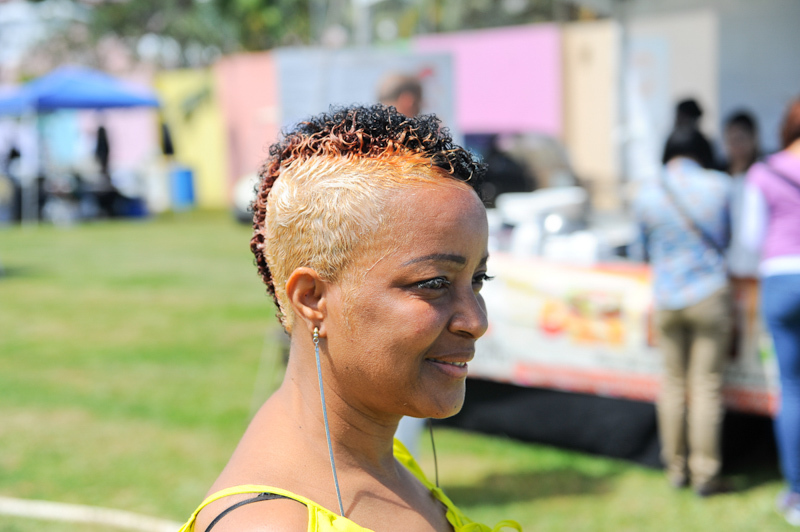 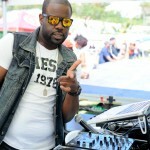 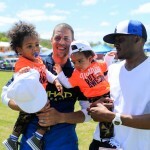 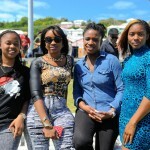 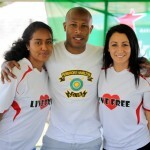 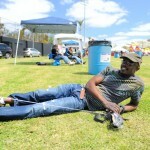 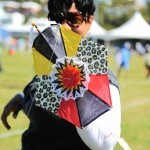 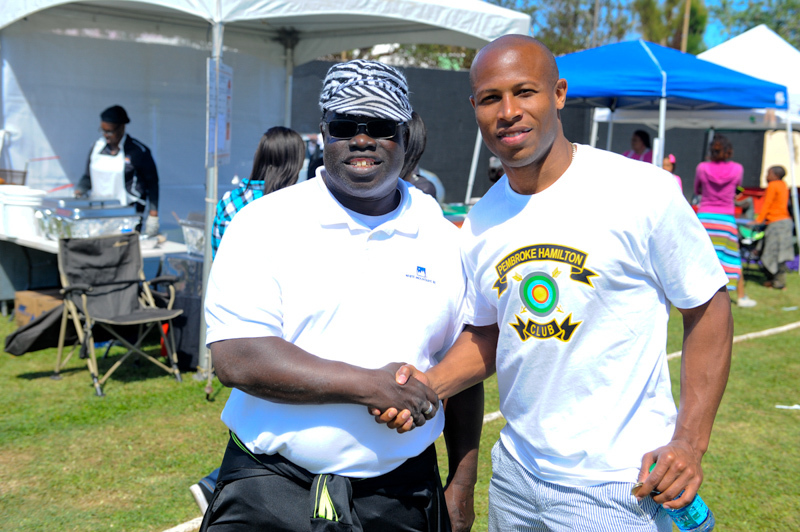 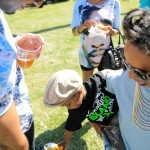 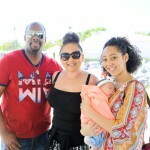 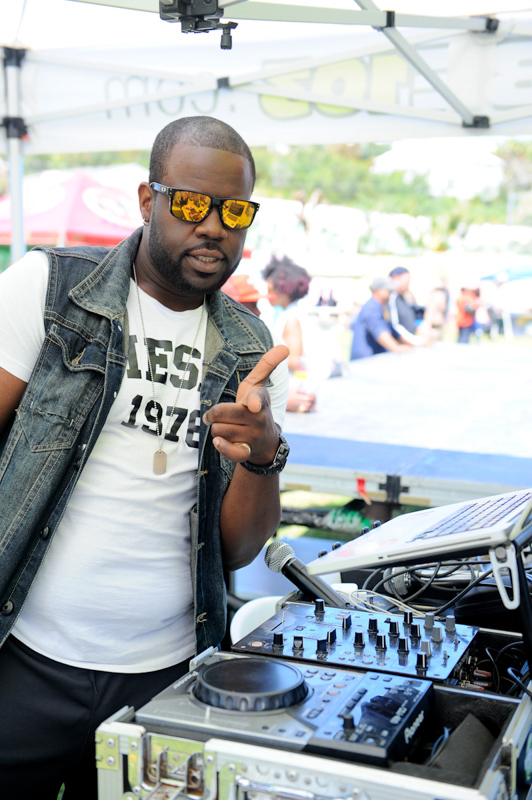 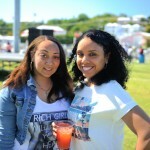 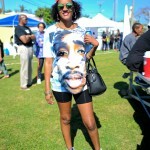 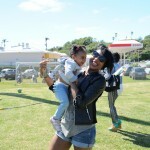 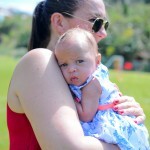 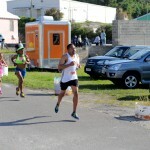 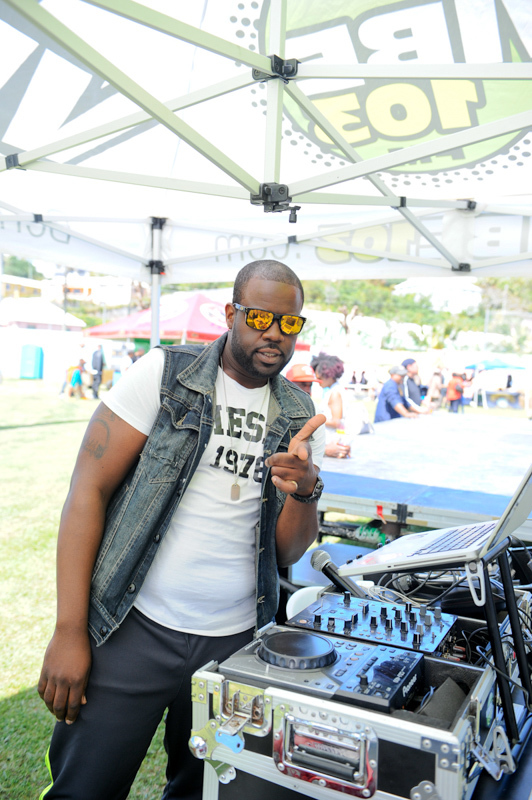 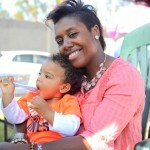 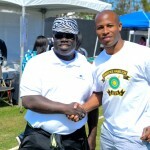 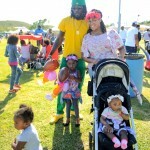 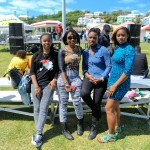 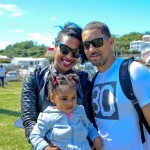 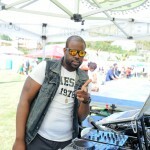 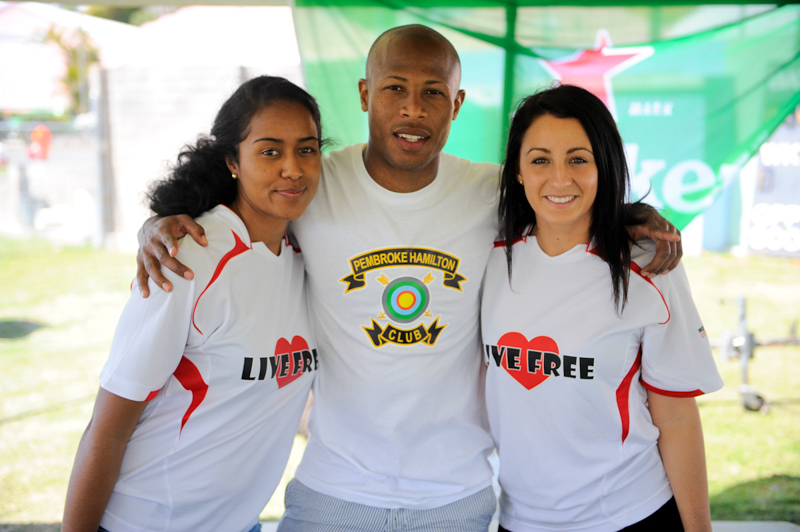 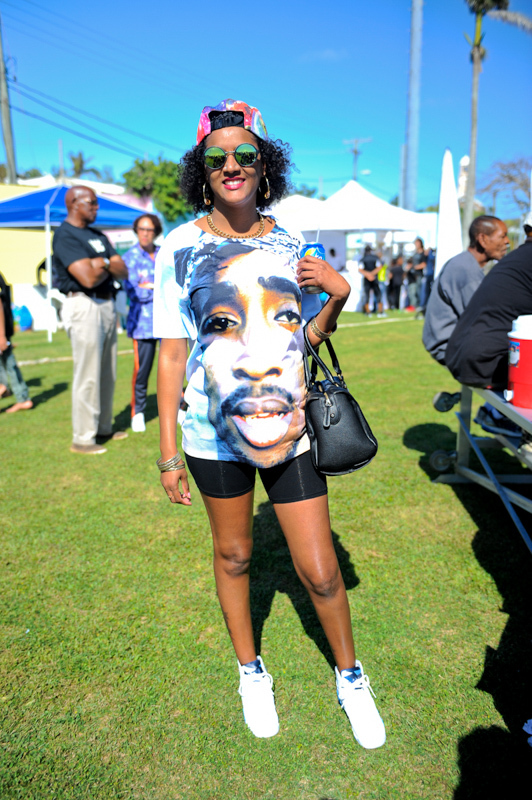 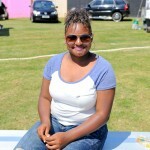 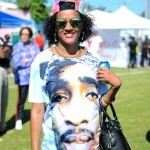 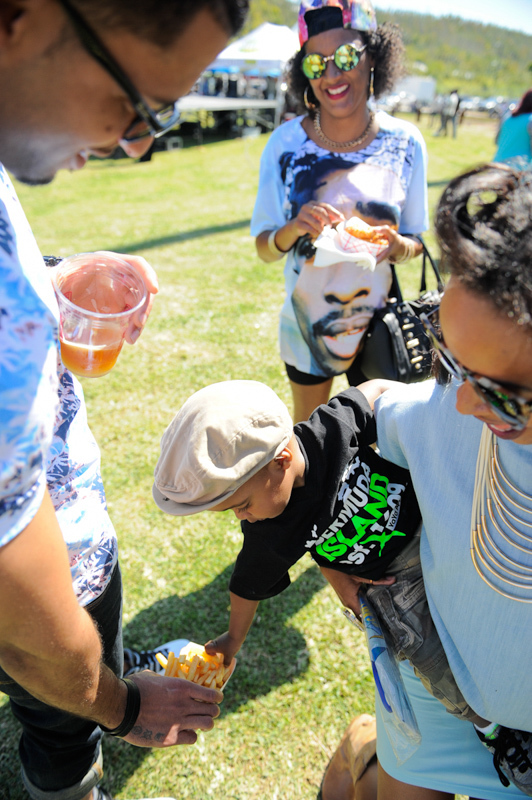 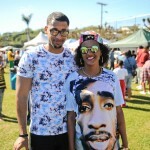 “In addition, there was plenty of food available as Sensational Delights provided jerk chicken and fish orders. 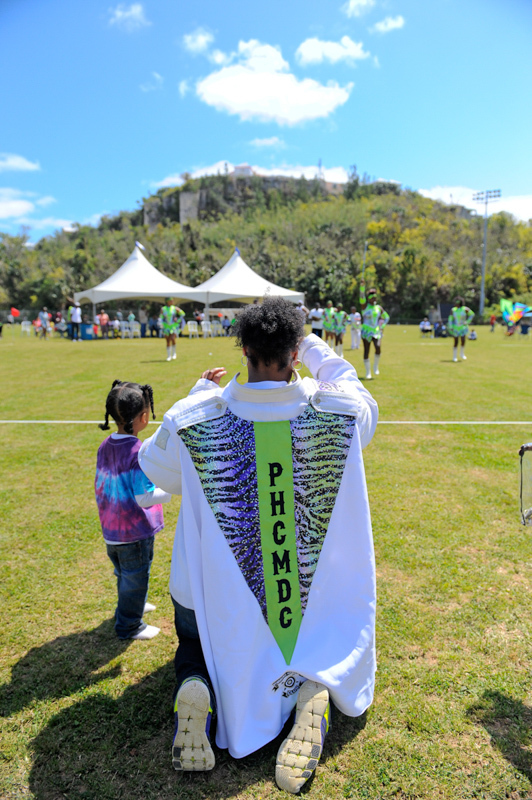 The PHC under 10 football team provided chicken strips and fries as a fundraiser for their overseas summer tour to the IMG Academy in Florida. 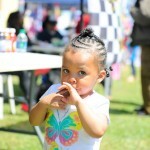 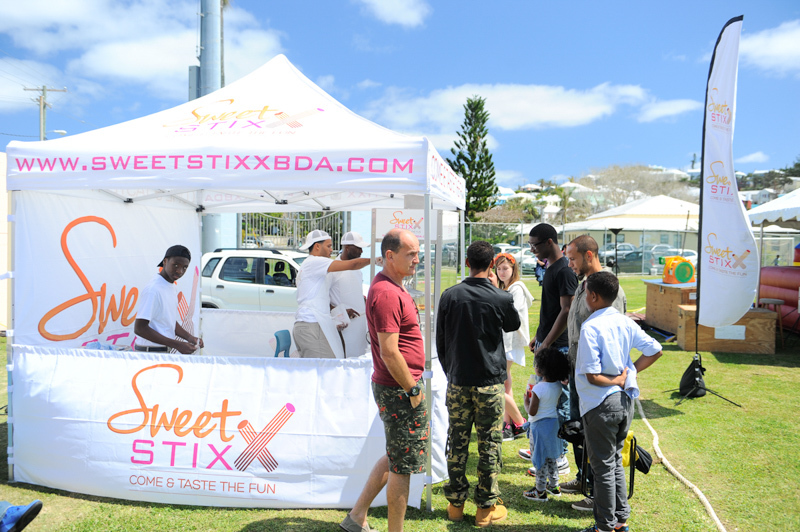 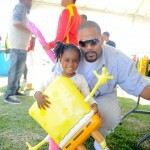 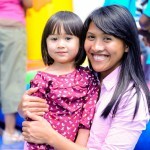 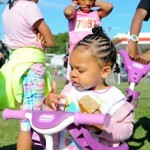 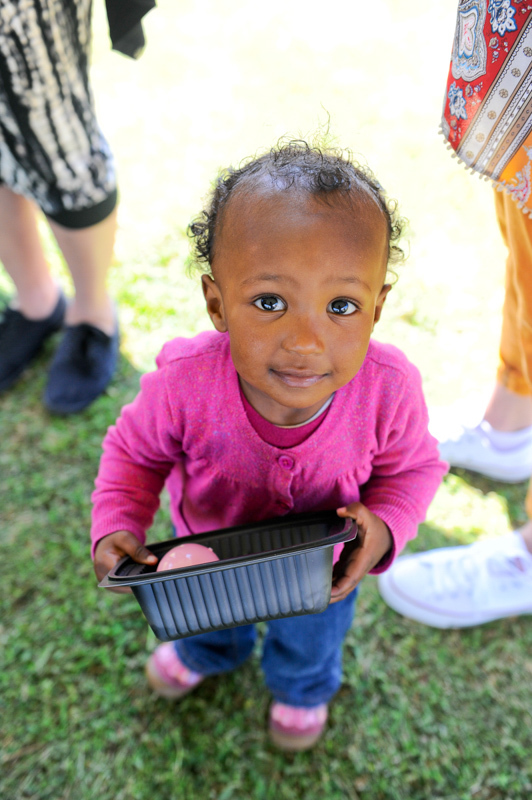 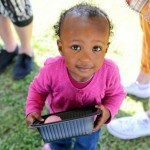 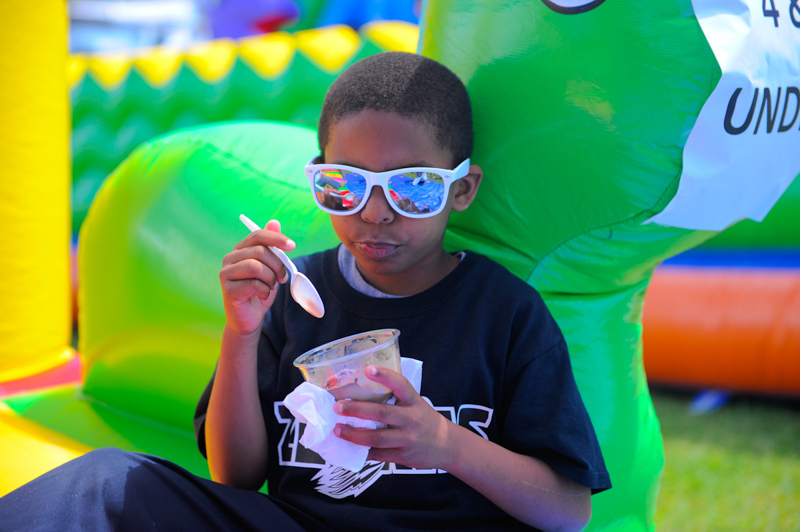 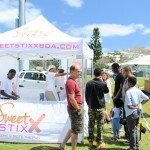 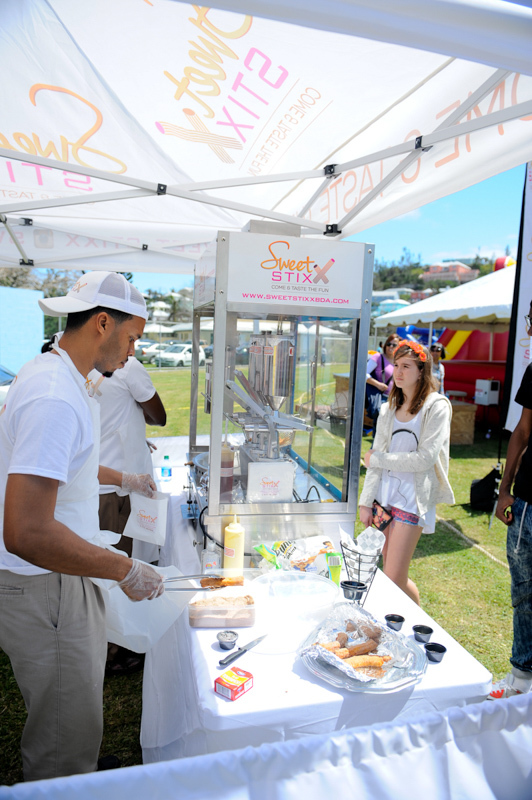 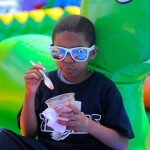 There were numerous other vendors that provided ice cream, cotton candy, and baked goods. 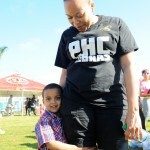 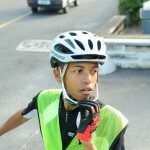 You can view our all our coverage of the past year’s PHC event here, and all our coverage of Good Friday here.